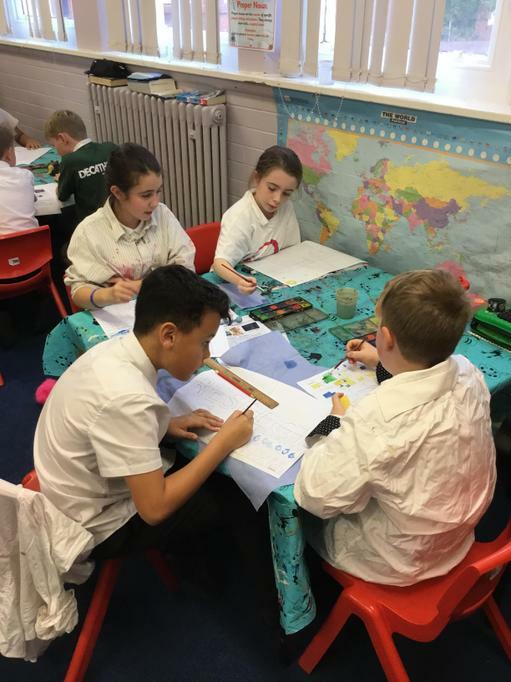 In Miss Richardson’s maths class we have been adding and subtracting fractions with different denominators. 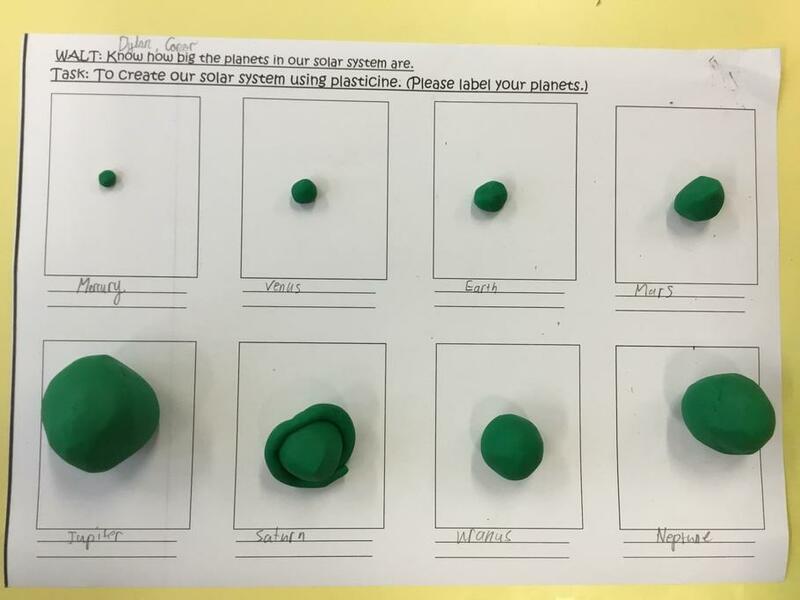 This can be quite tricky sometimes, so we have been looking at different ways to make this task easier! 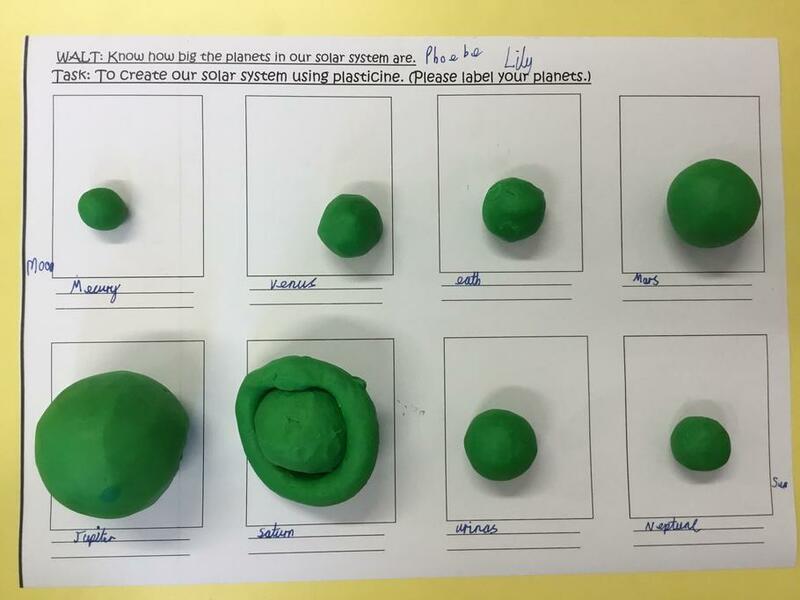 We realised that drawing the bar or area model can sometimes be very helpful to work this out. 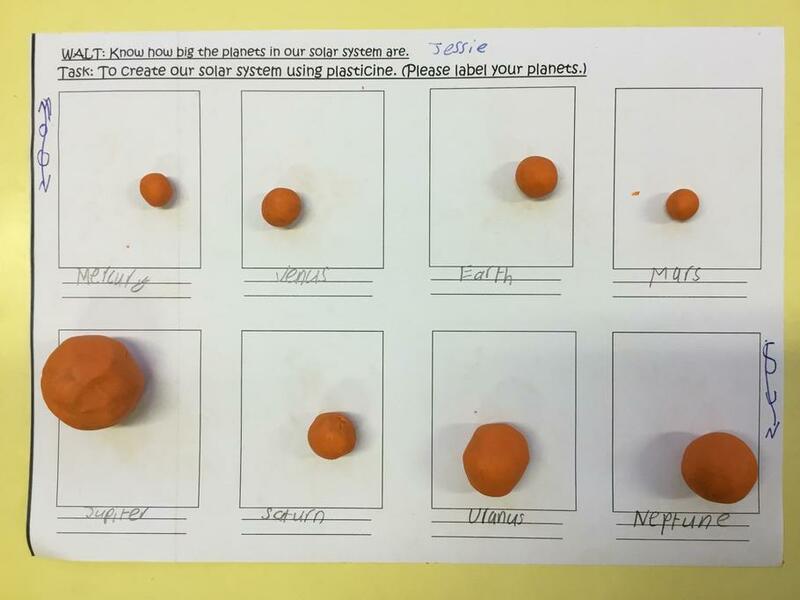 These two models only work however, if the two denominators are multiples of a common denominator. 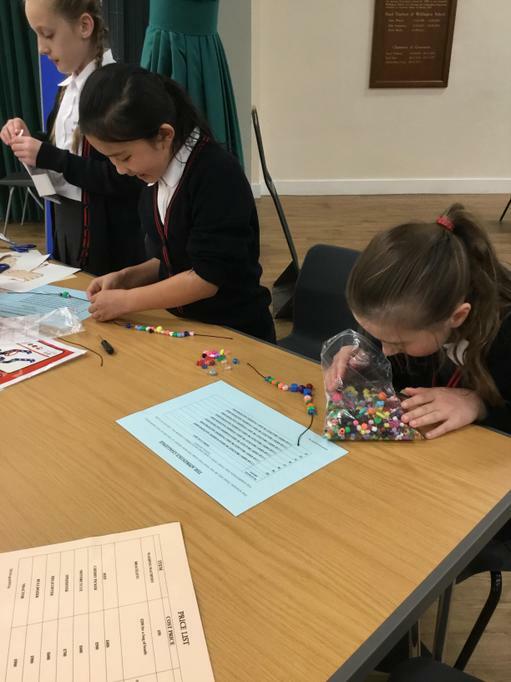 What did Jesus teach about being generous and being greedy? 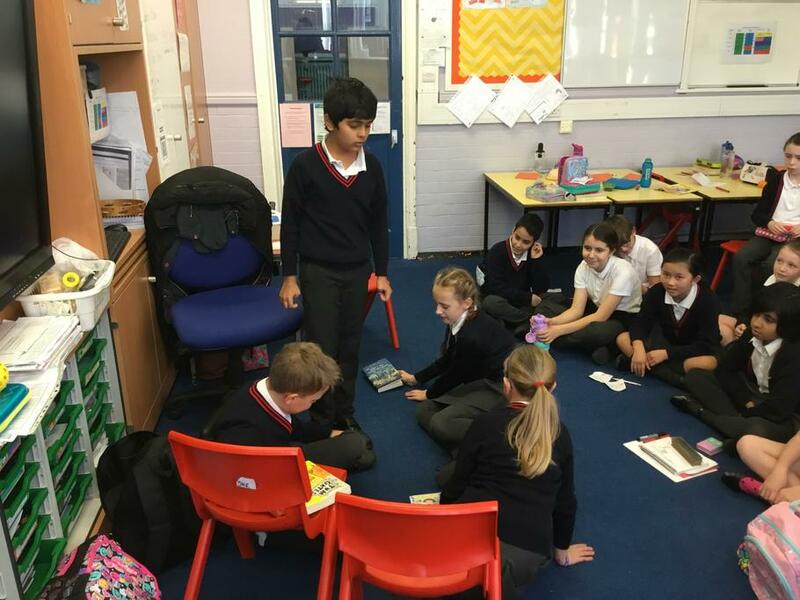 In RE we’ve been learning all about the teachings of Jesus. 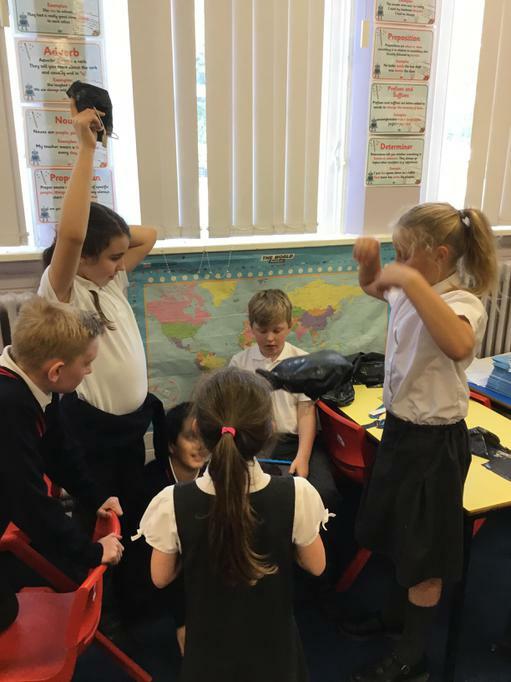 Today we watched a video about a widow who offers the little money she owns to charity. 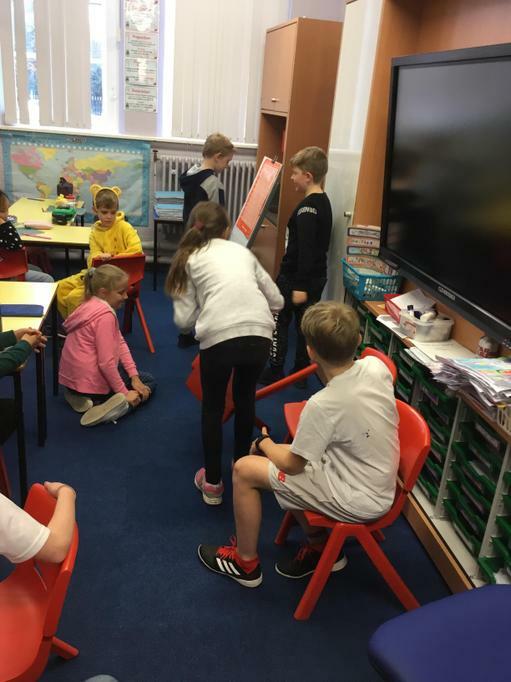 We then reinacted the video ourselves in front of the class. 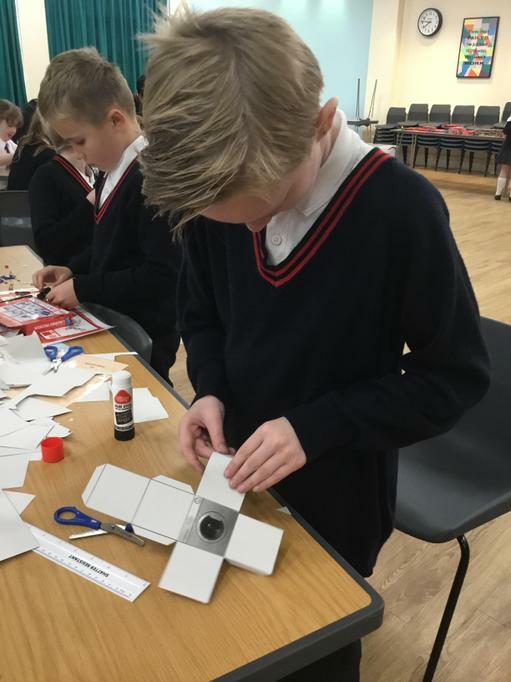 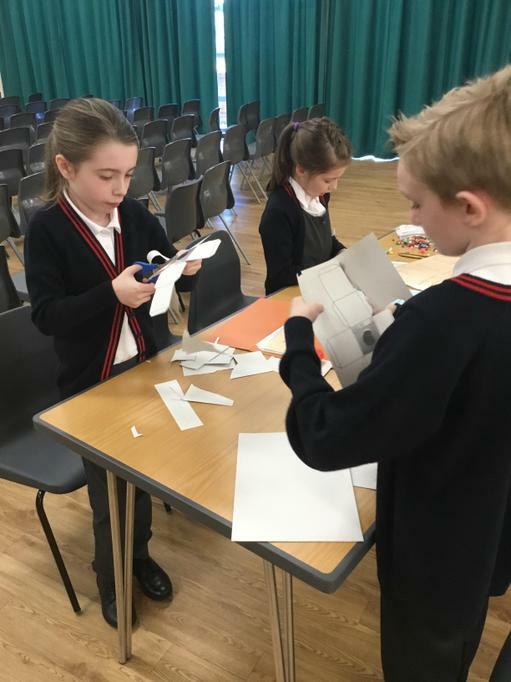 A local football team asked if 5NR could design some floodlights for their football pitch. 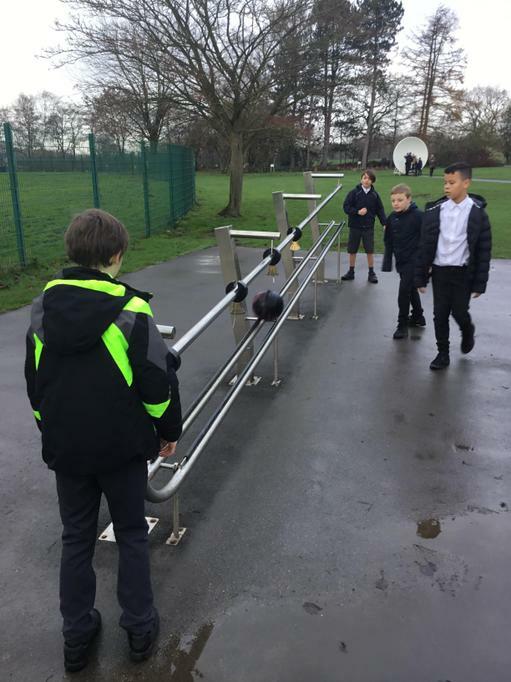 The lights weren’t bright enough and the footballers couldn’t see the ball properly! 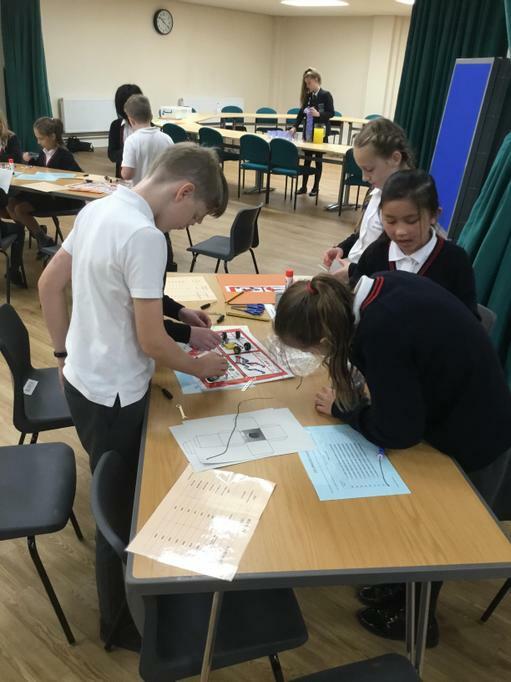 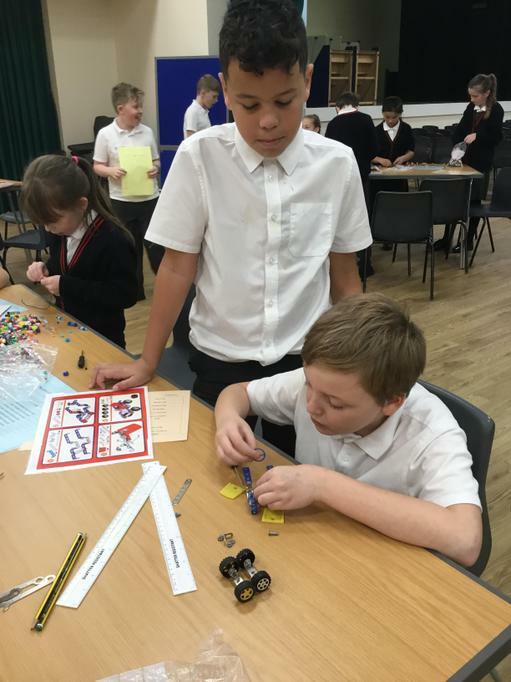 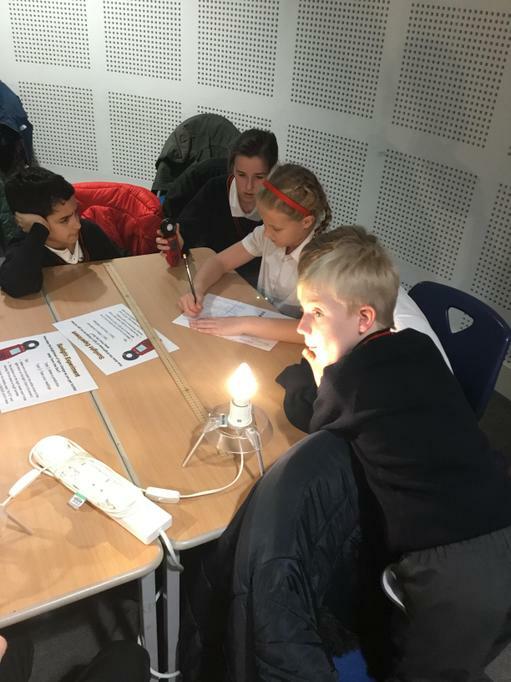 We had to design a circuit, using different metal conductors, to see what material would make our bulbs shine the brightest. 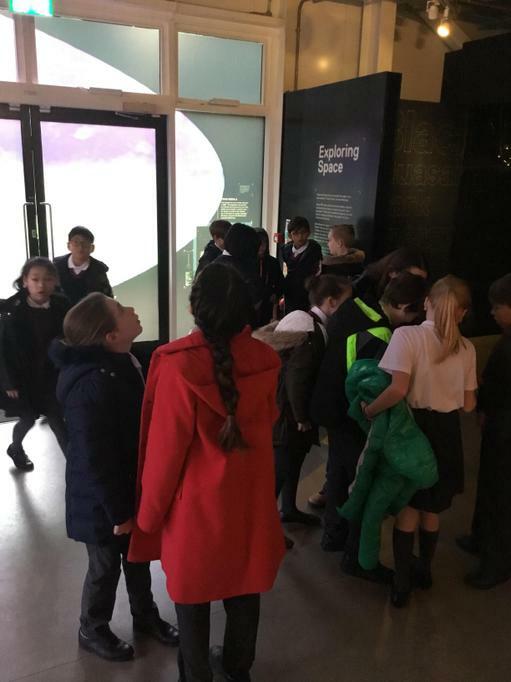 We all had to come to the front and present our findings. 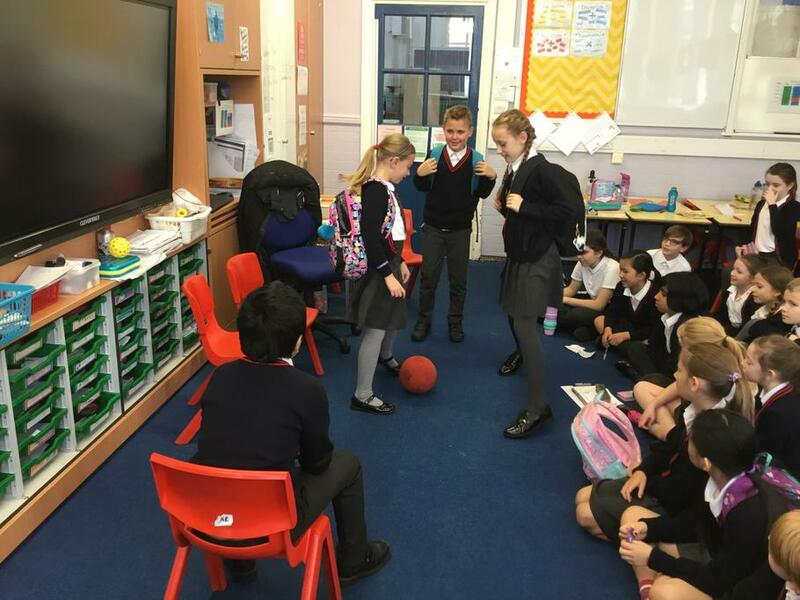 The football team were most impressed! 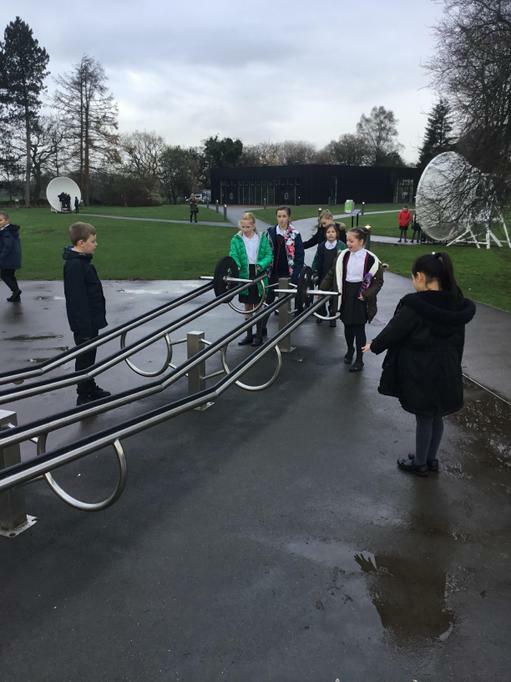 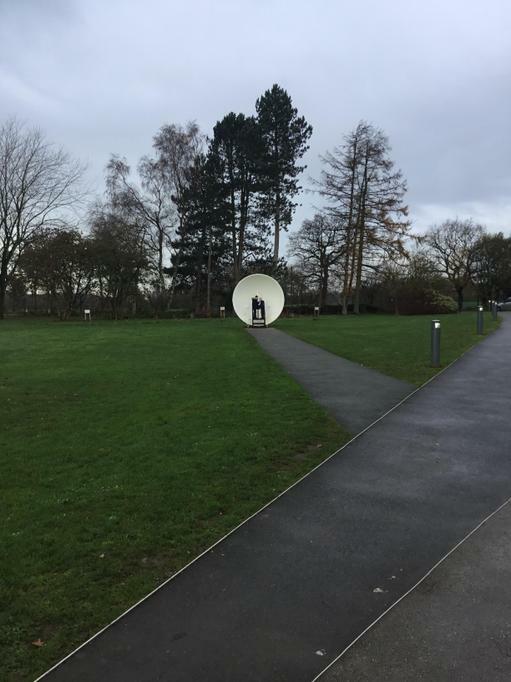 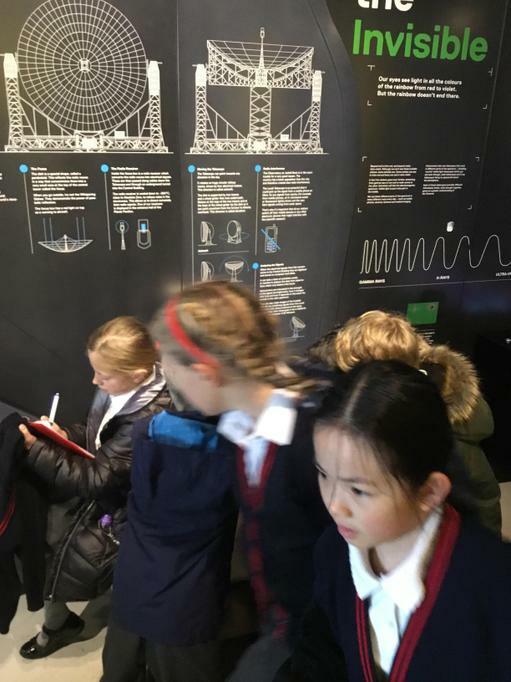 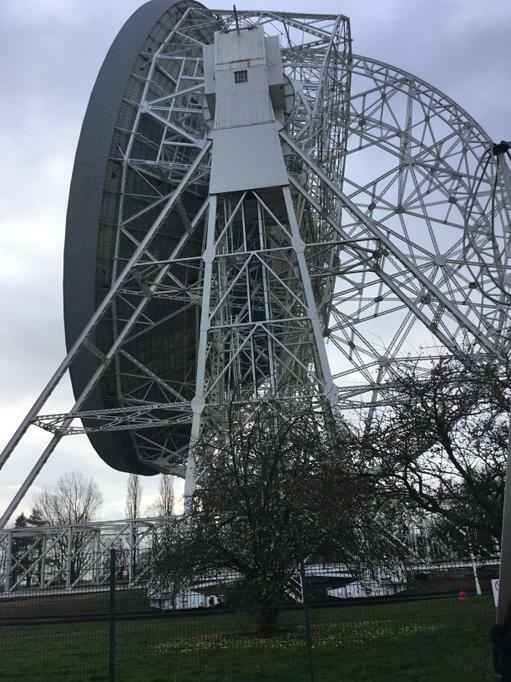 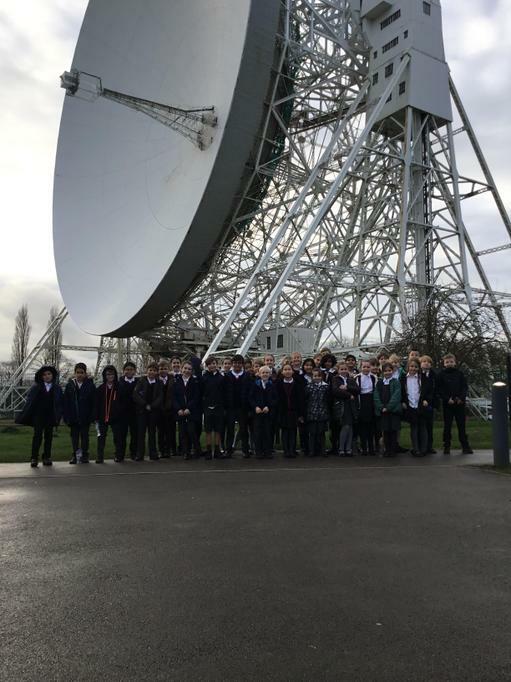 We’ve had a fabulous time at Jodrell Bank today! 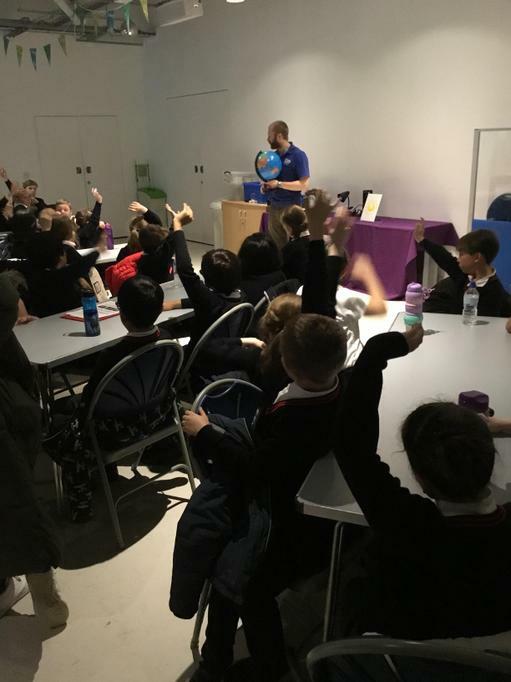 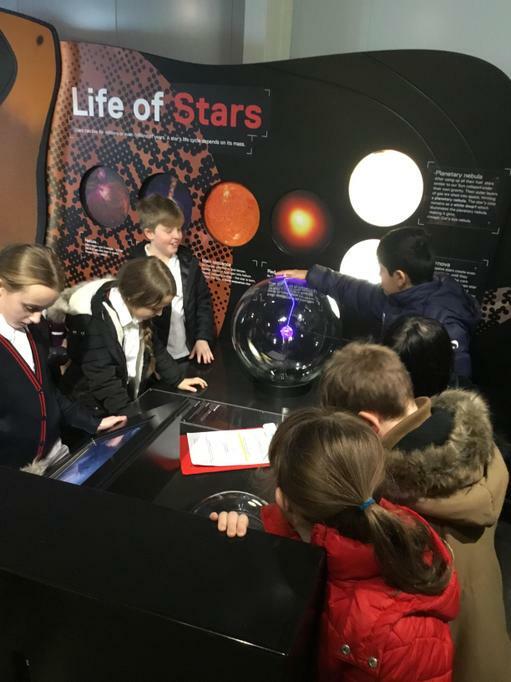 Although we are already space experts, we managed to find out even more interesting facts and information about space! 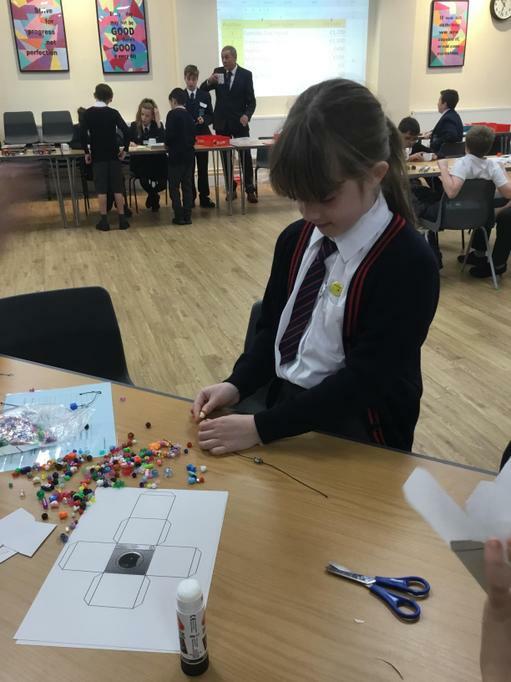 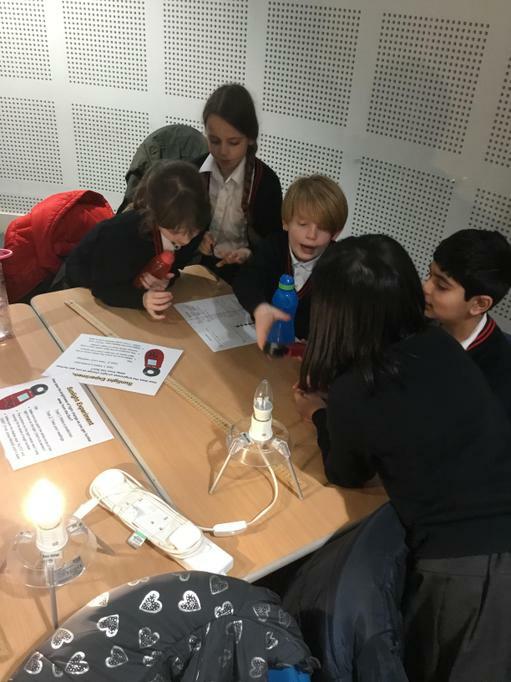 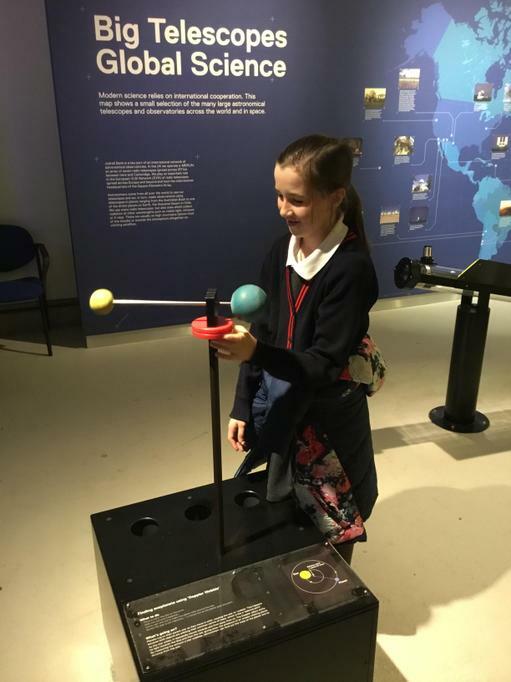 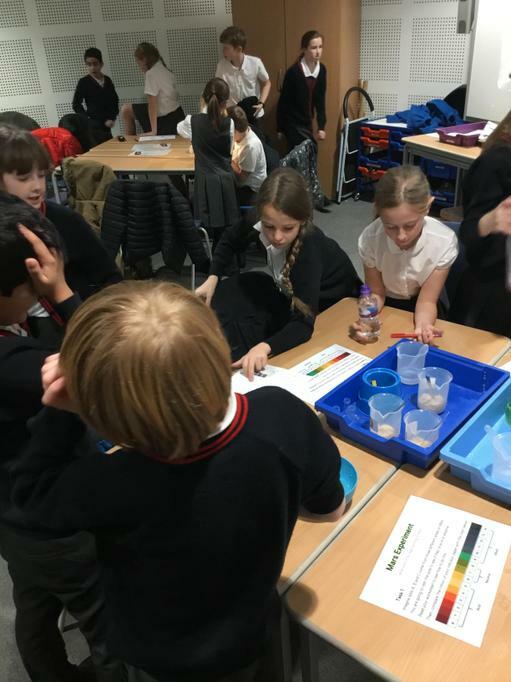 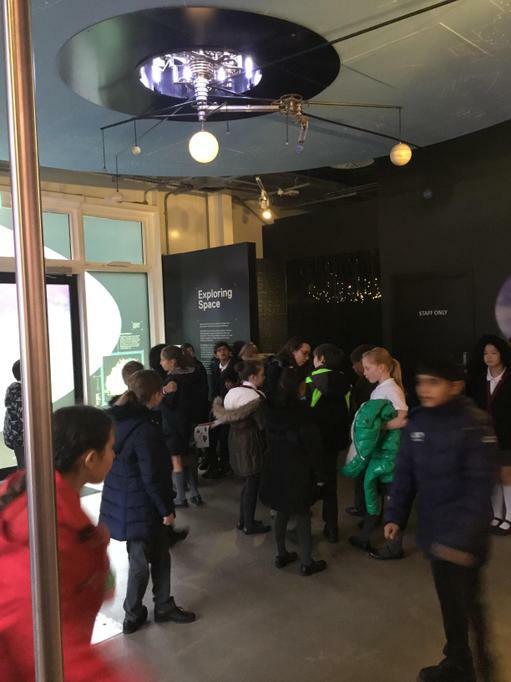 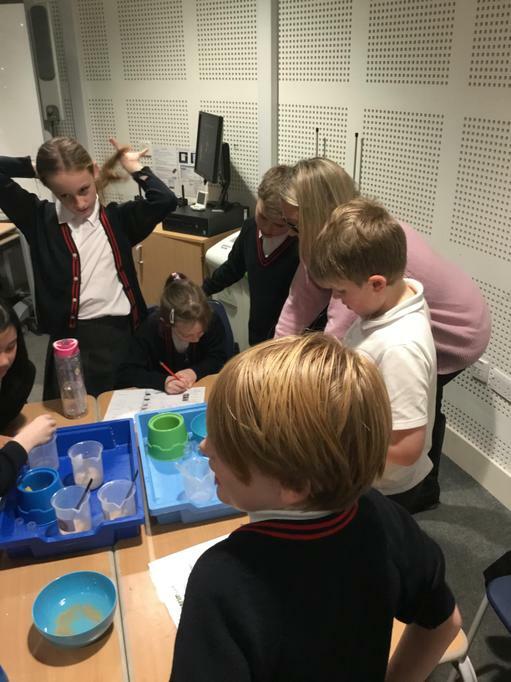 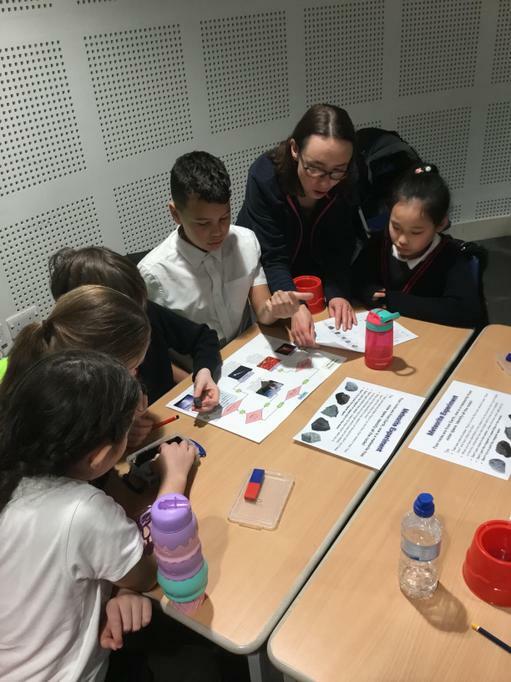 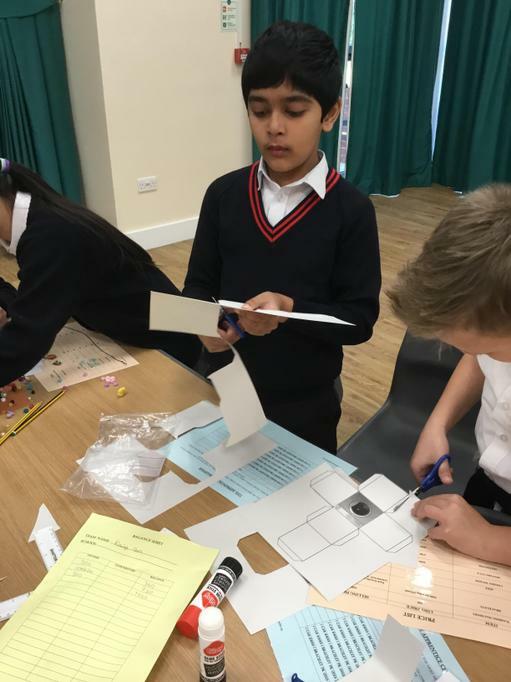 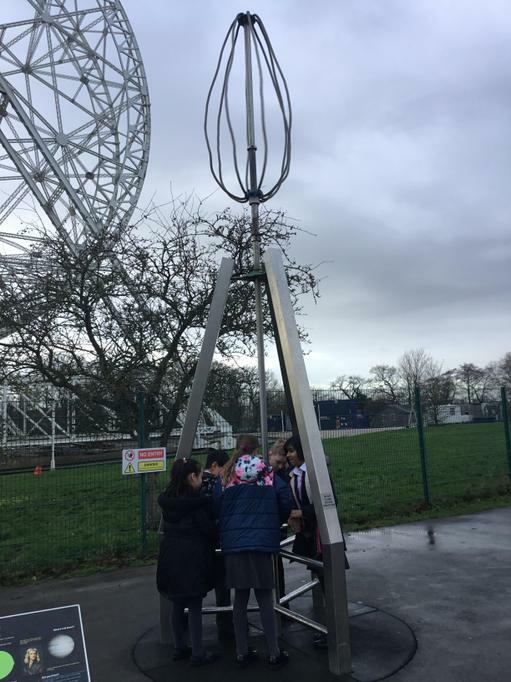 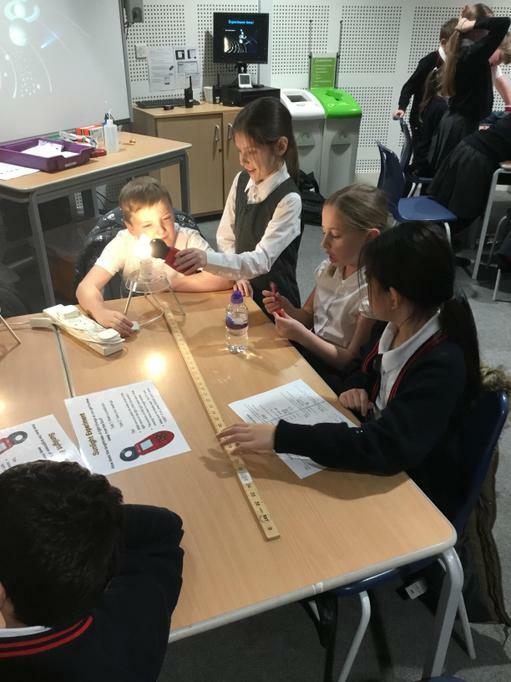 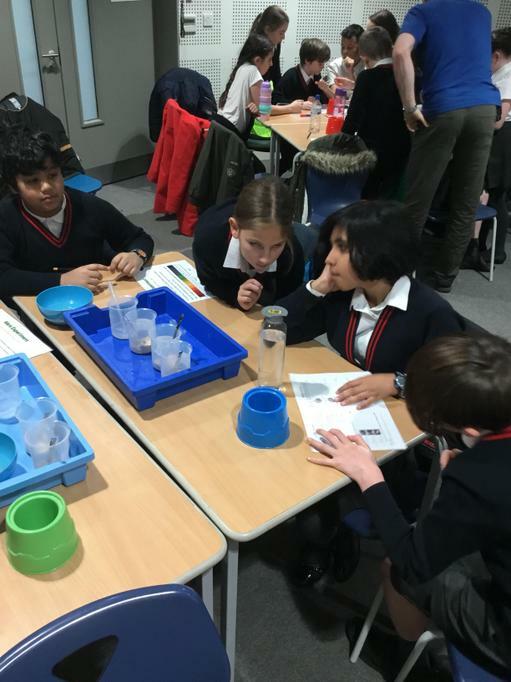 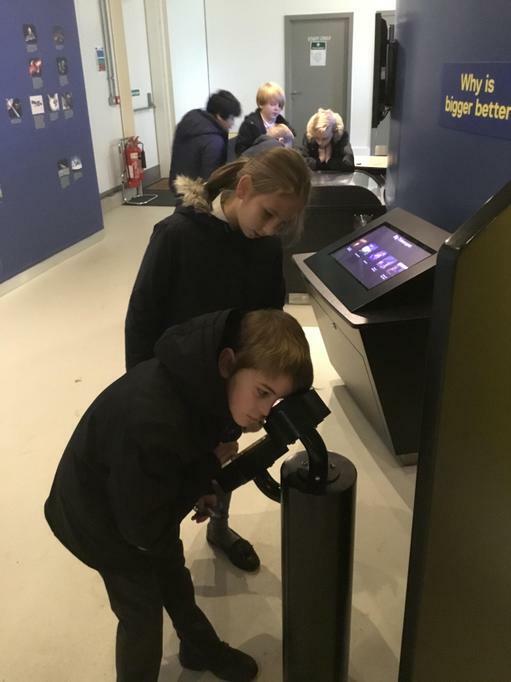 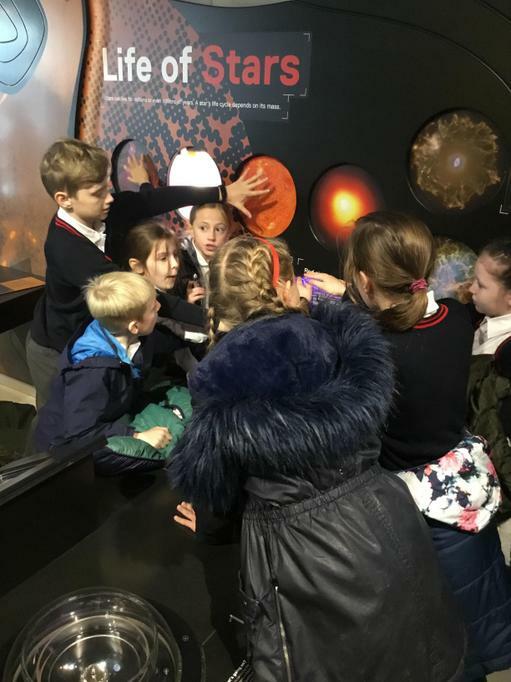 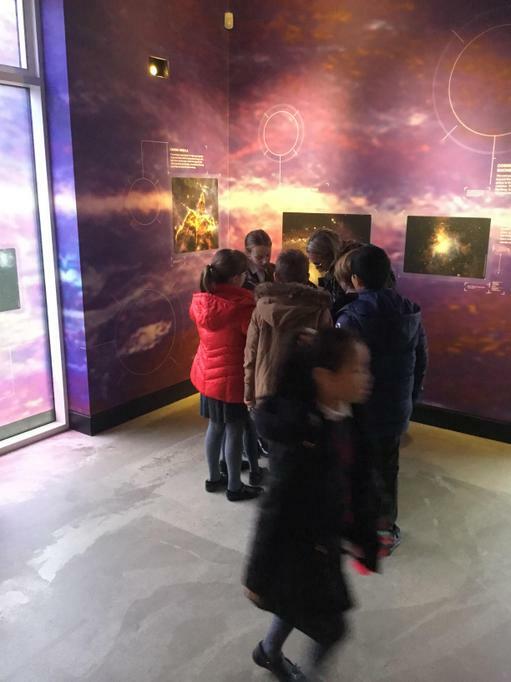 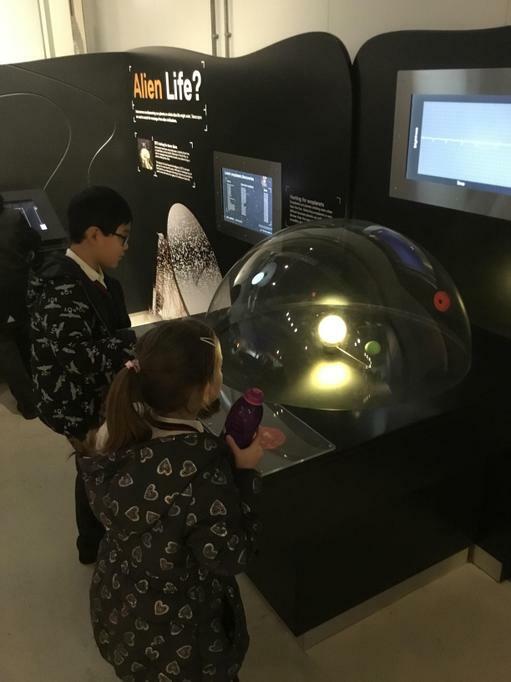 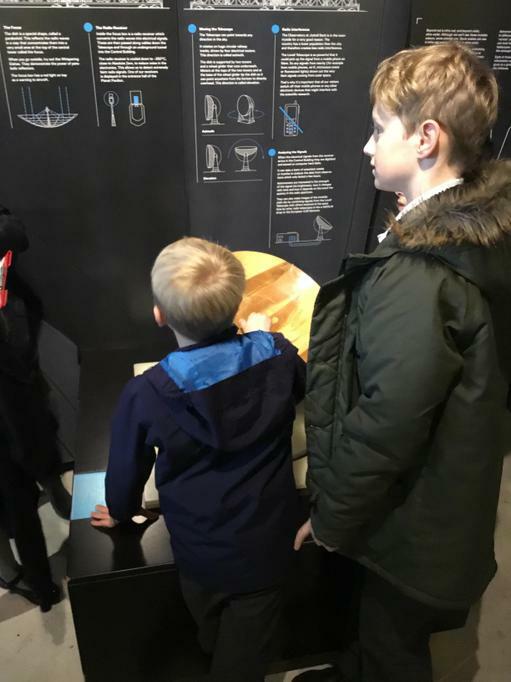 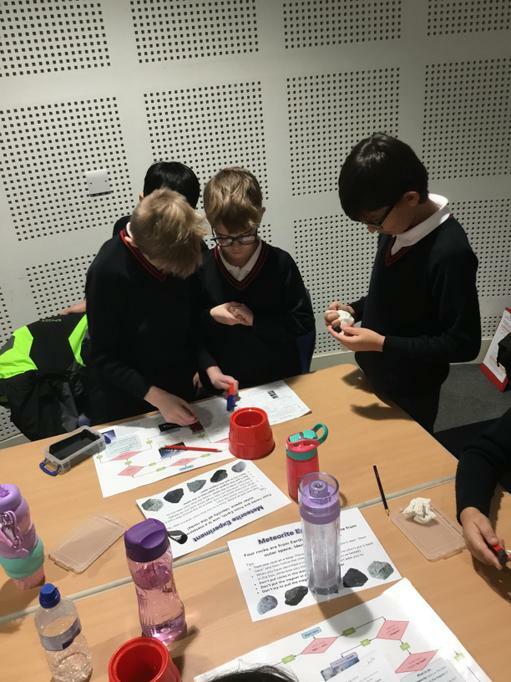 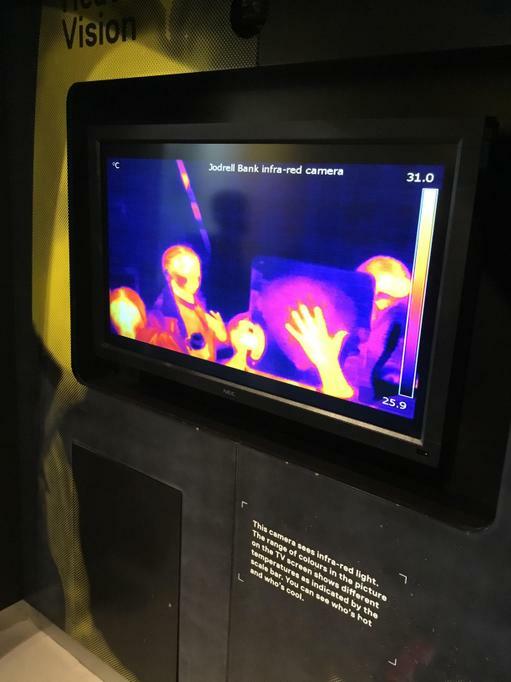 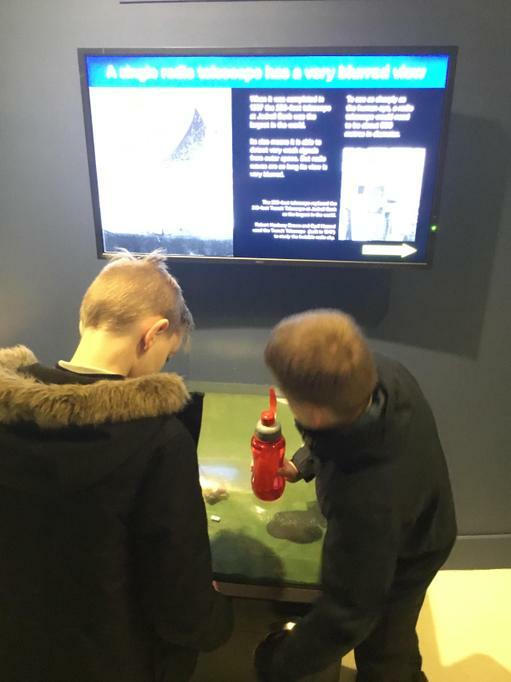 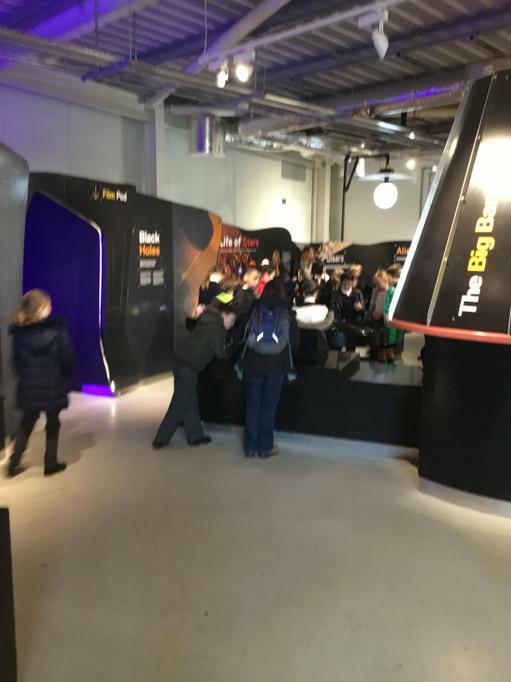 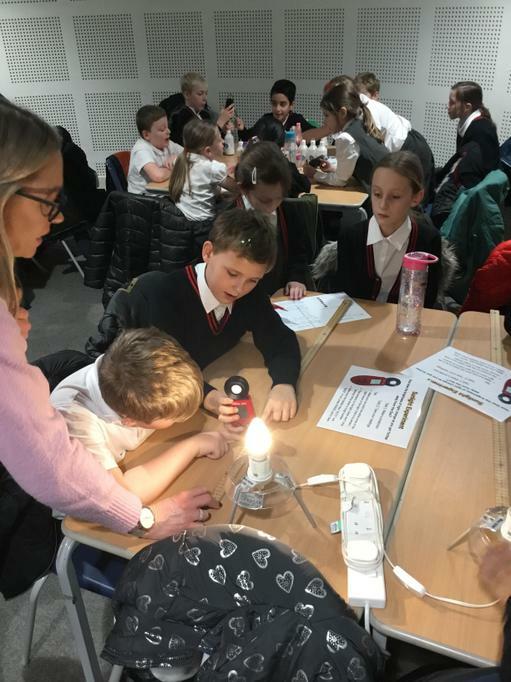 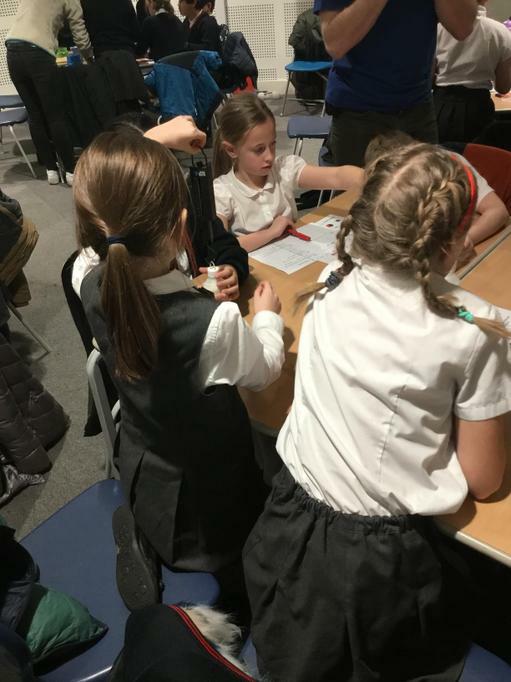 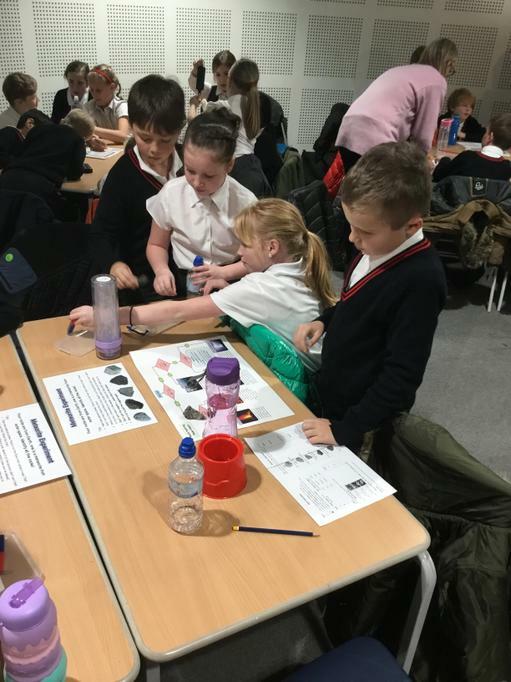 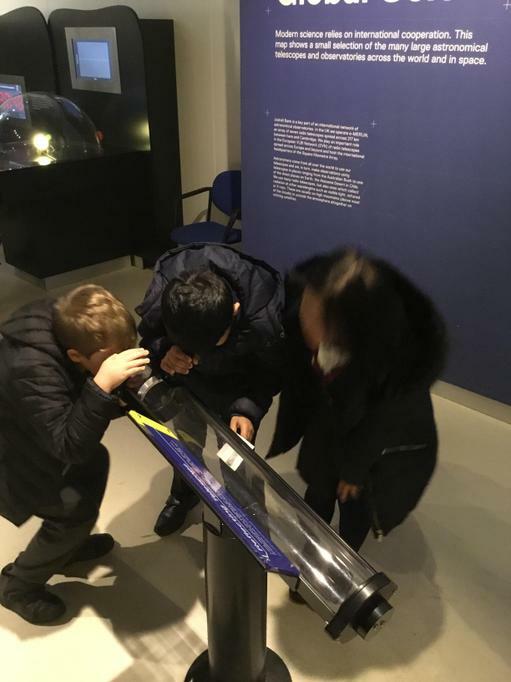 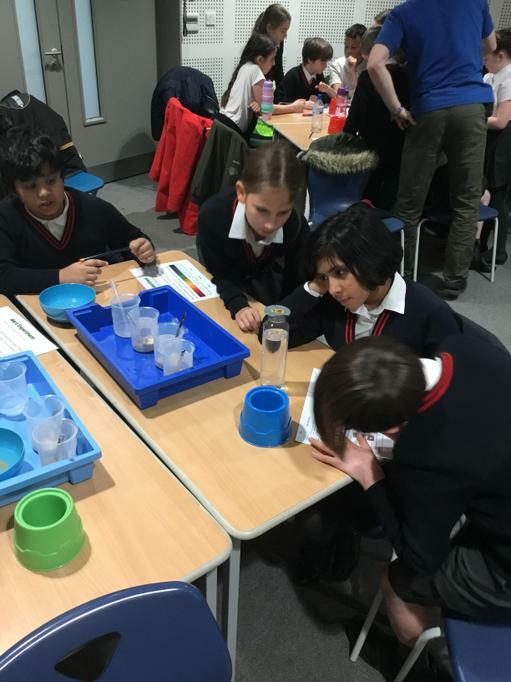 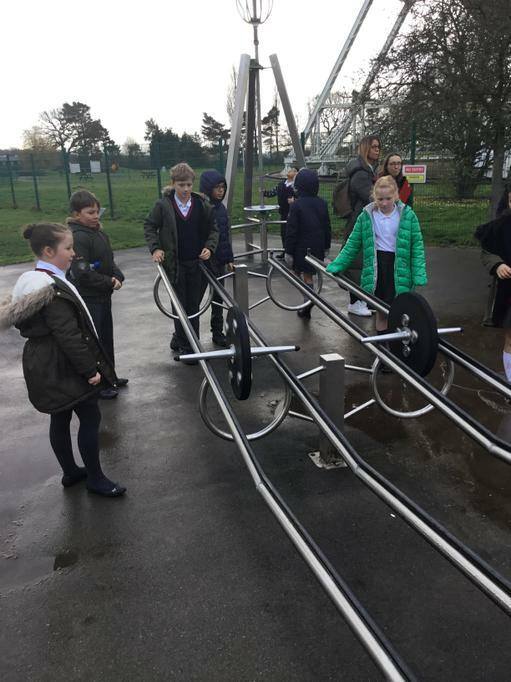 We got to have a go at the whispering dishes, force activities outside, see what happens when there is a black hole, look at the constellations, take part in some fascinating experiments and much more! 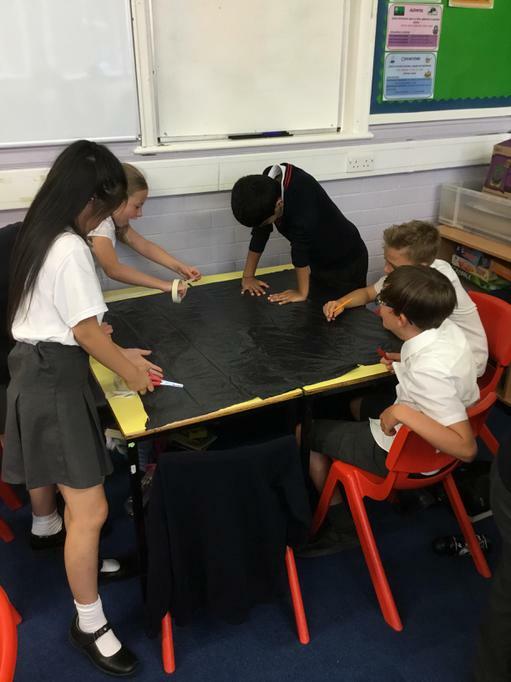 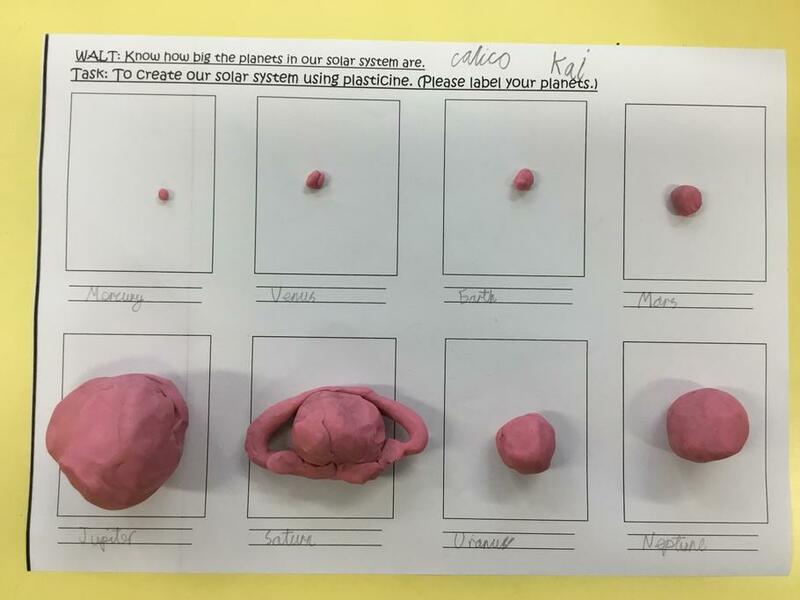 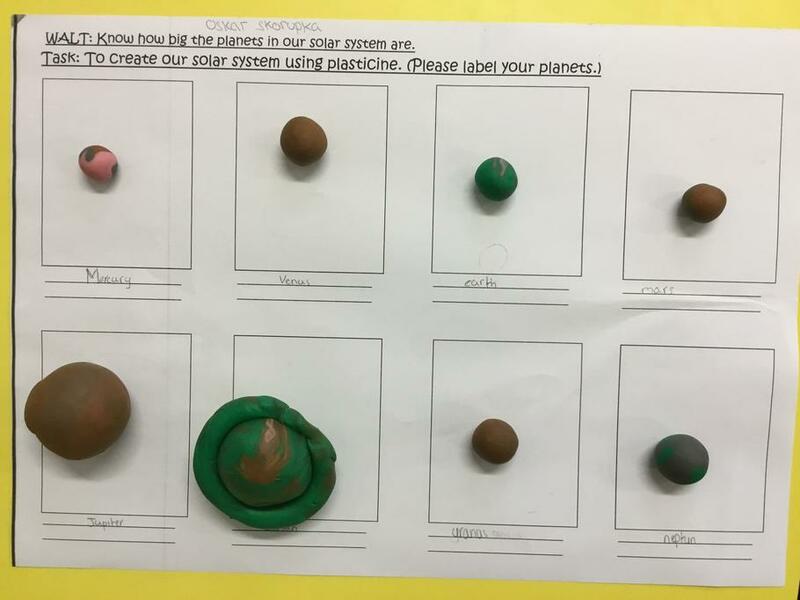 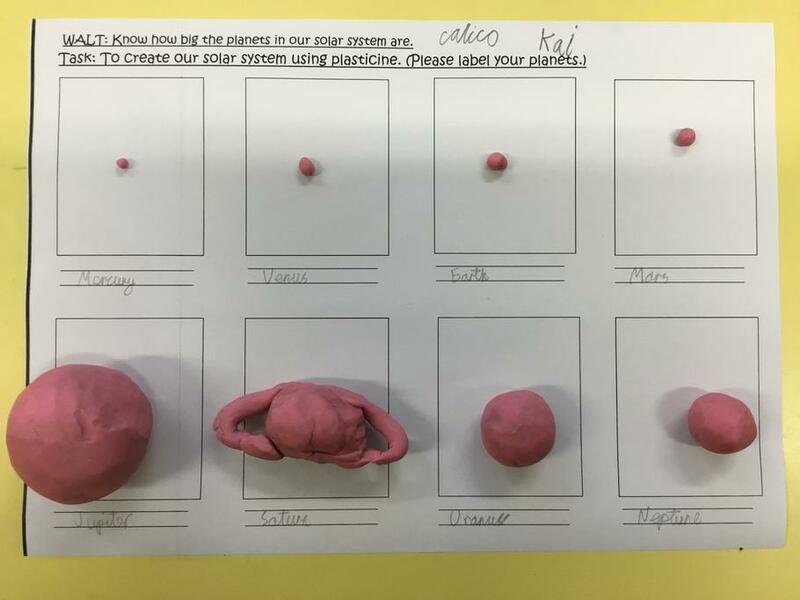 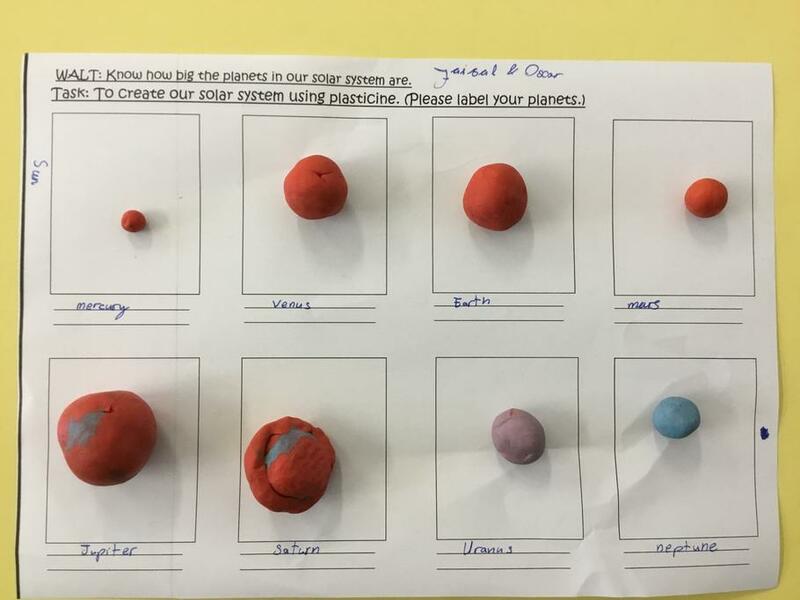 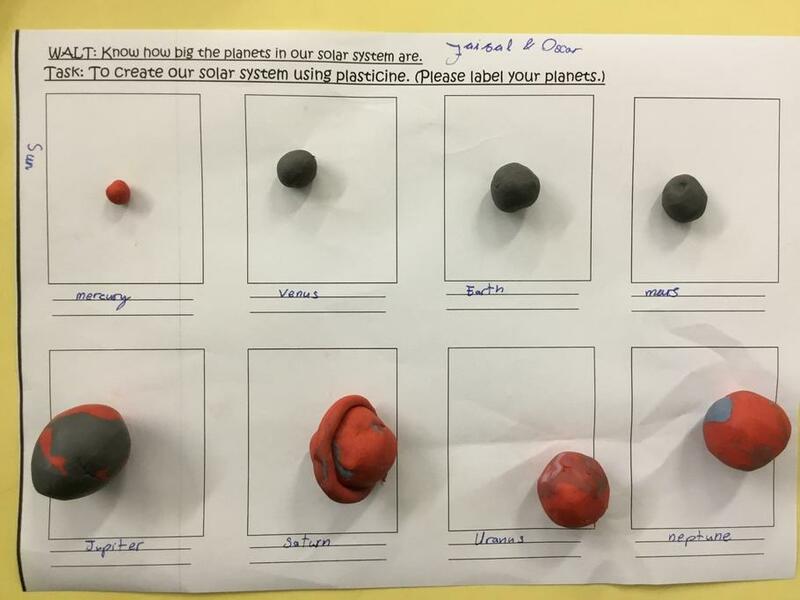 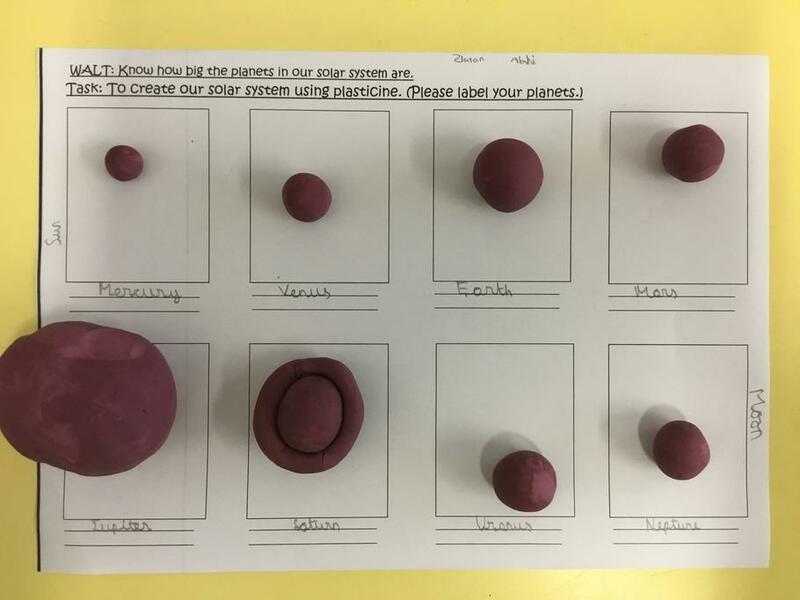 Today we had to estimate how big we thought the planets would be (not to scale) using our plastercine. 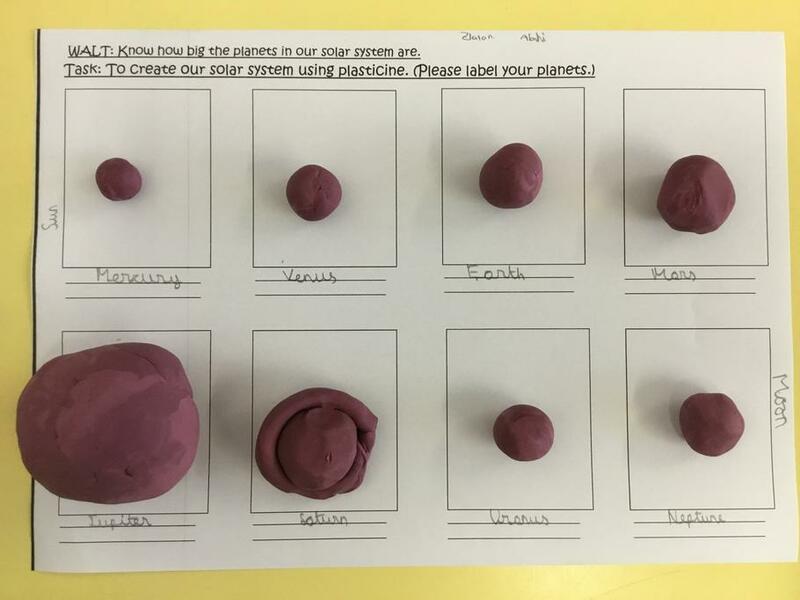 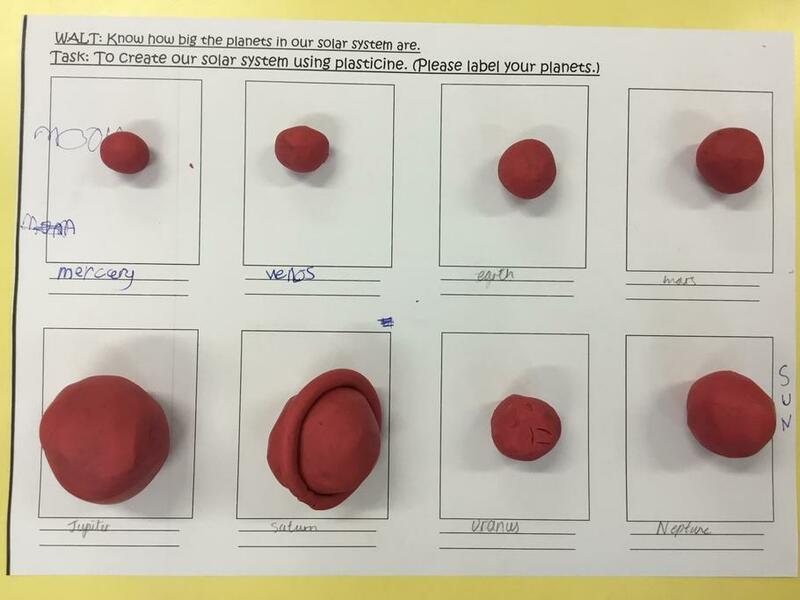 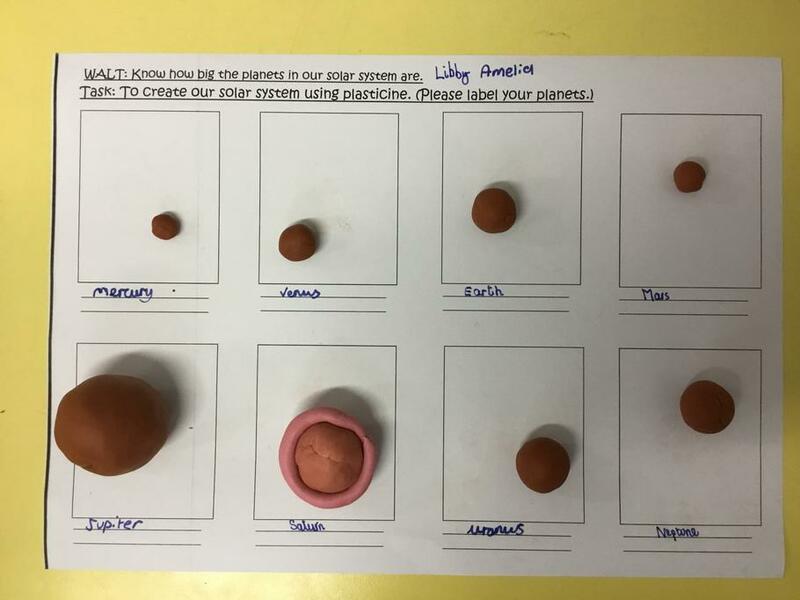 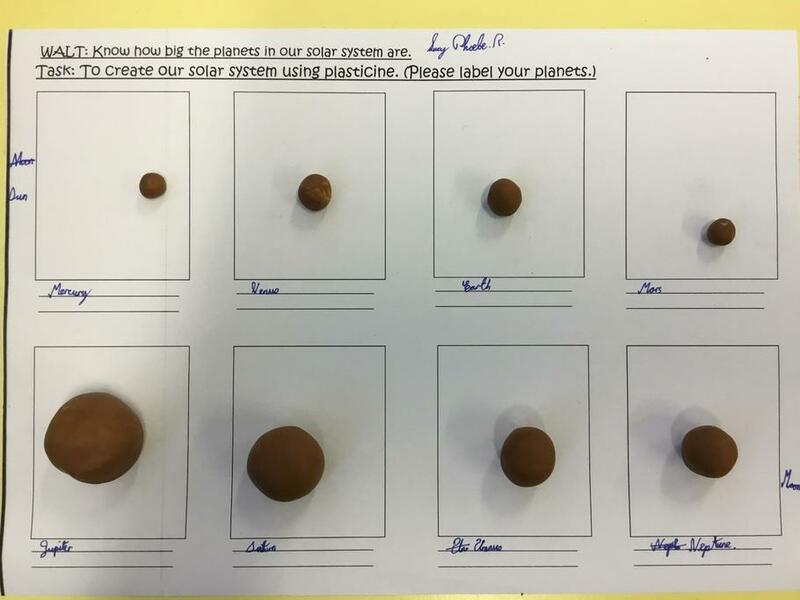 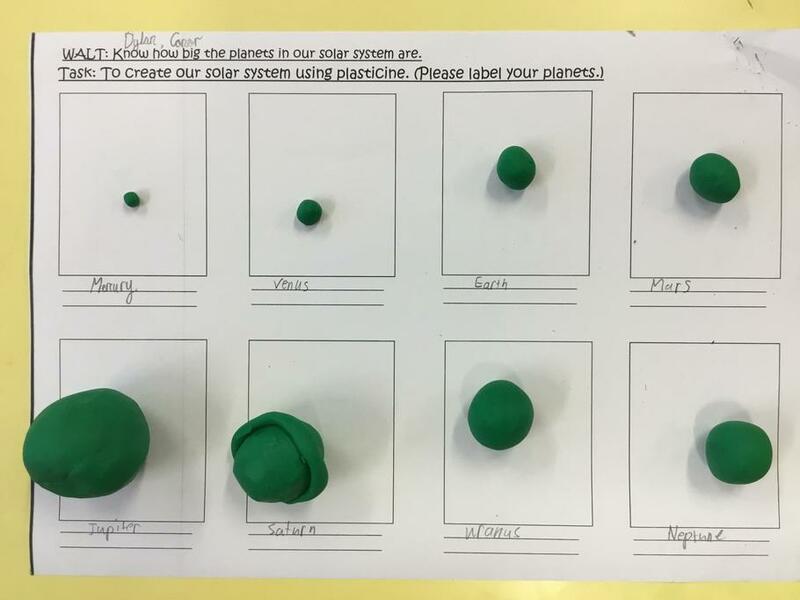 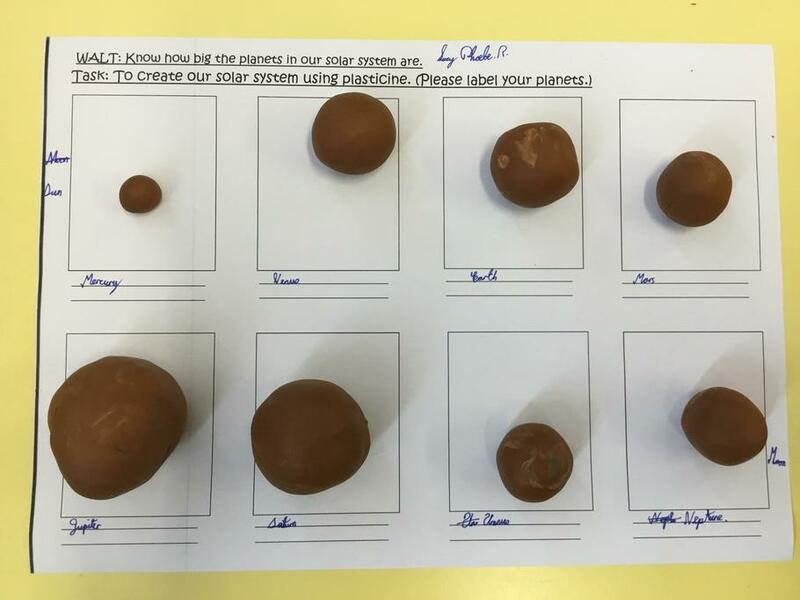 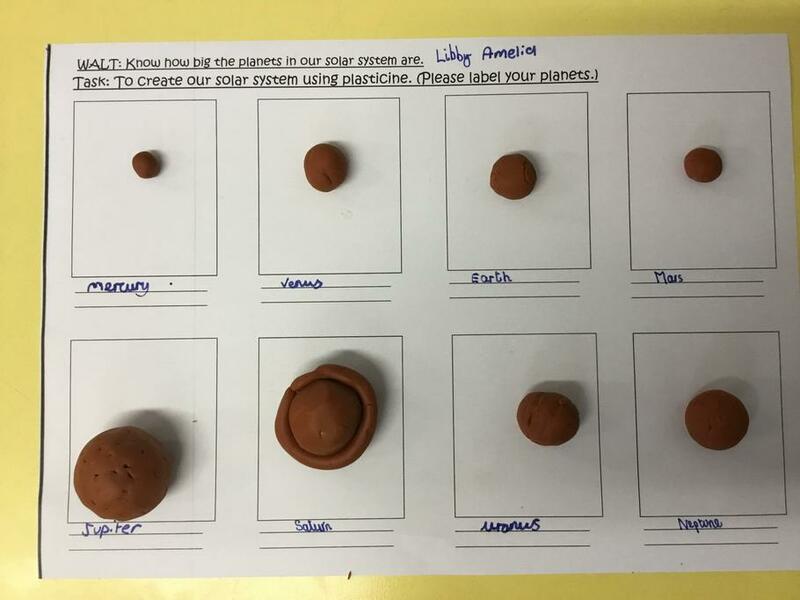 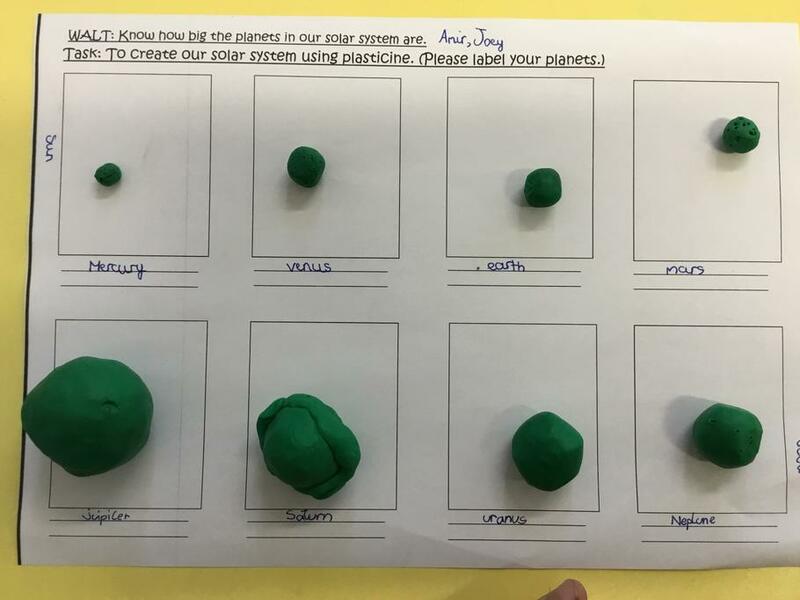 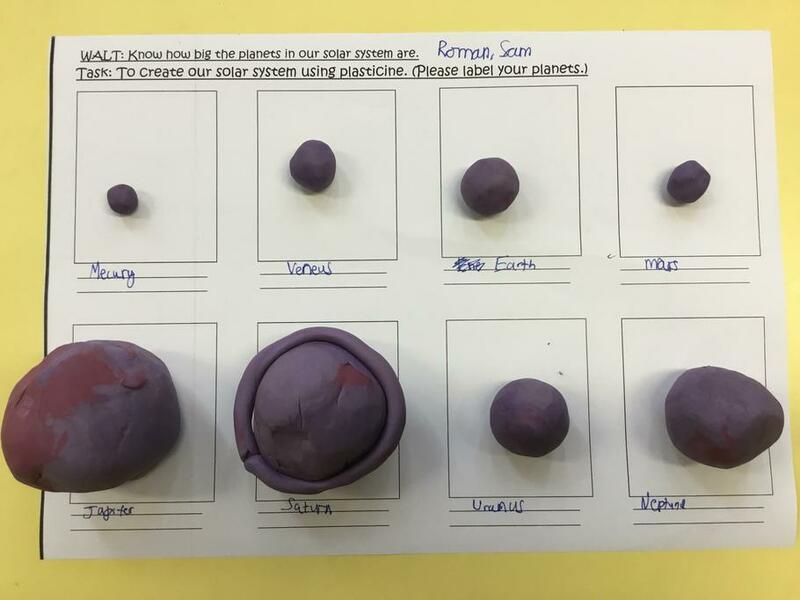 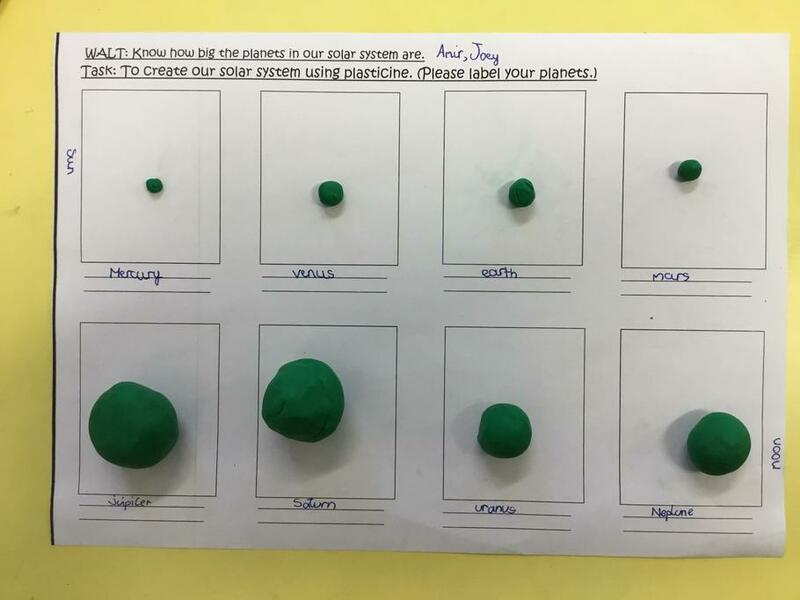 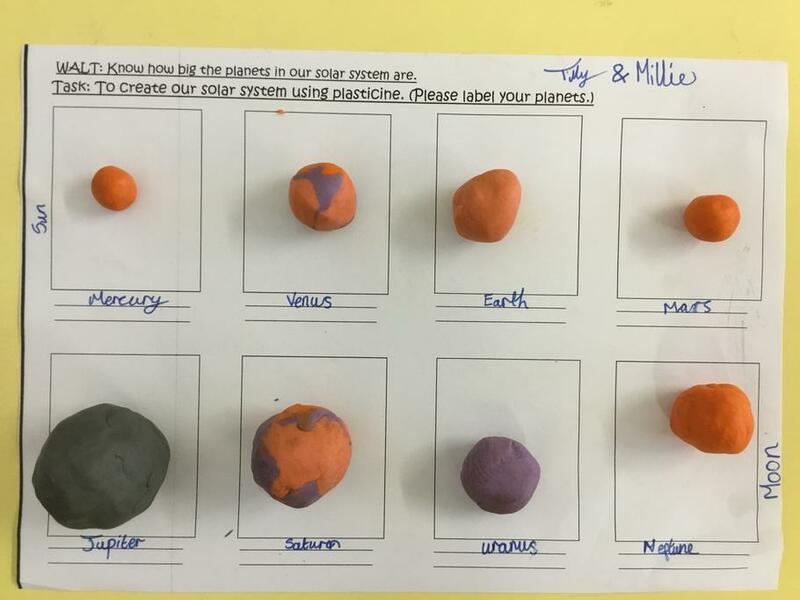 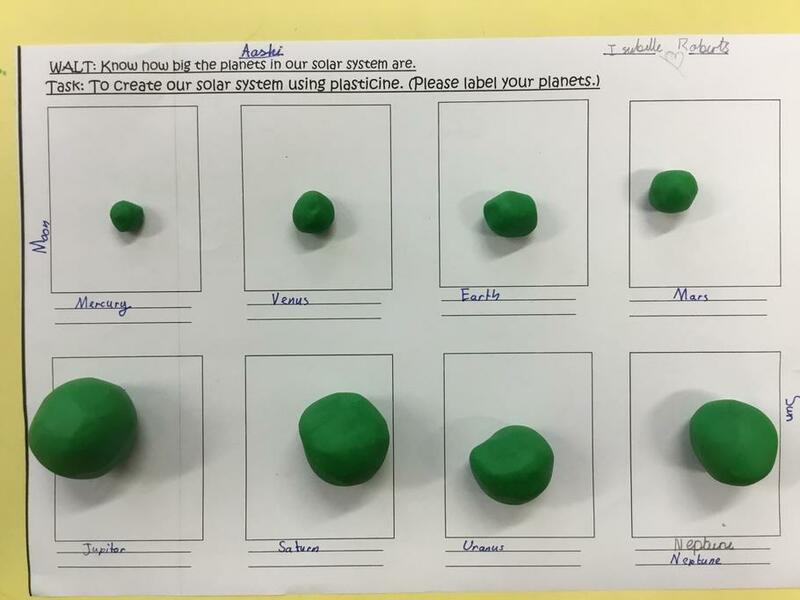 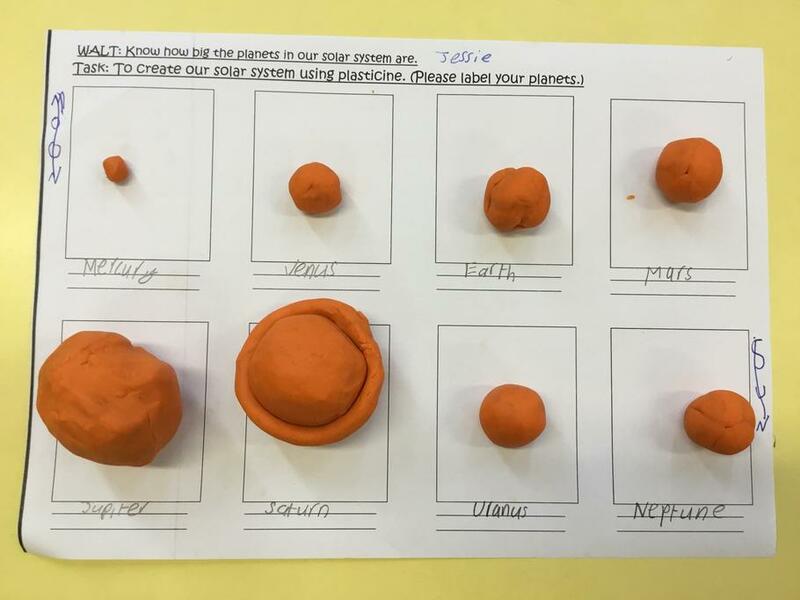 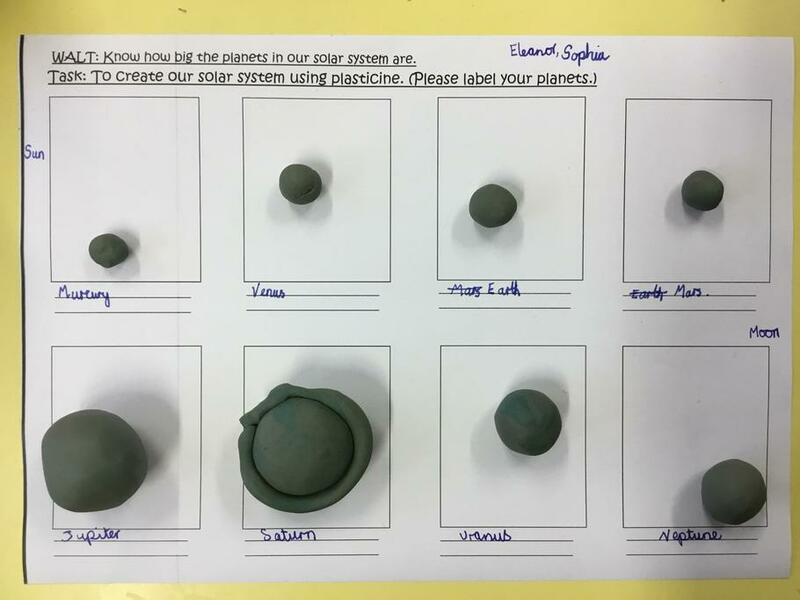 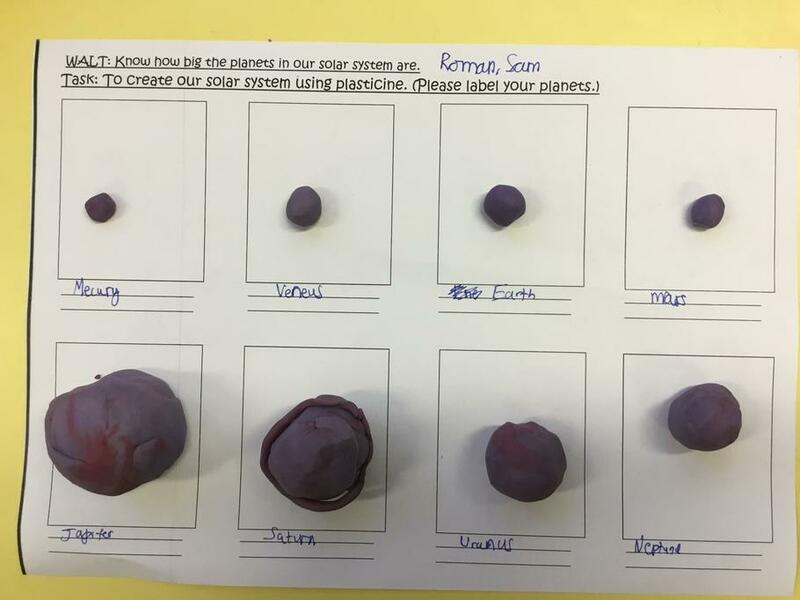 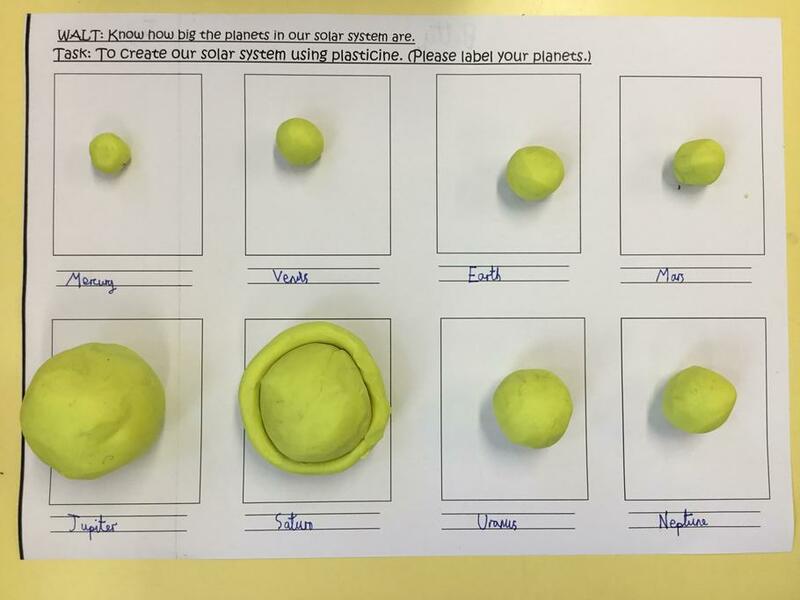 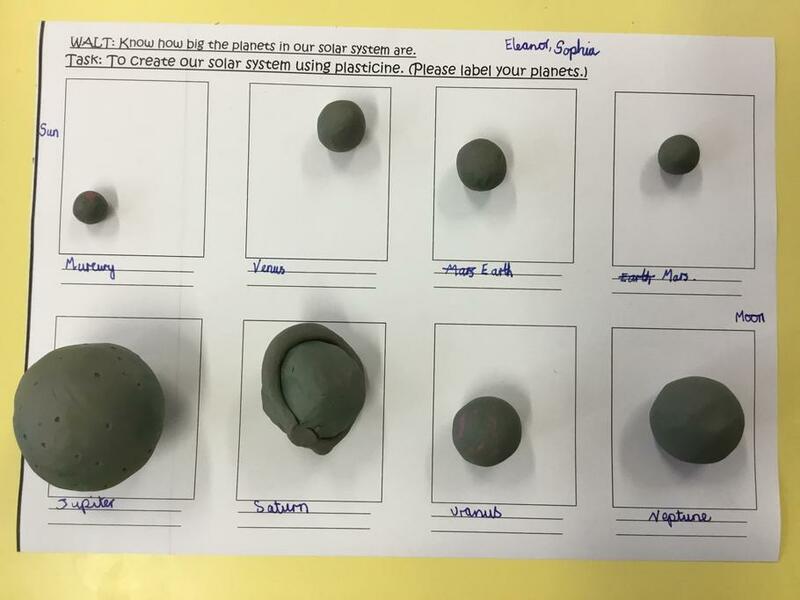 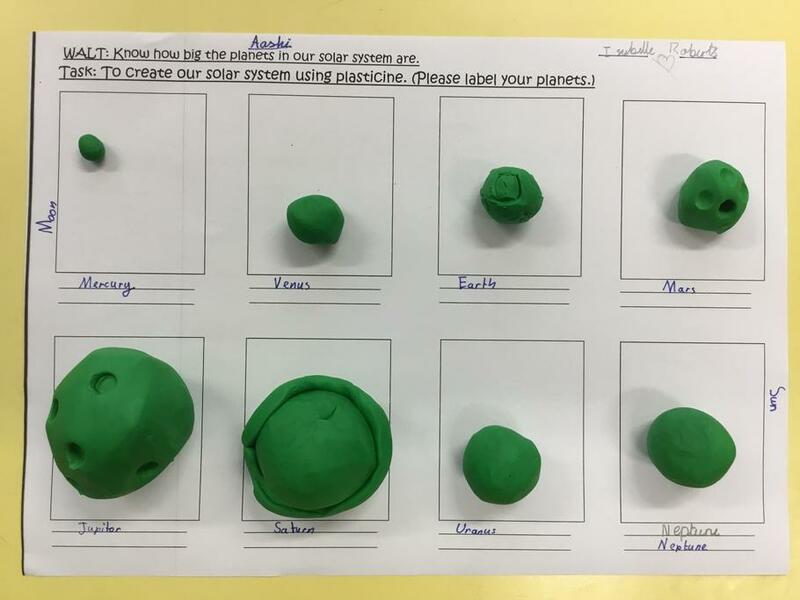 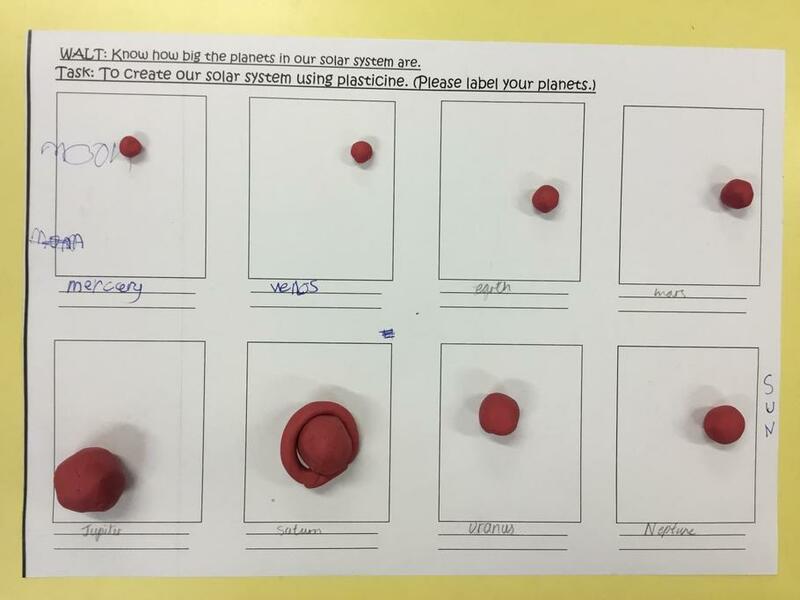 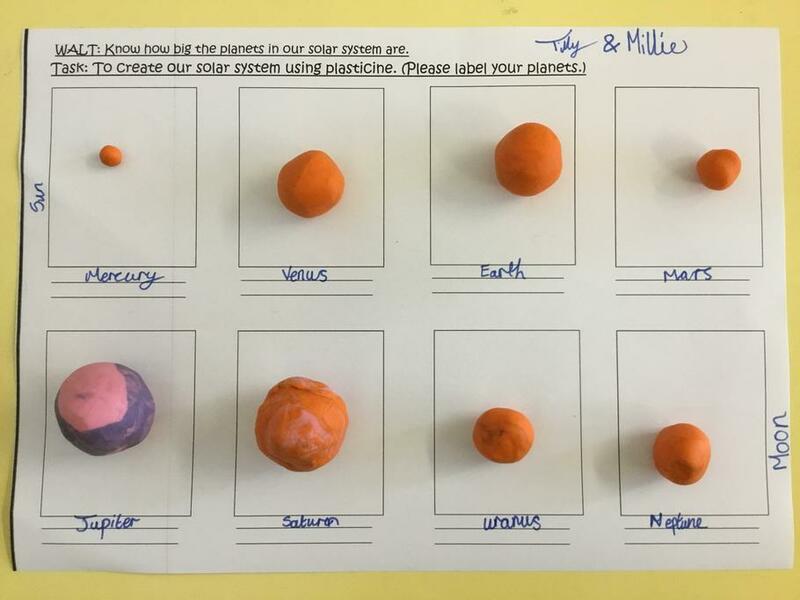 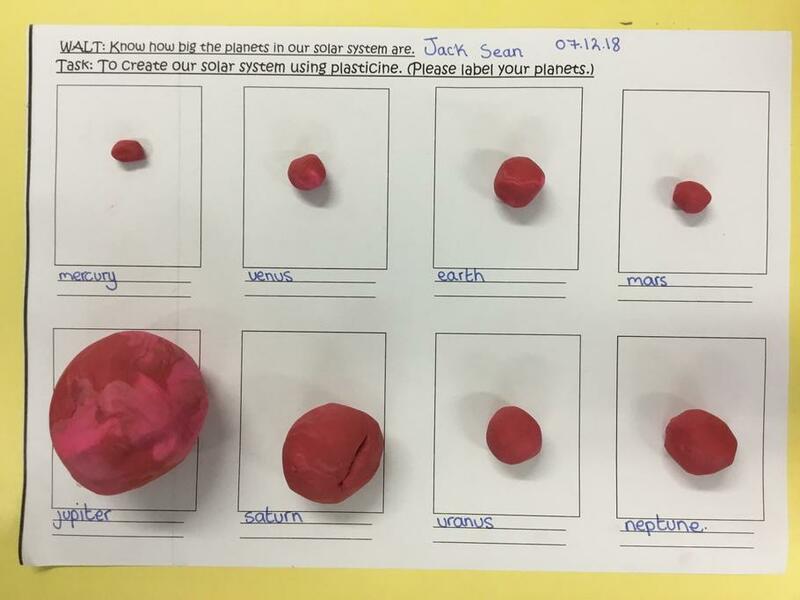 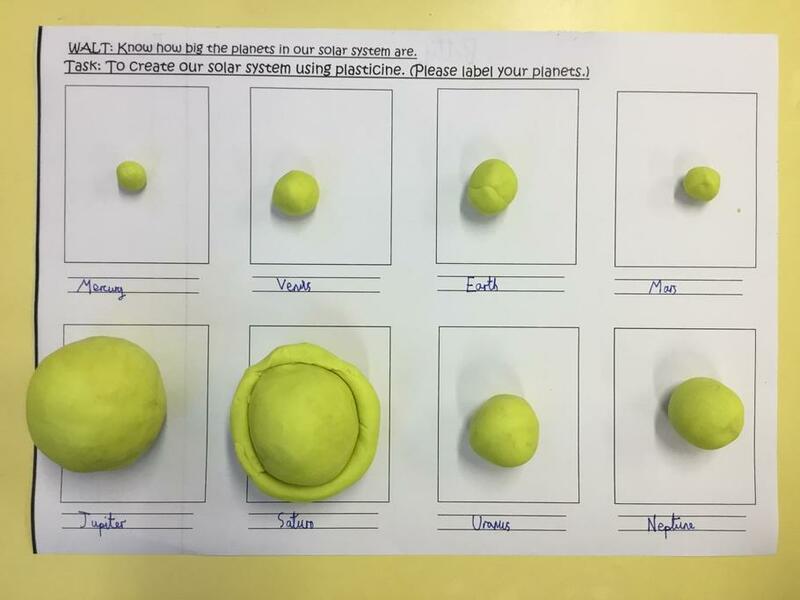 We then had a look at the actual diameters of the planets and had to use our maths skills to figure out how to make our original planets more accurate! 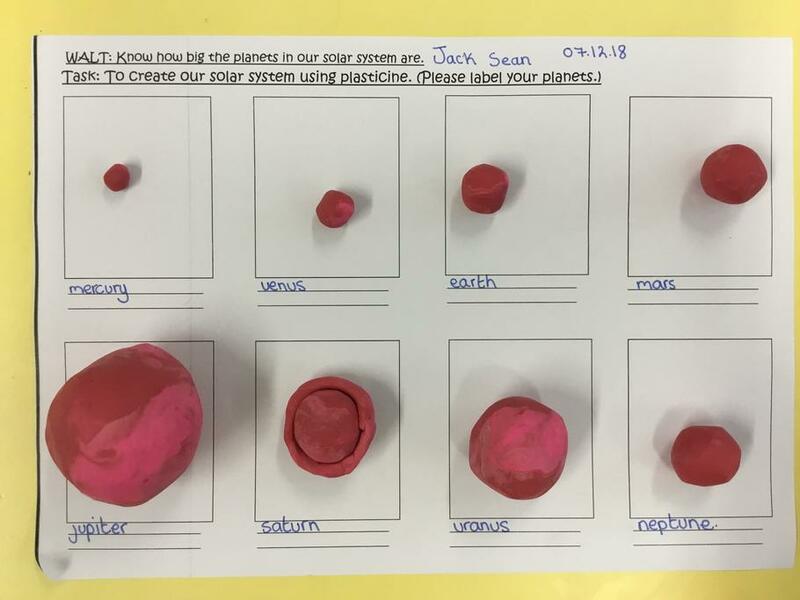 We were very shocked at how big some of the planets were compared to the others! 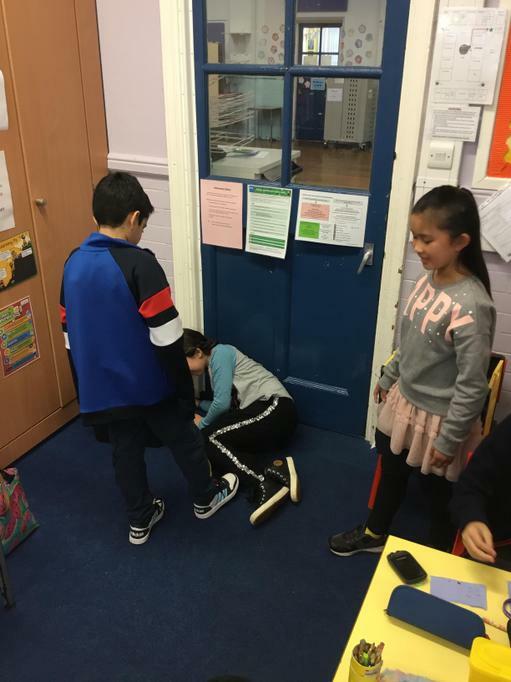 This week has been anti-bullying week. 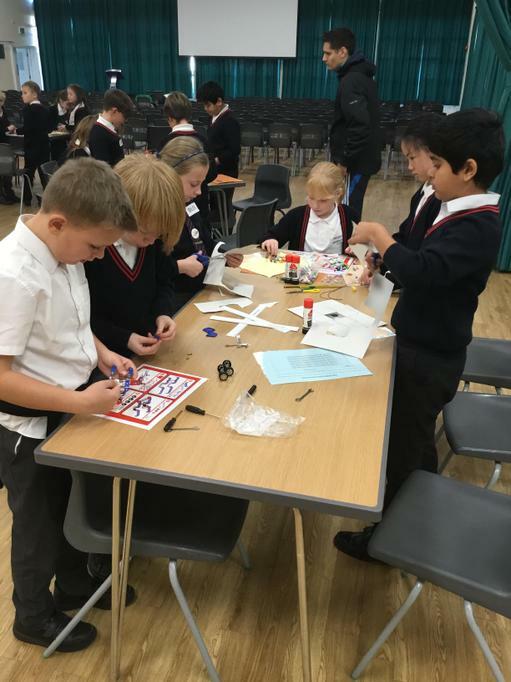 The theme for this year has been ‘Choose Respect’. 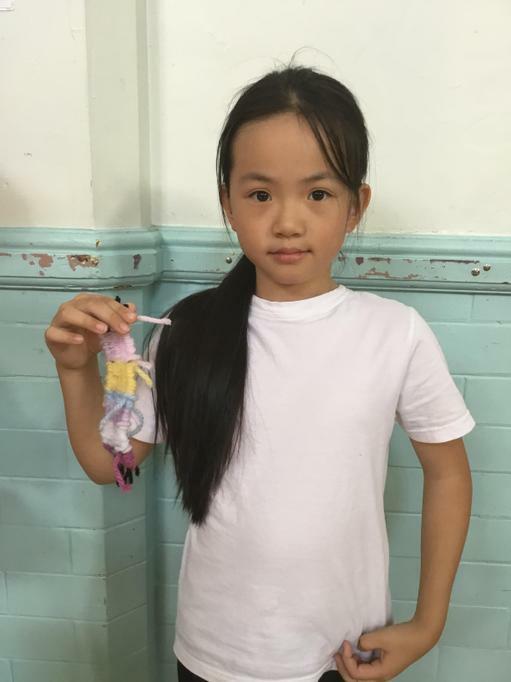 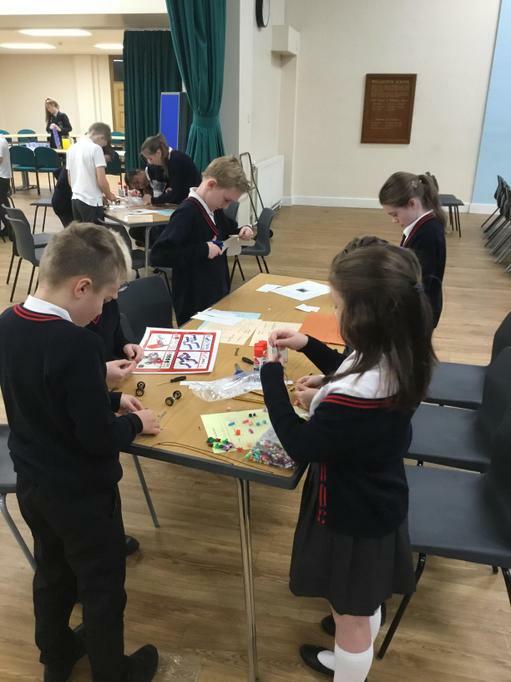 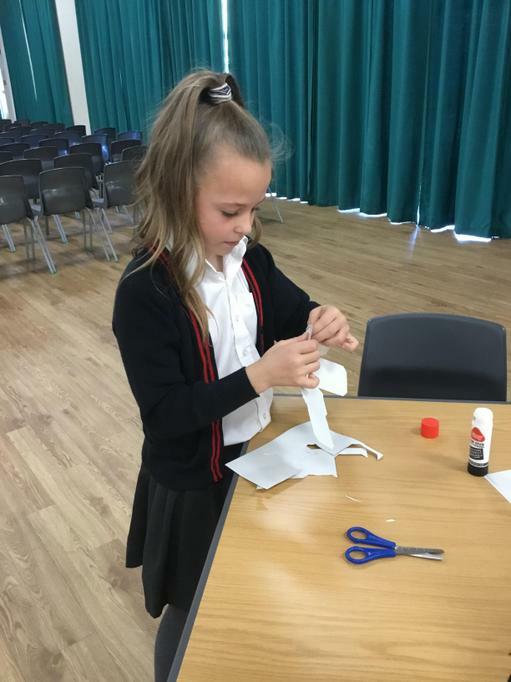 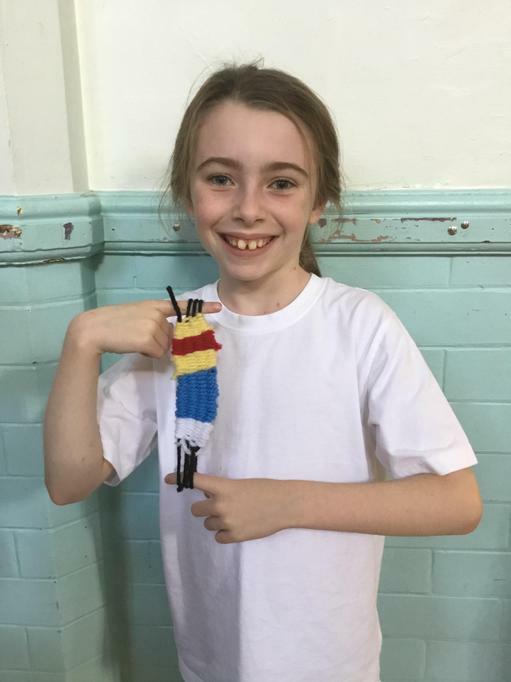 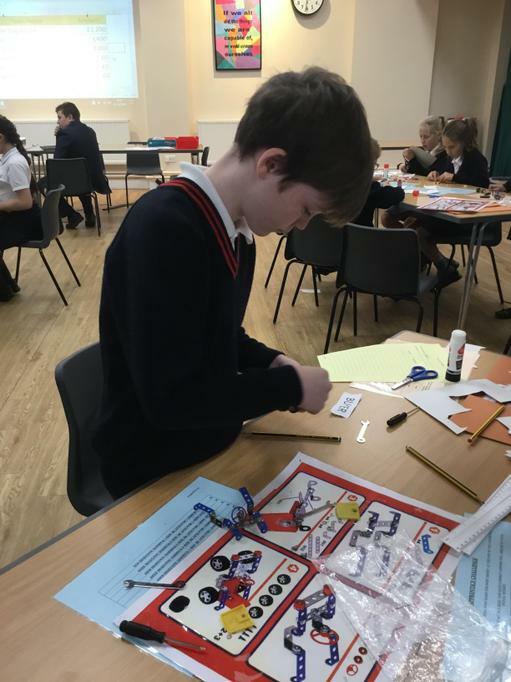 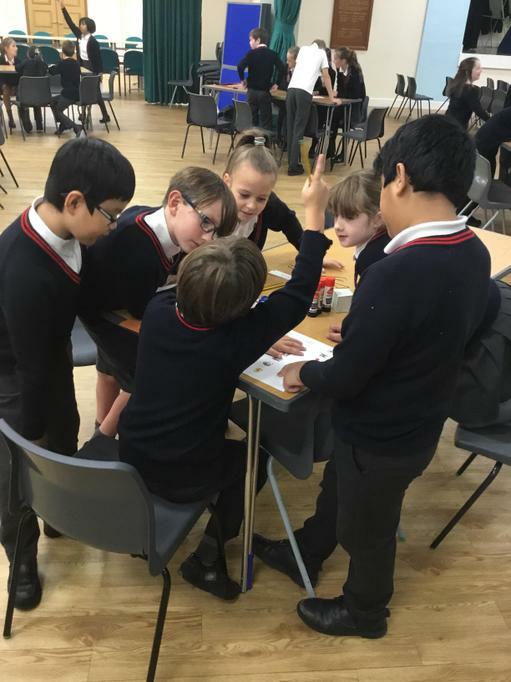 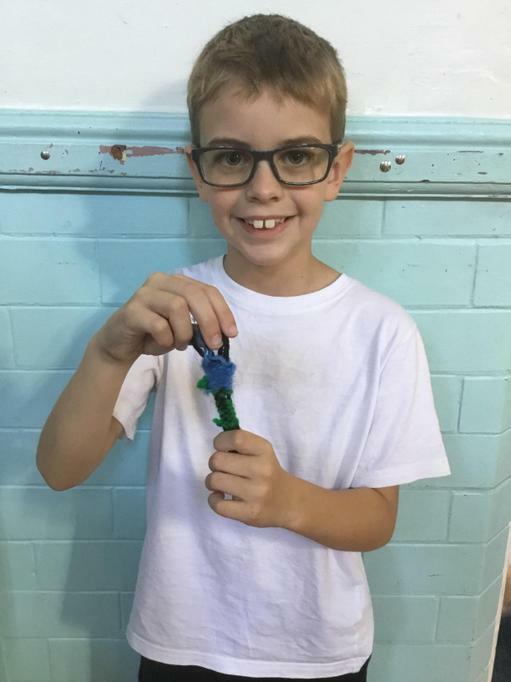 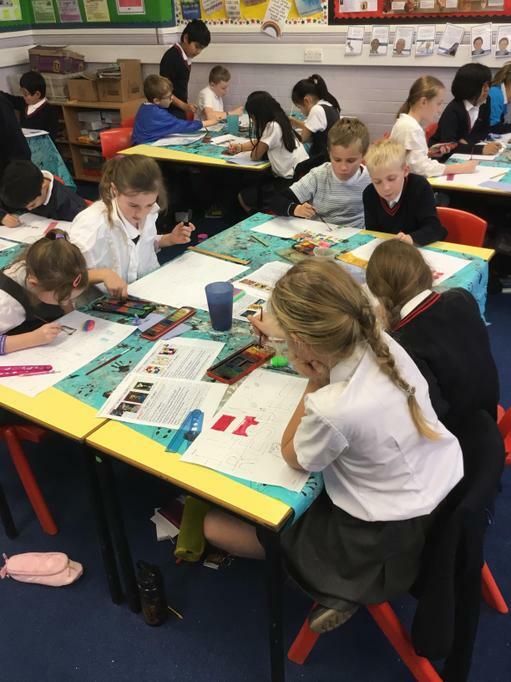 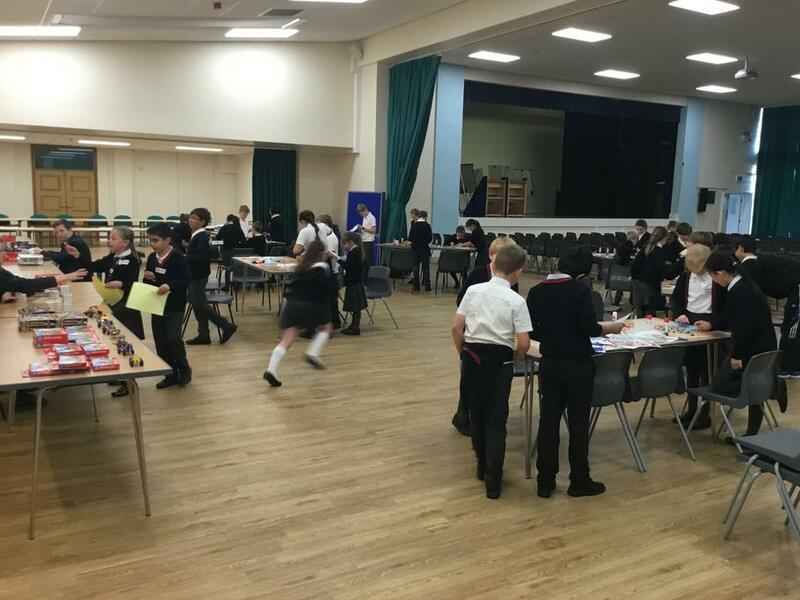 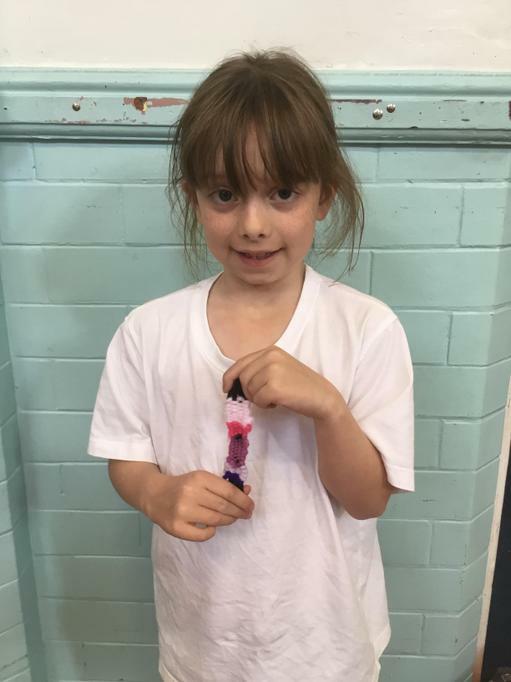 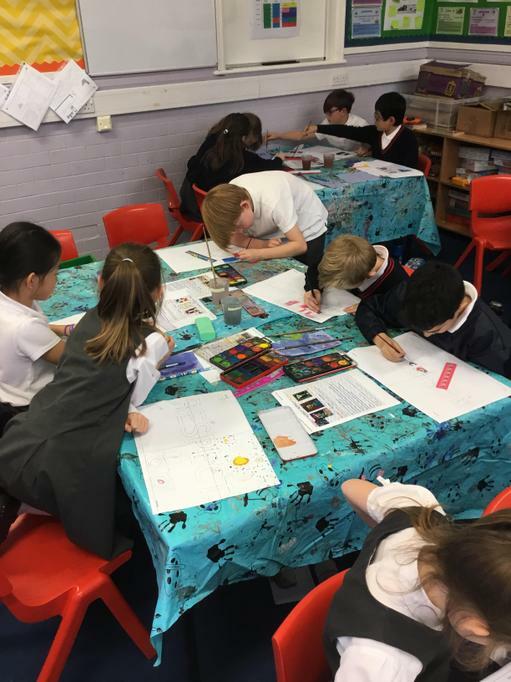 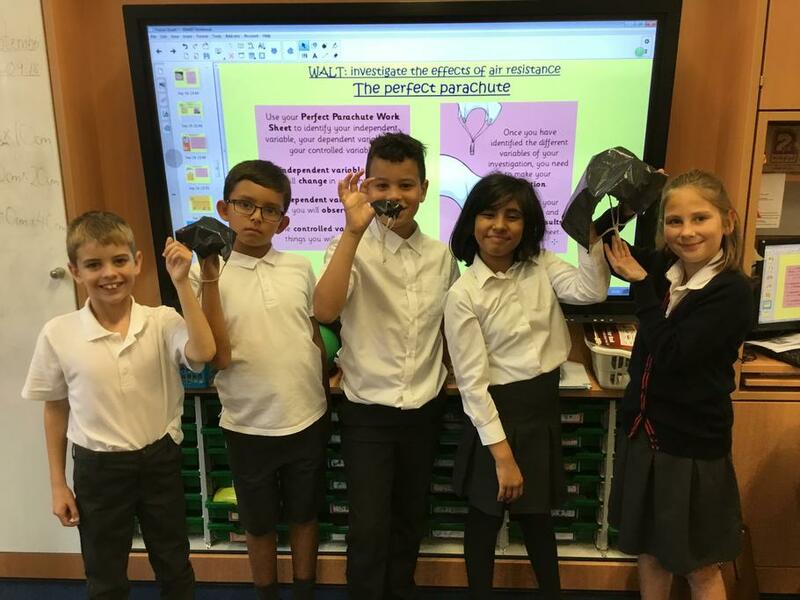 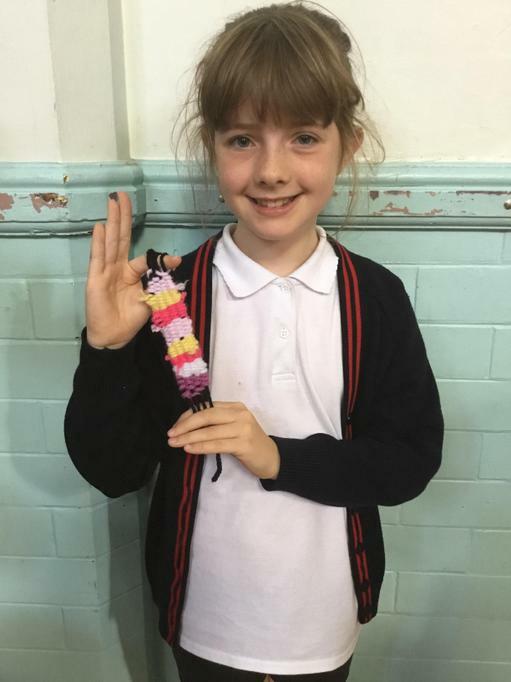 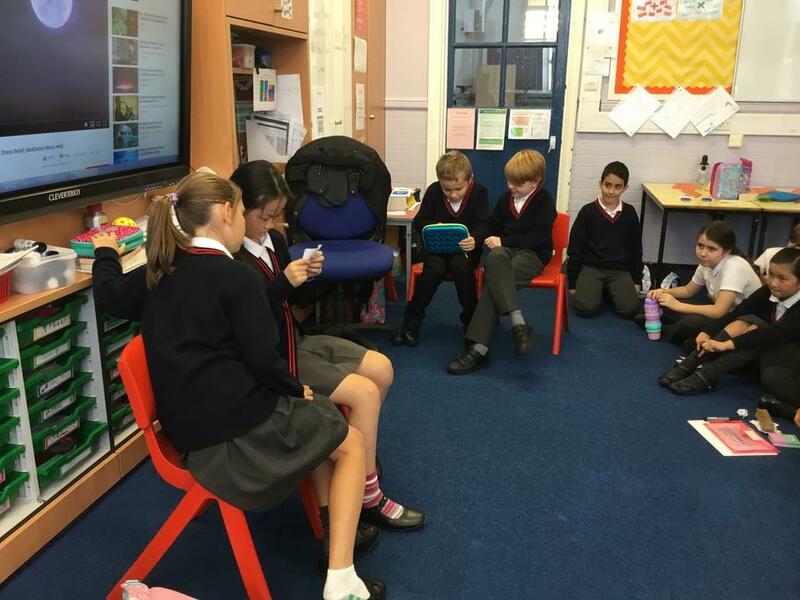 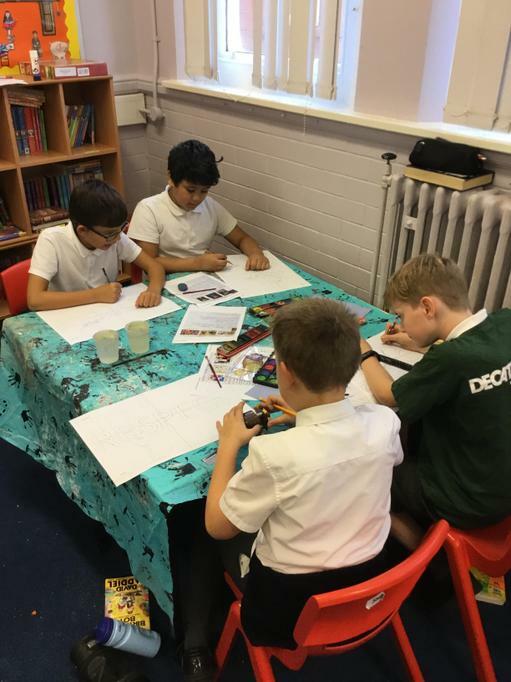 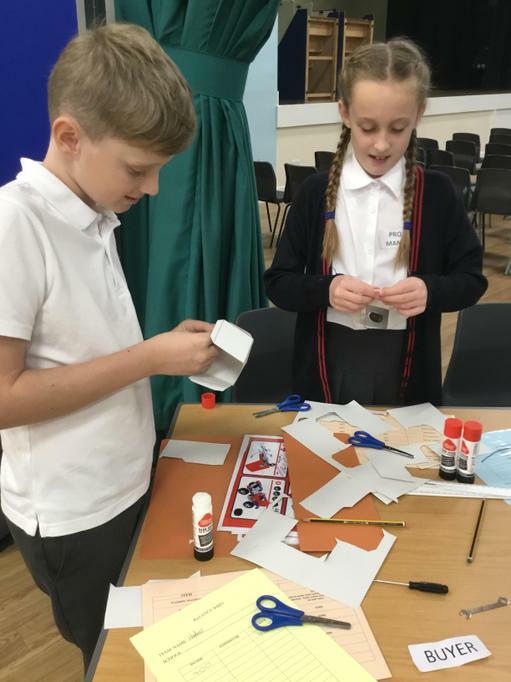 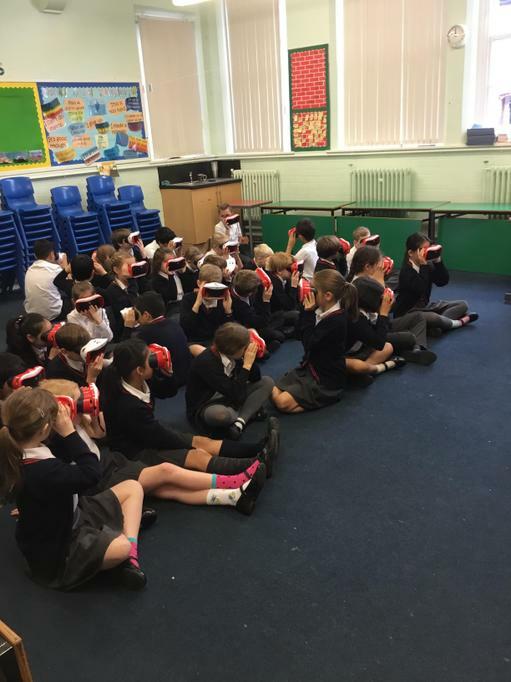 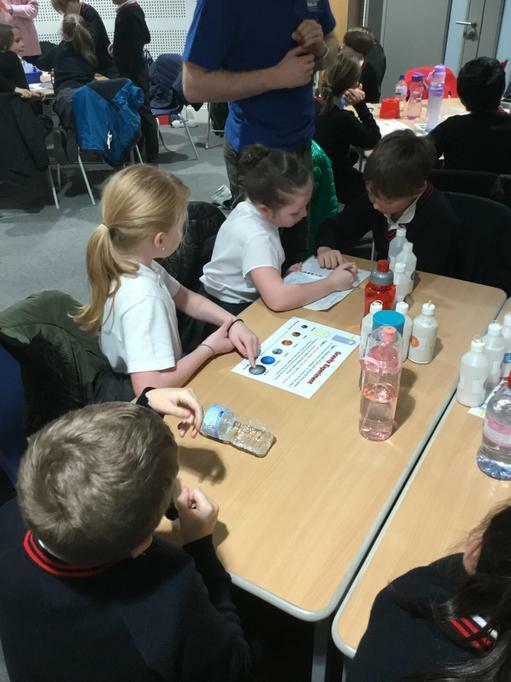 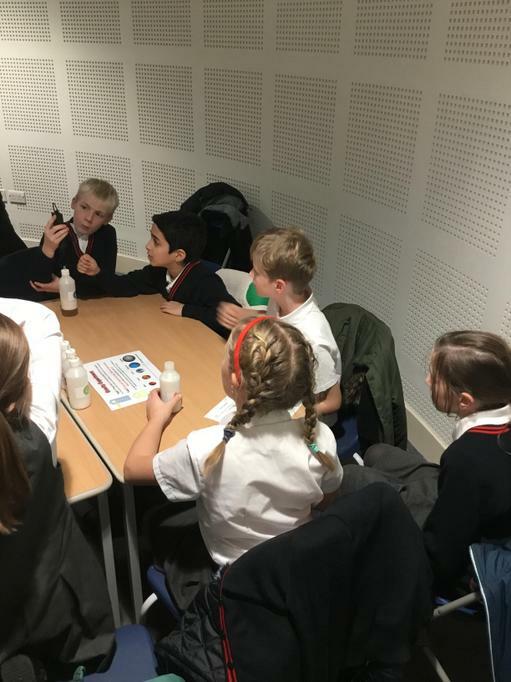 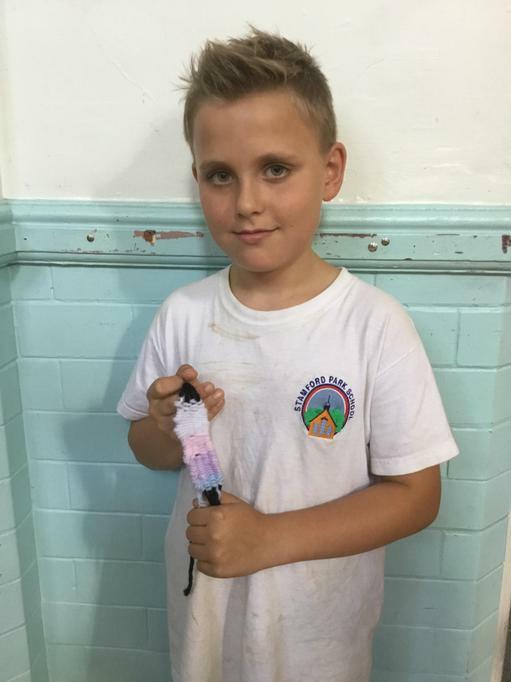 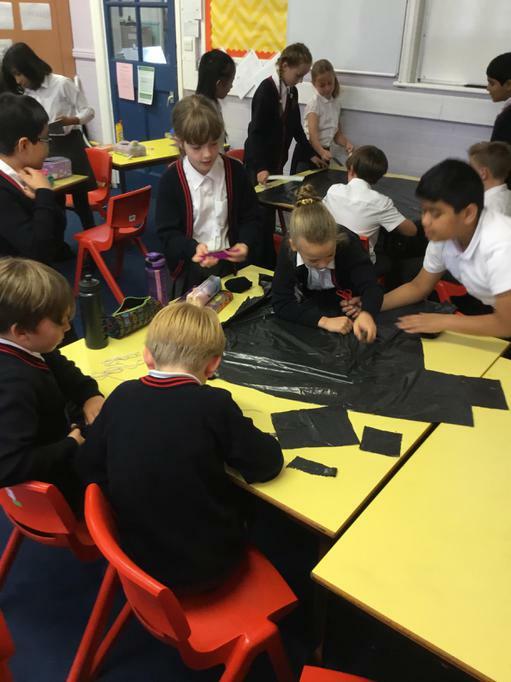 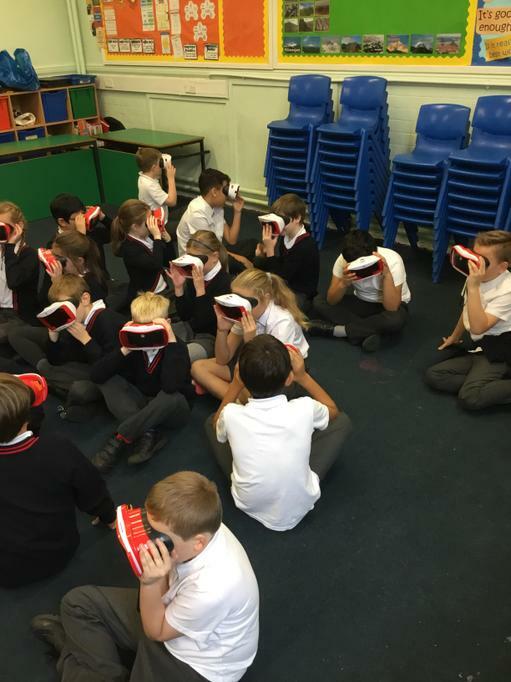 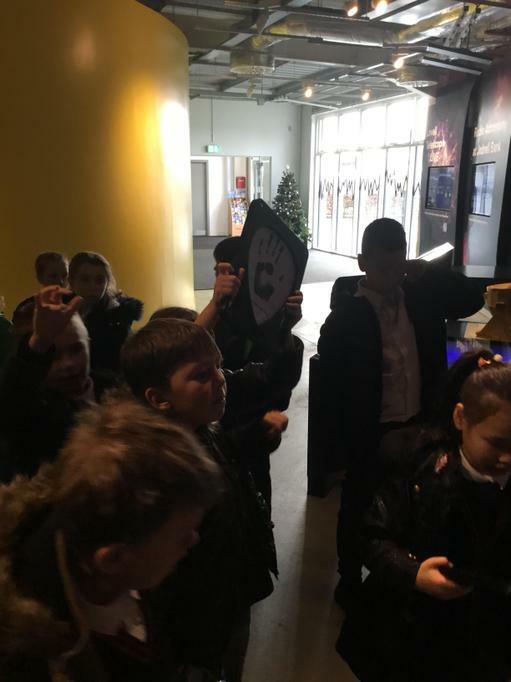 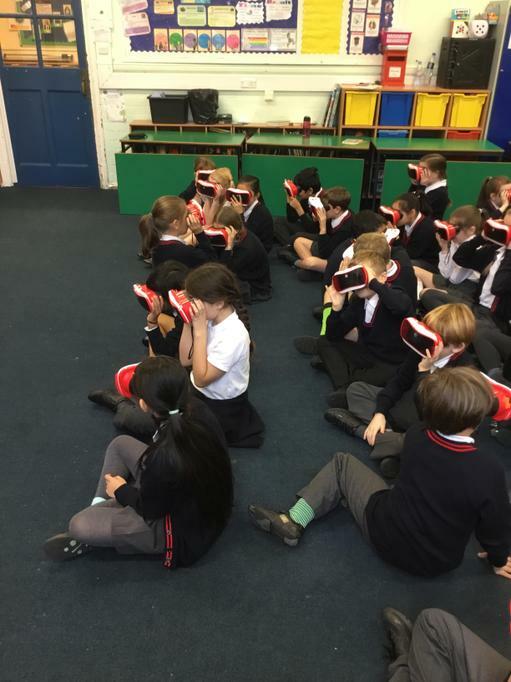 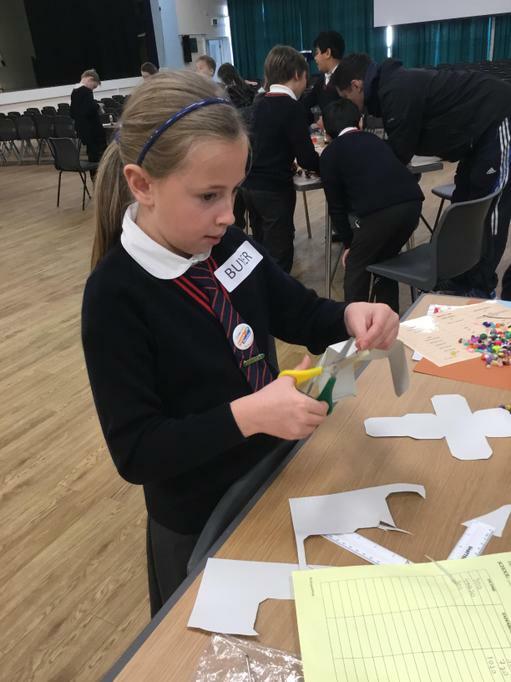 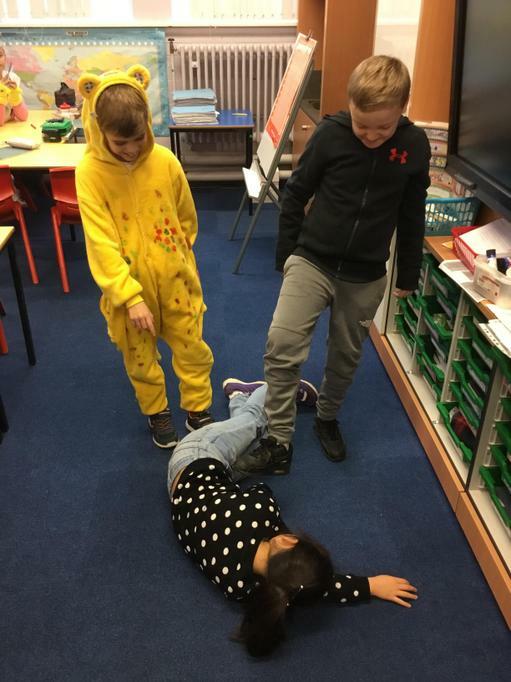 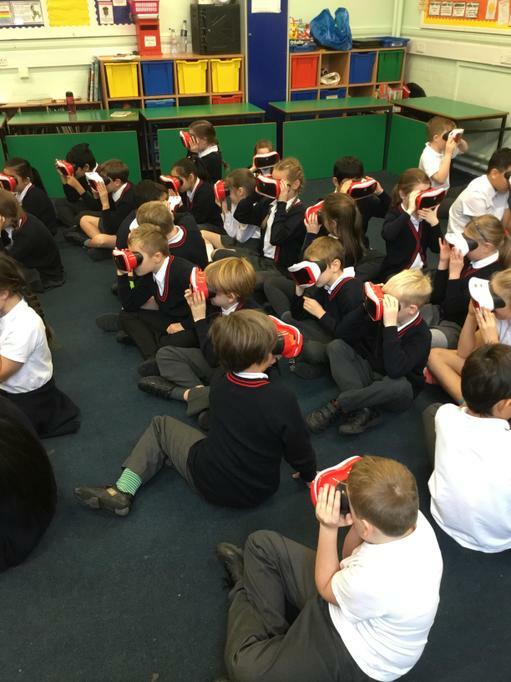 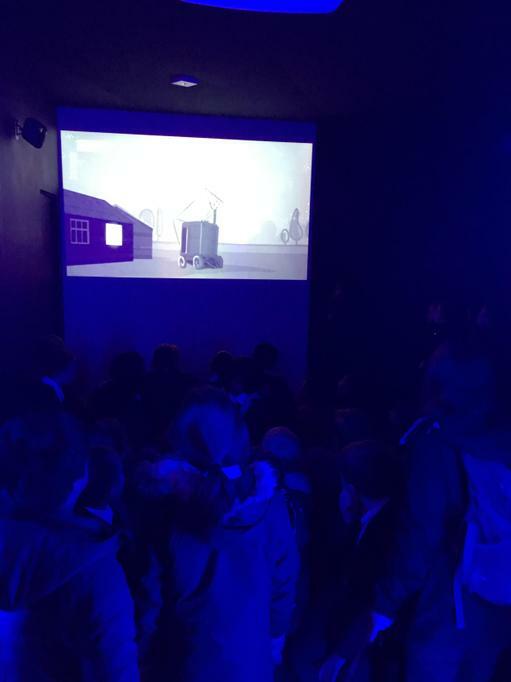 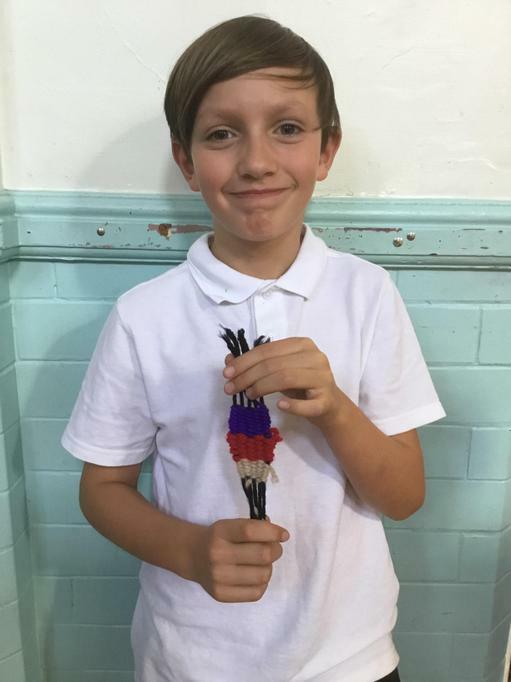 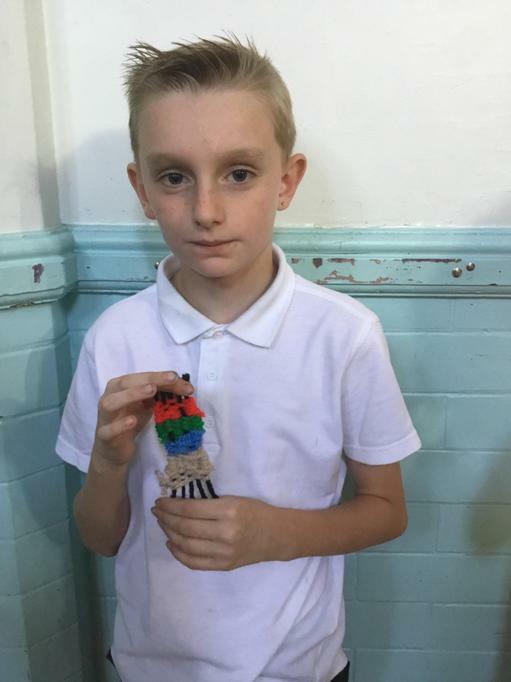 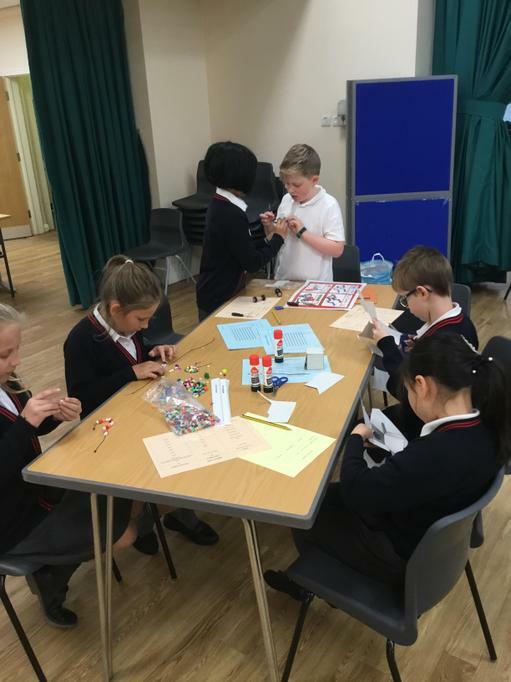 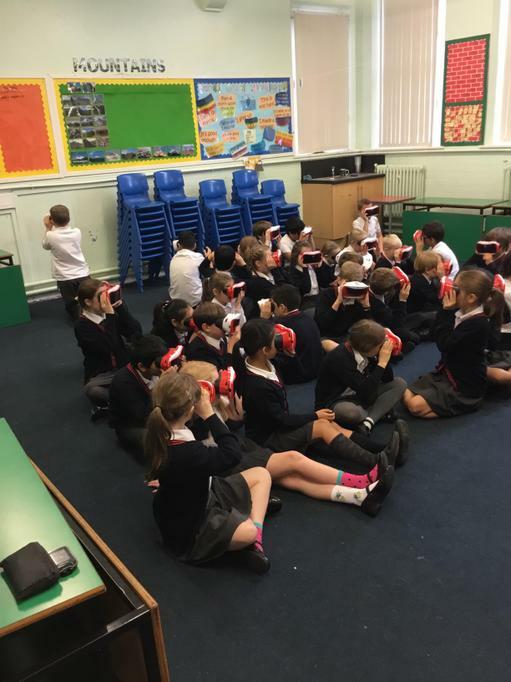 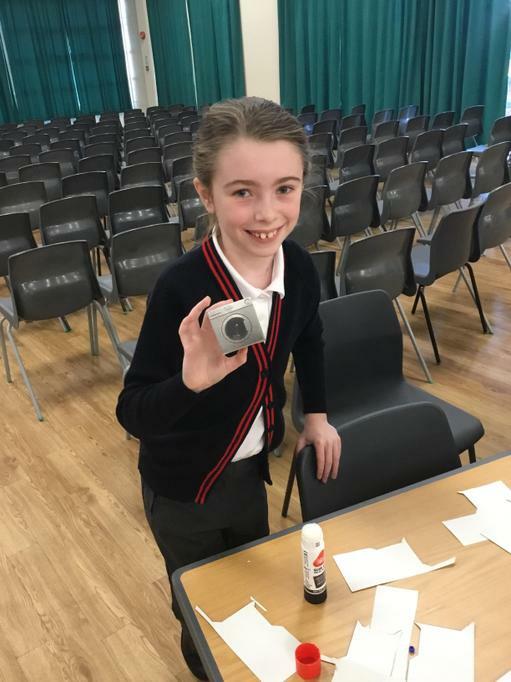 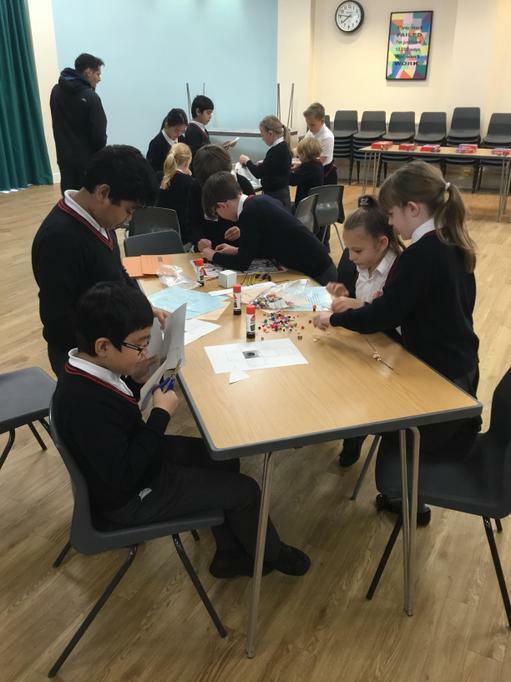 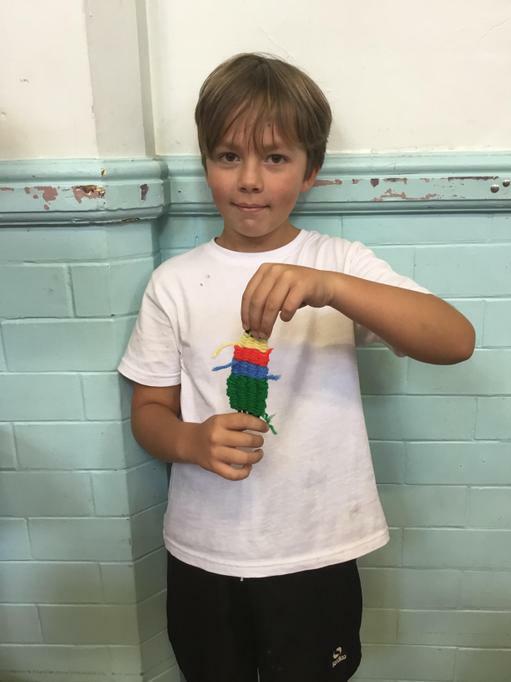 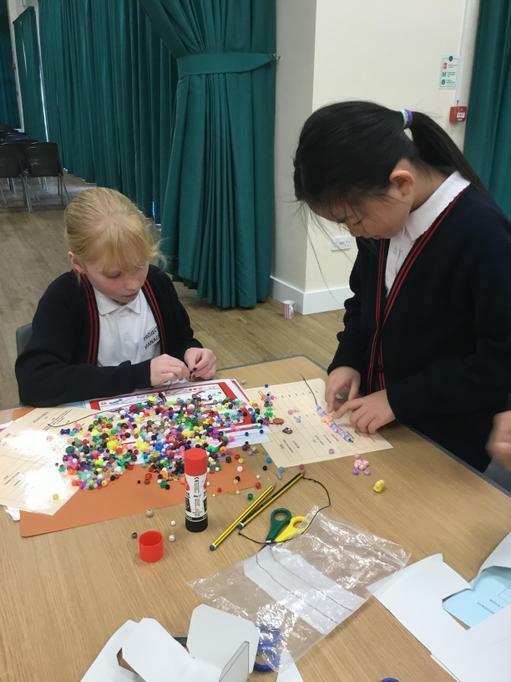 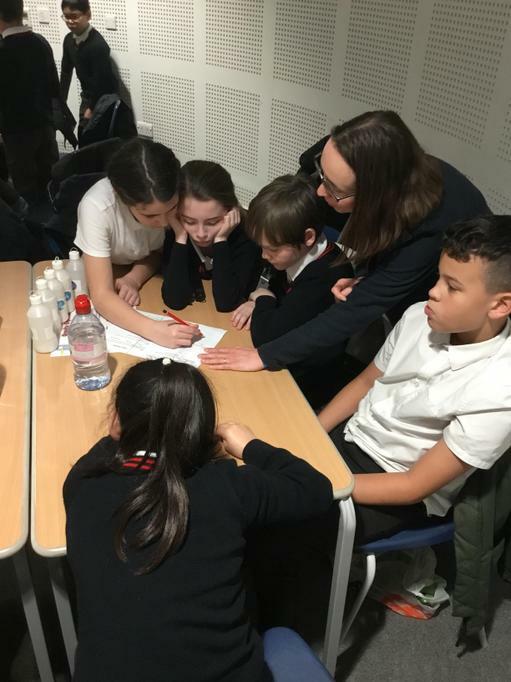 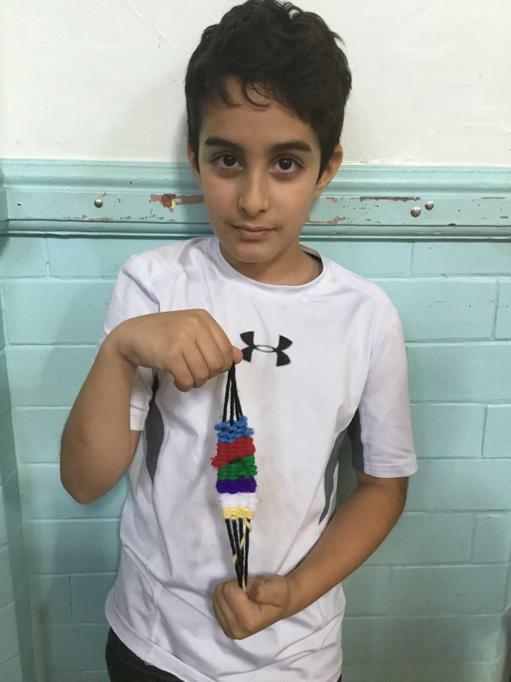 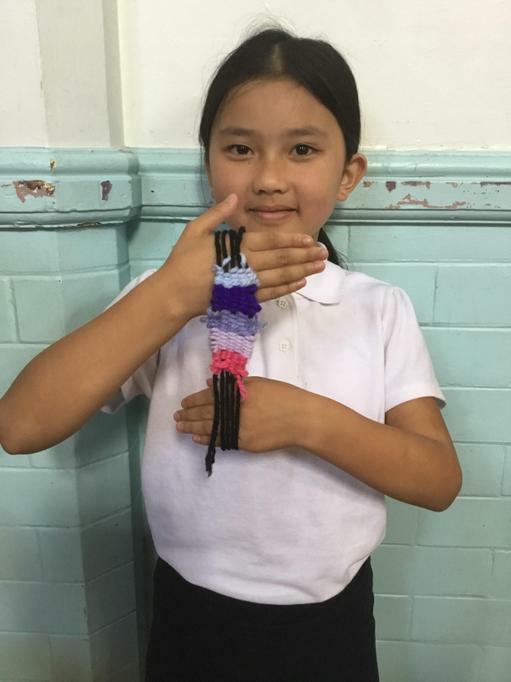 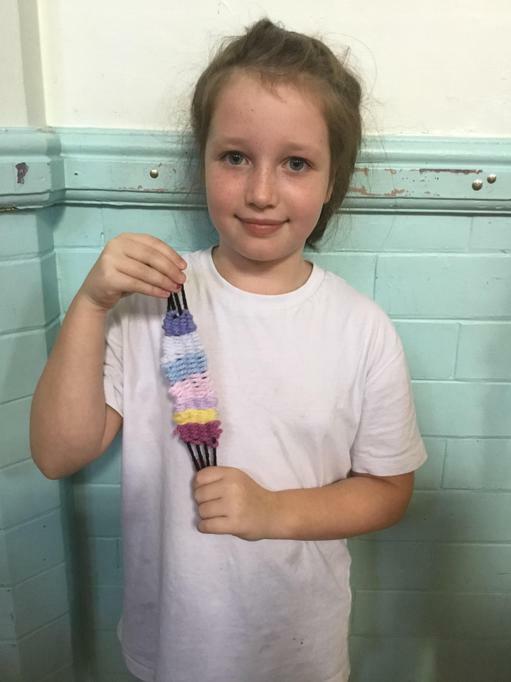 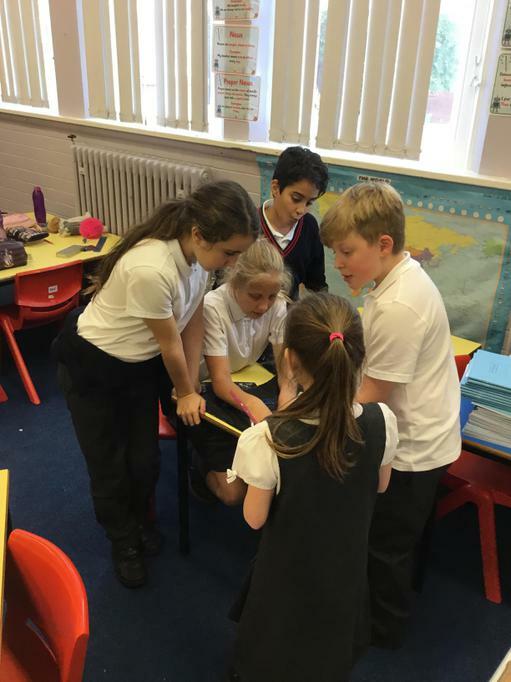 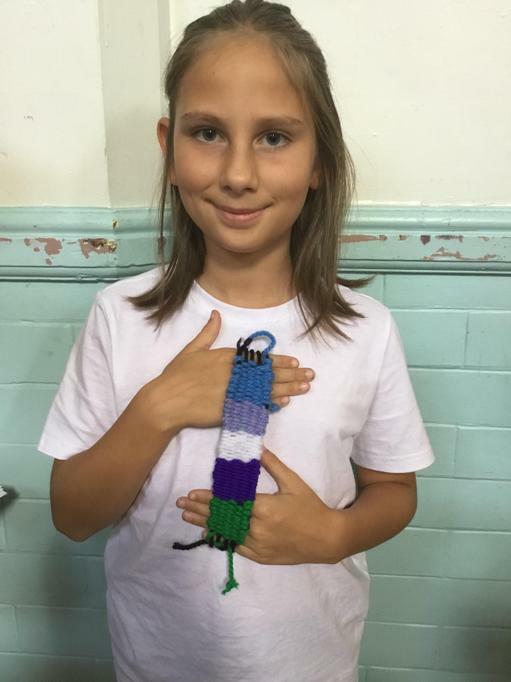 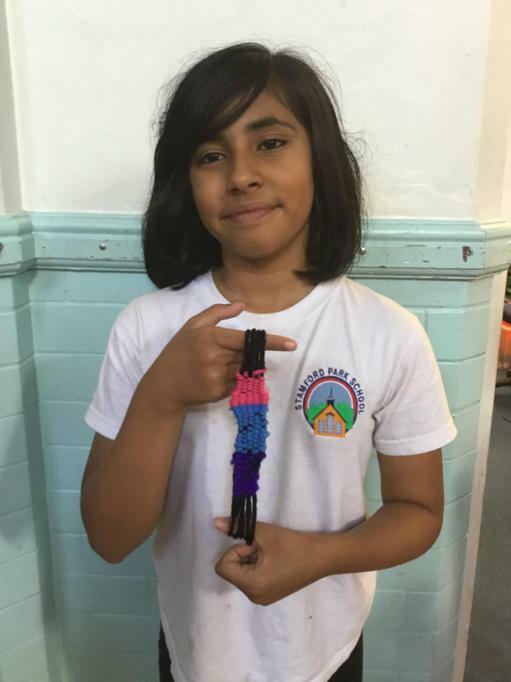 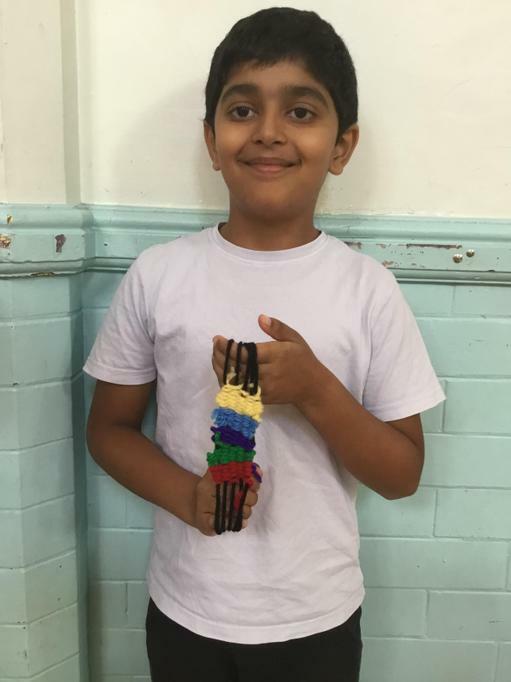 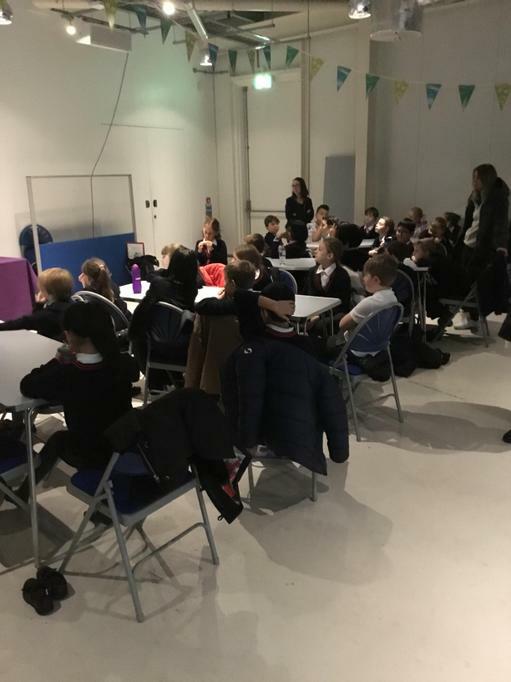 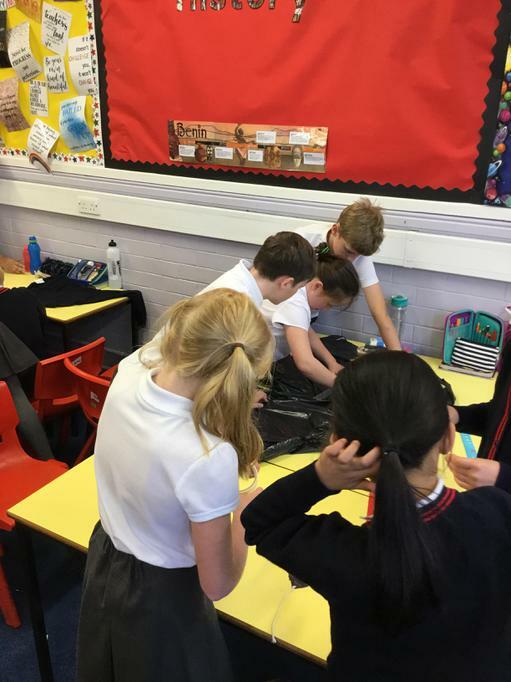 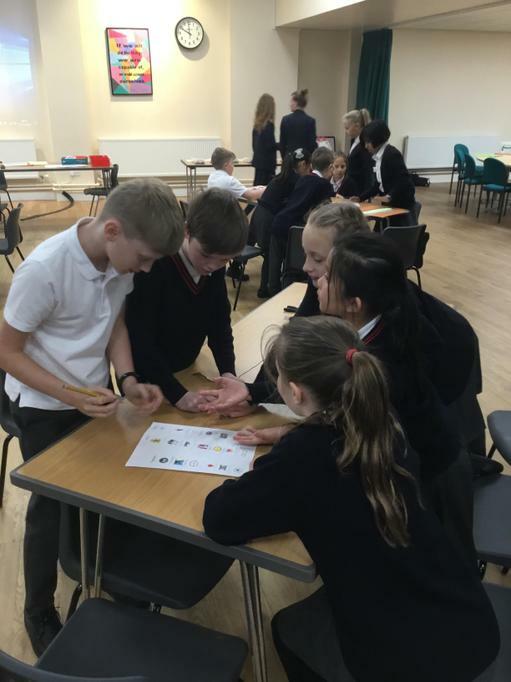 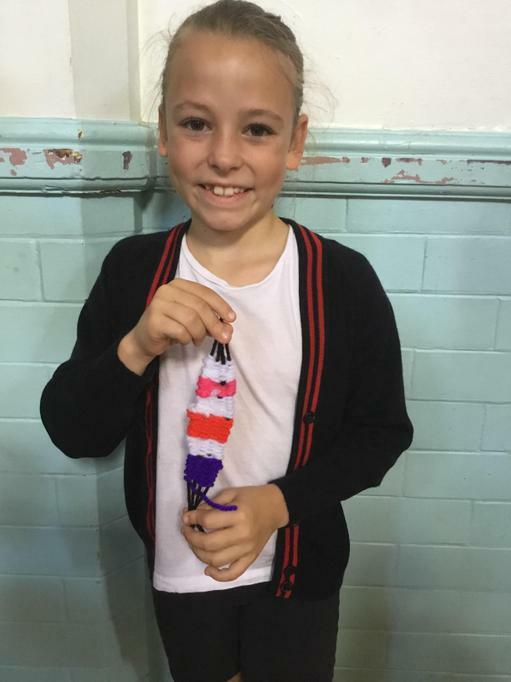 We have taken part in lots of different activities such as: looking at a poem, doing a comprehension, an exciting virtual reality workshop, wearing odd socks to raise money, painting our own ‘respect’ pictures and acting out different bullying scenarios and discussing how we would deal with these situations. 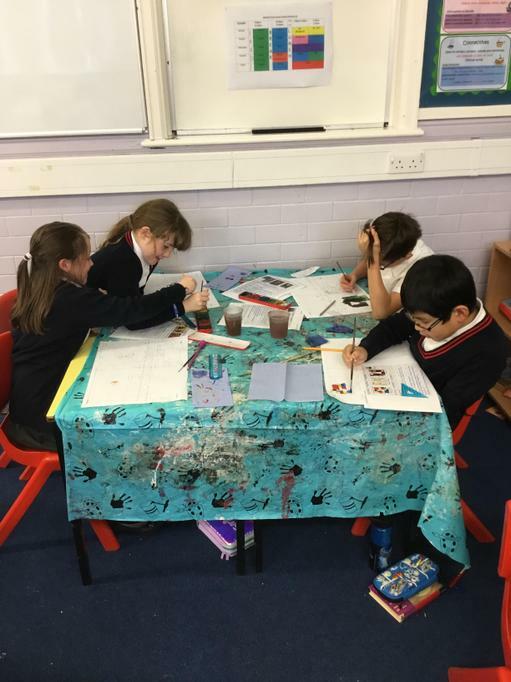 We’ve all worked really hard and Miss Richardson has been incredibly impressed with all of our hard work! 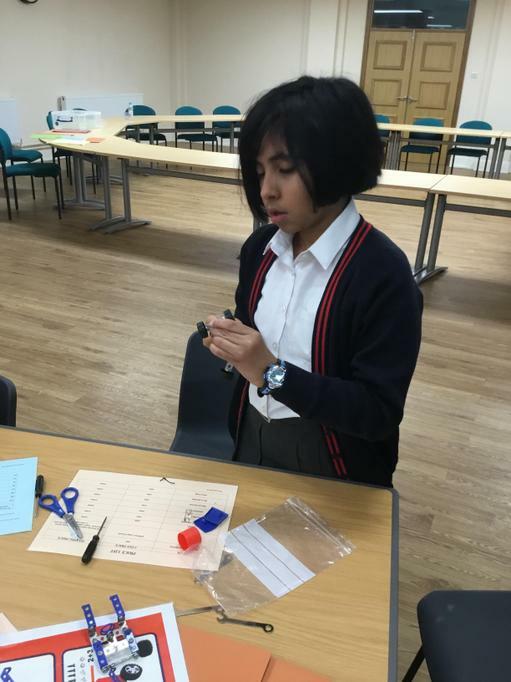 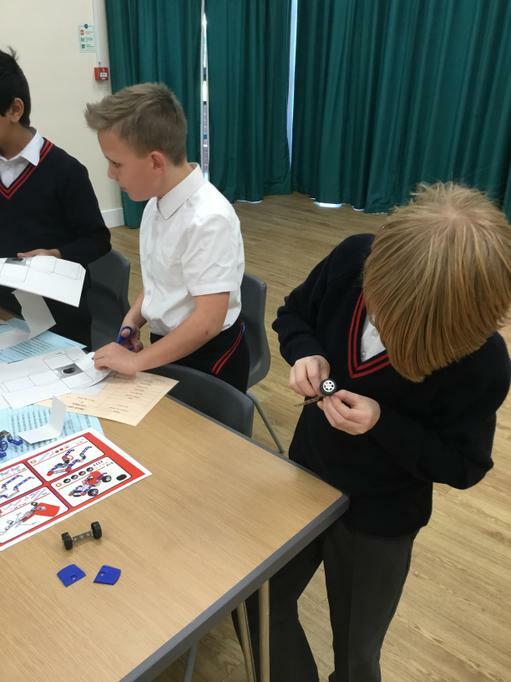 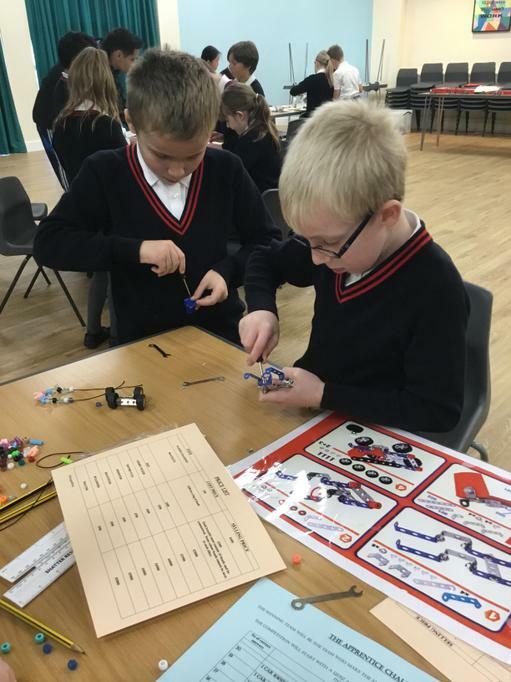 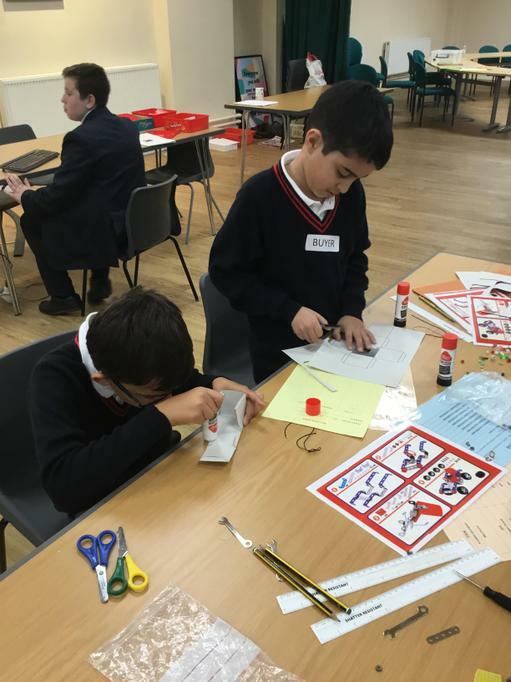 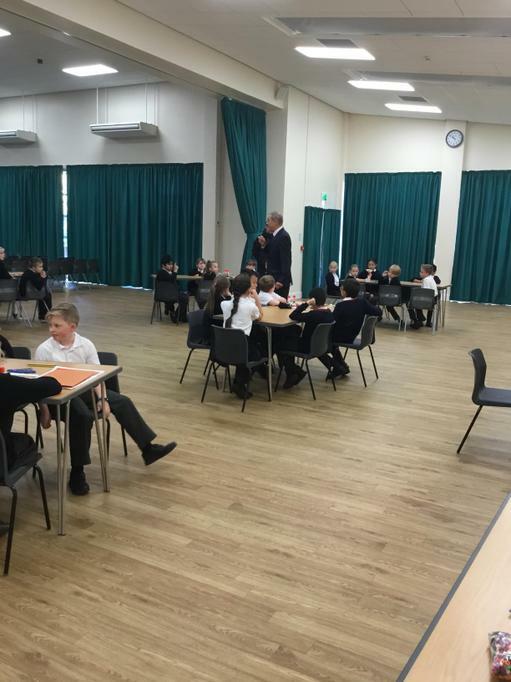 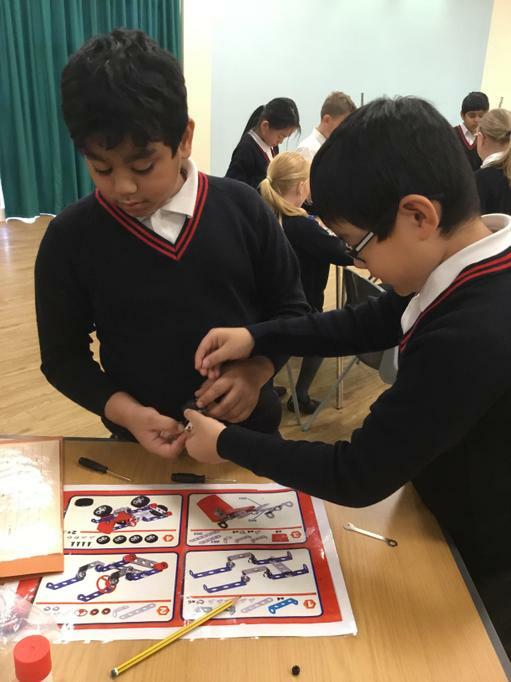 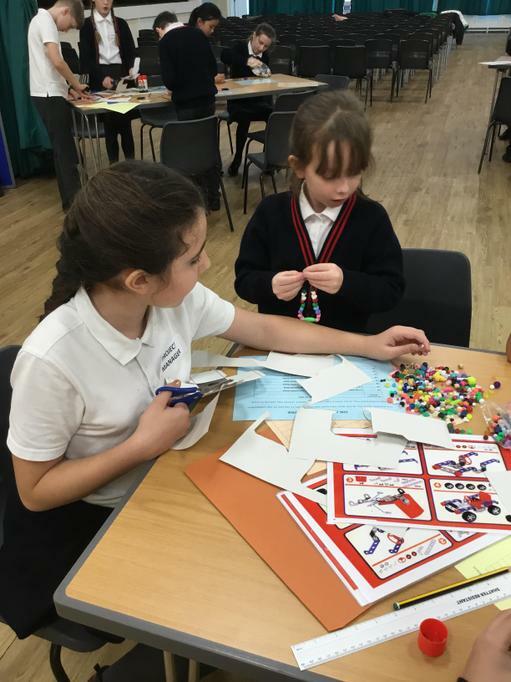 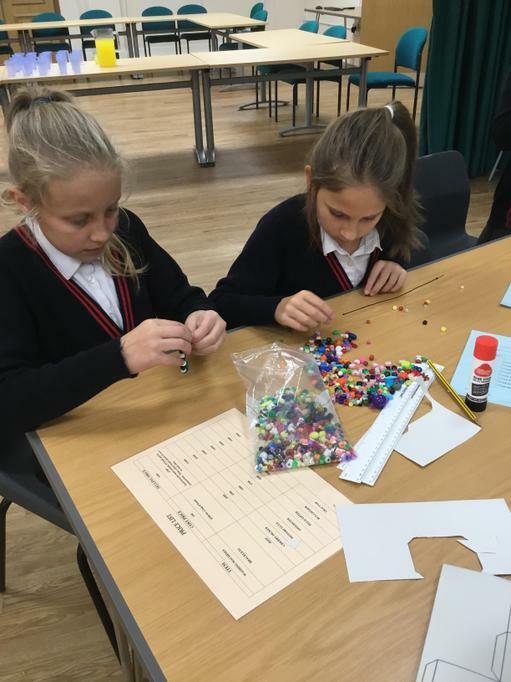 This morning we went to Wellington School to take part in an apprentice challenge. 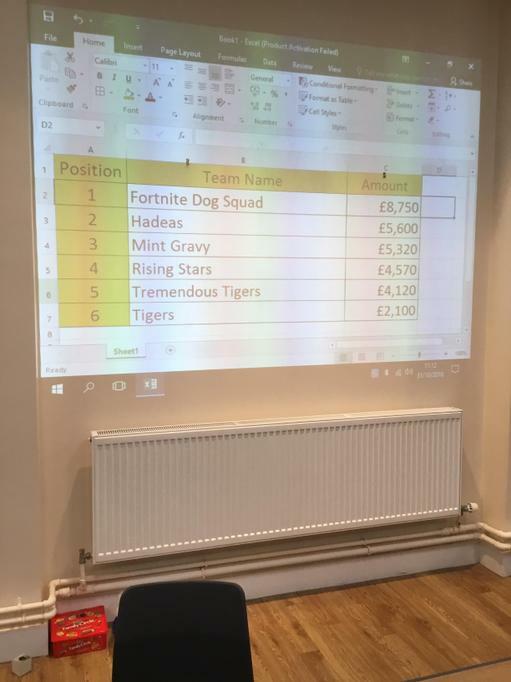 We had to impress Lord Sugar and ensure we didn’t get fired! 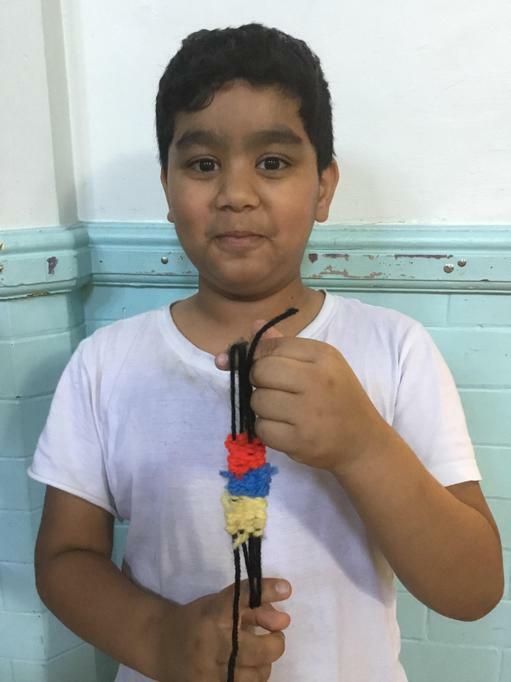 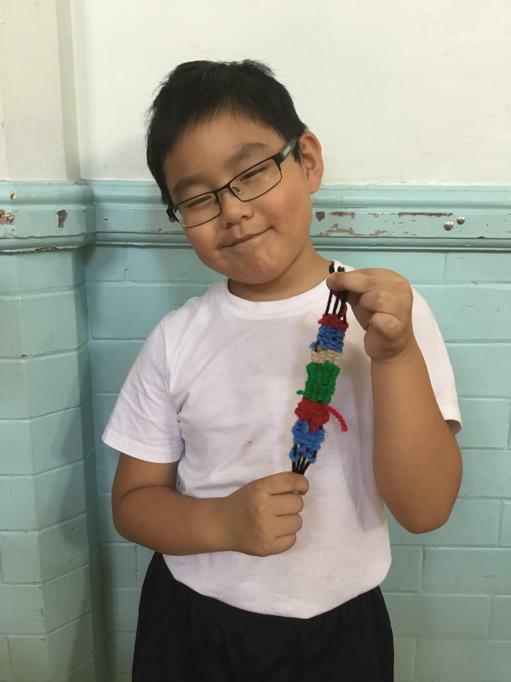 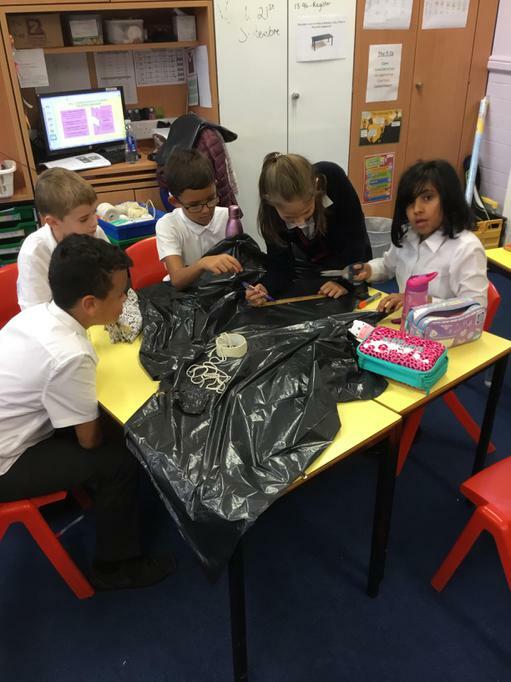 We had to make vehicles, bracelets and washing machines to then sell, in order for us to buy more equipment. 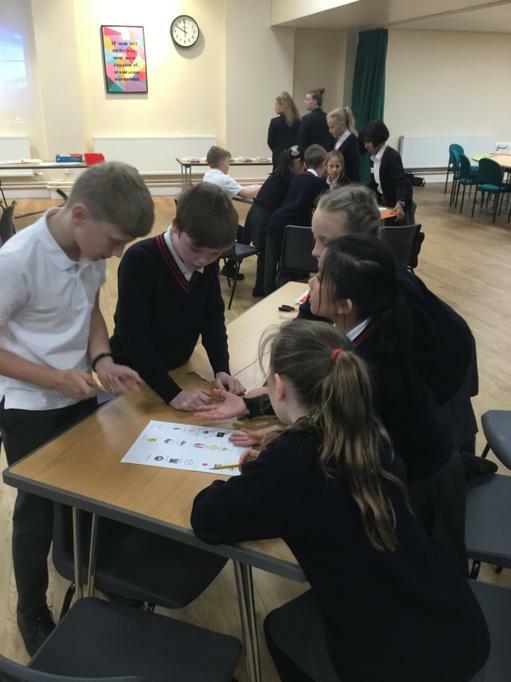 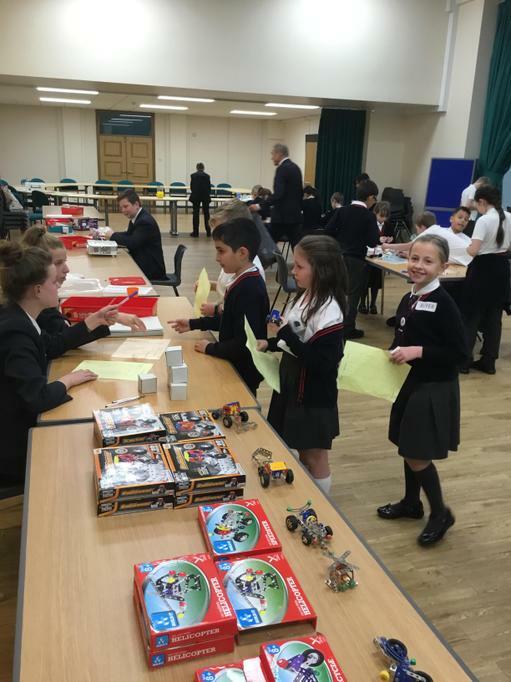 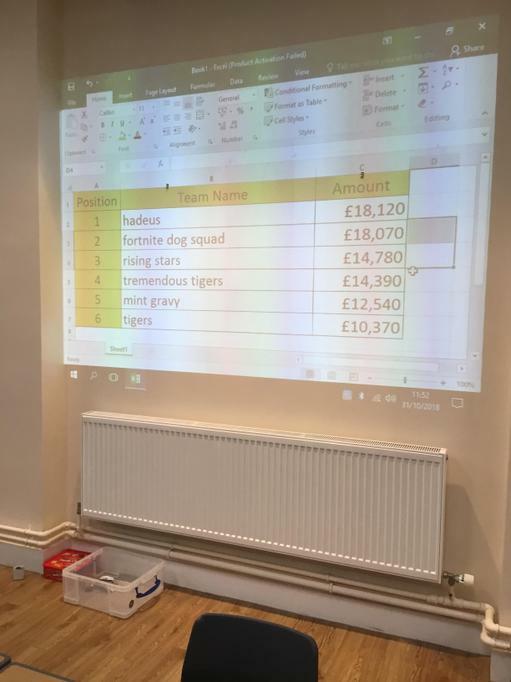 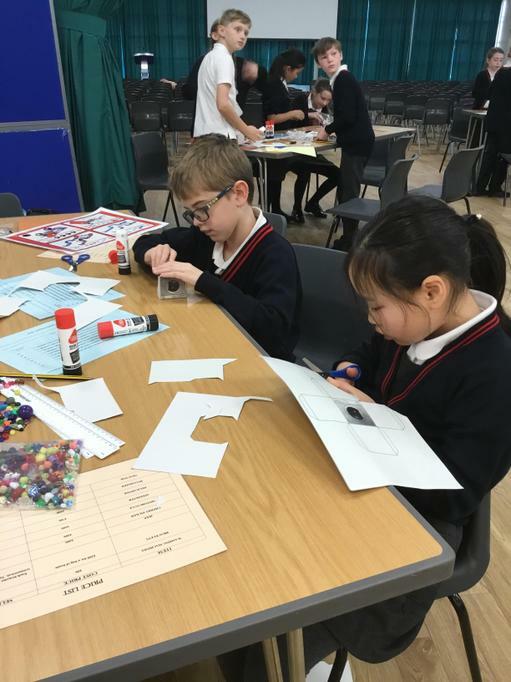 We were able to put our fabulous team working skills into practise and earnt a lot of money for our team. 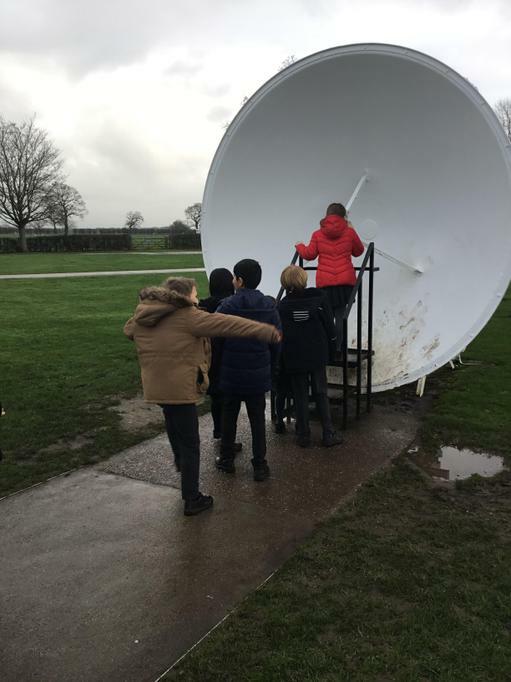 It was incredibly challenging but super fun! 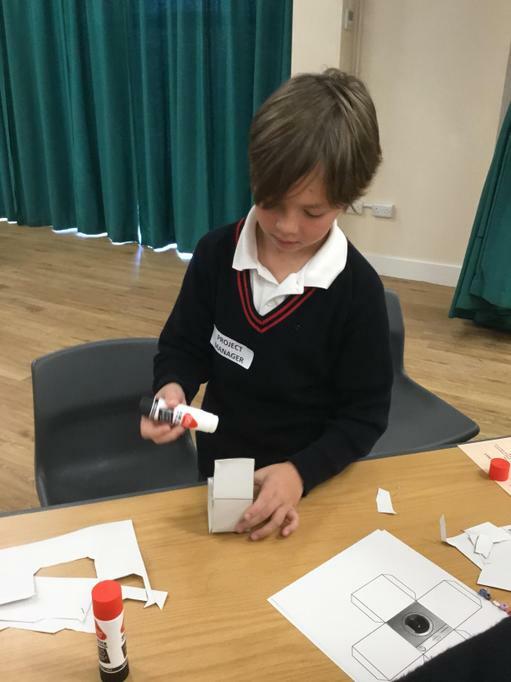 Every Tuesday we learn all about our brain and how to keep it healthy and happy. 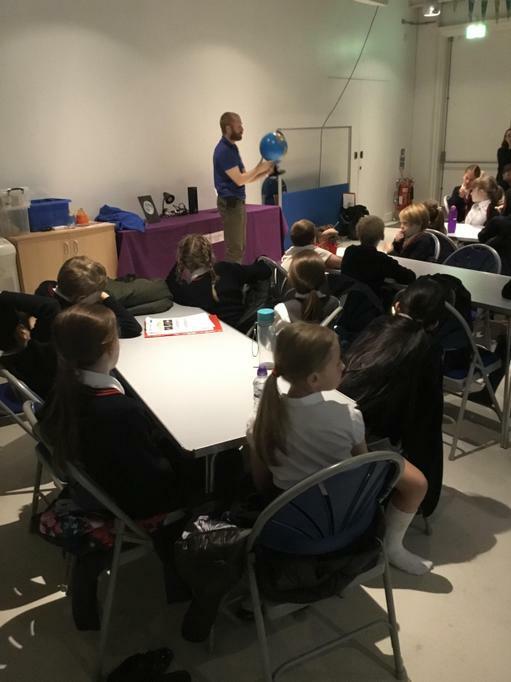 We’ve started learning all about ‘happy breathing’ and how this helps us in certain situations. 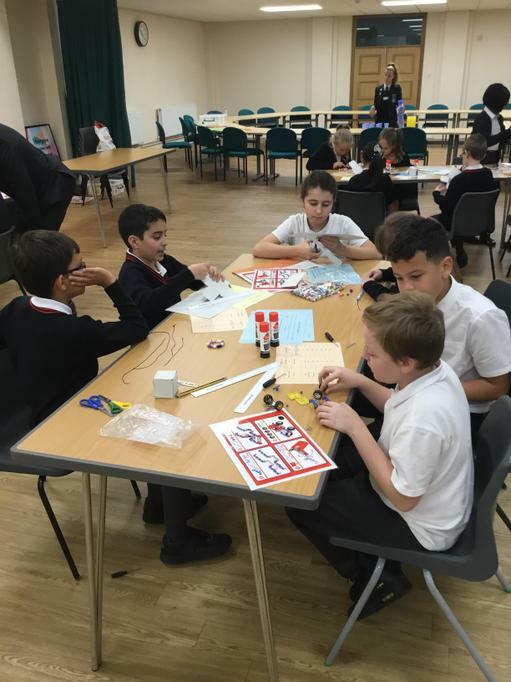 We’re all really enjoy taking part and feel incredibly relaxed after it! 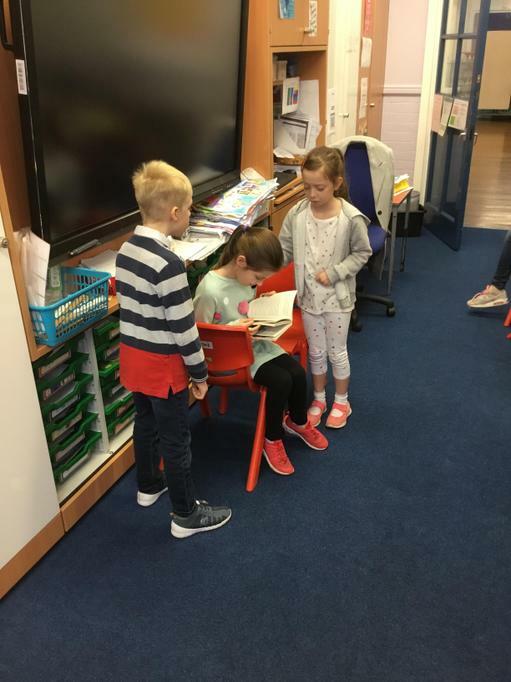 A huge thank you to everyone who donated food and money! 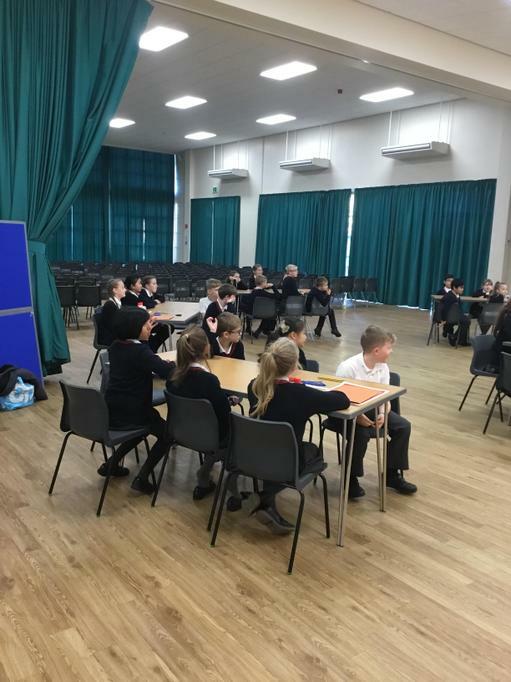 We are fortunate enough to have a specialist music teacher teach our music lessons (Mrs Dickinson). 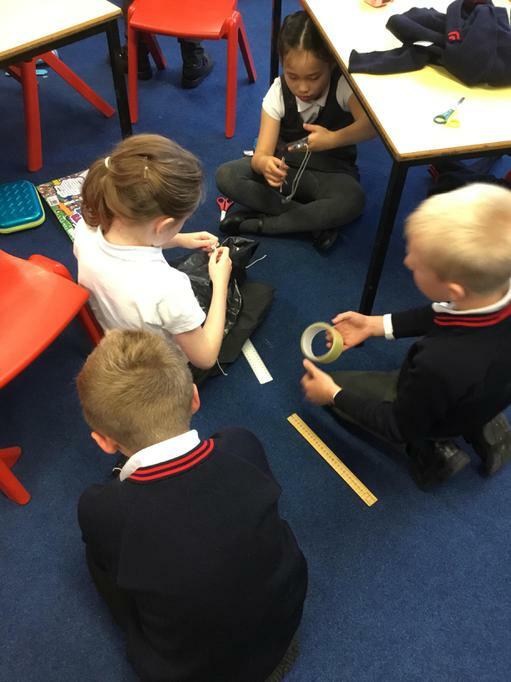 Today we were singing an African song whilst playing different musical instruments in time with the beat. 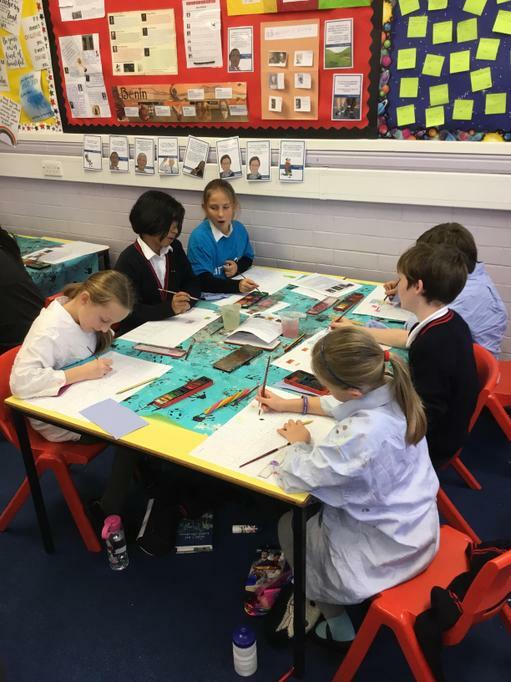 In Topic we are currently learning about The Kingdom of Benin. 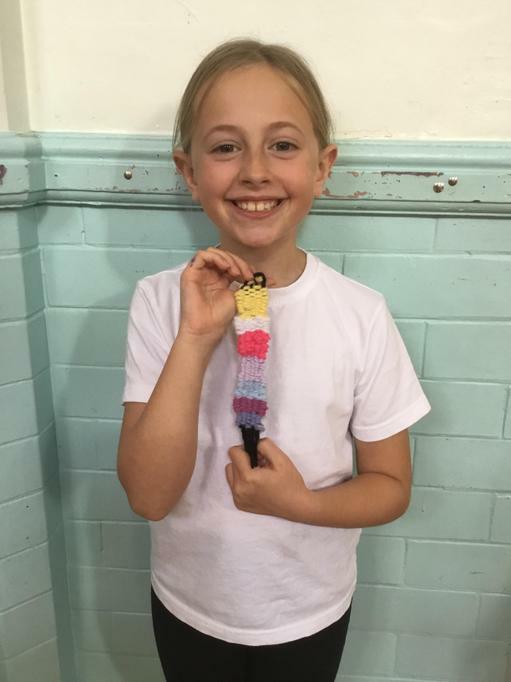 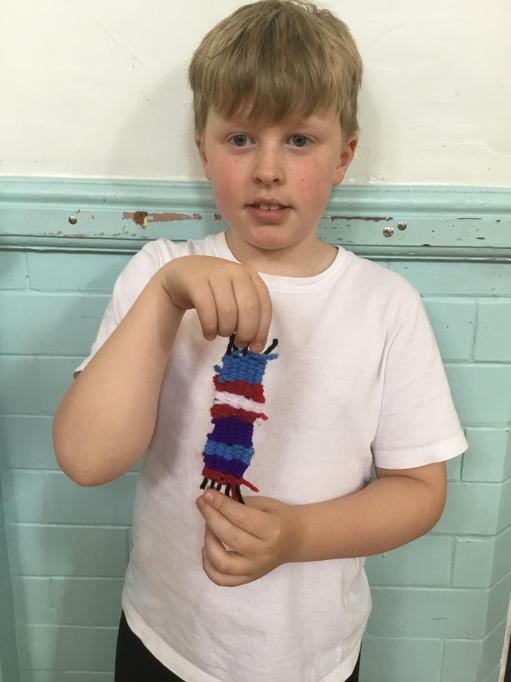 We have discovered that the people of Benin made many different kinds of art - one being weaving. 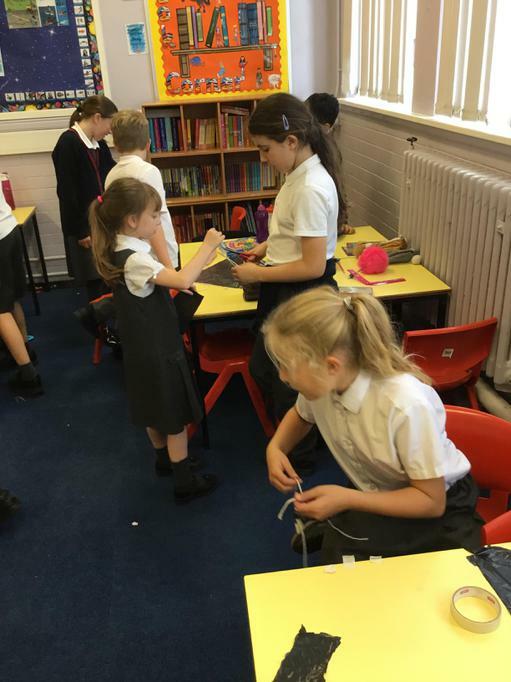 We looked at the different colours and patterns certain people would weave and why they were used. 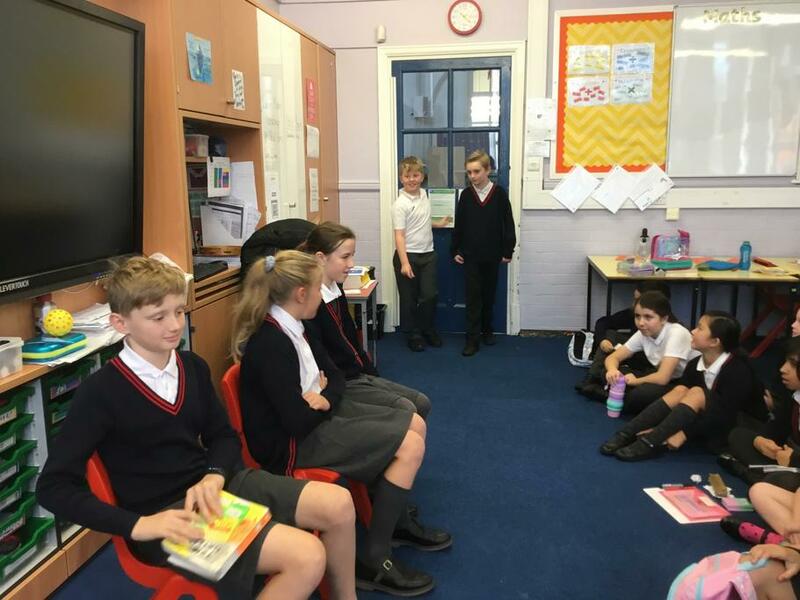 This morning we were lucky enough to have an author visit our school (E.R Reilly) ! 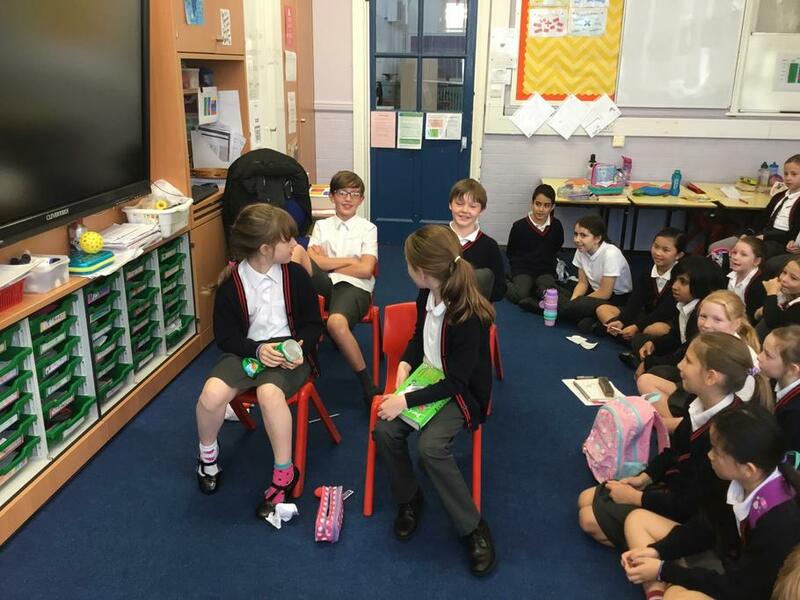 He told us lots of interesting information about how and why he became an author and he also read some snippets from his books. 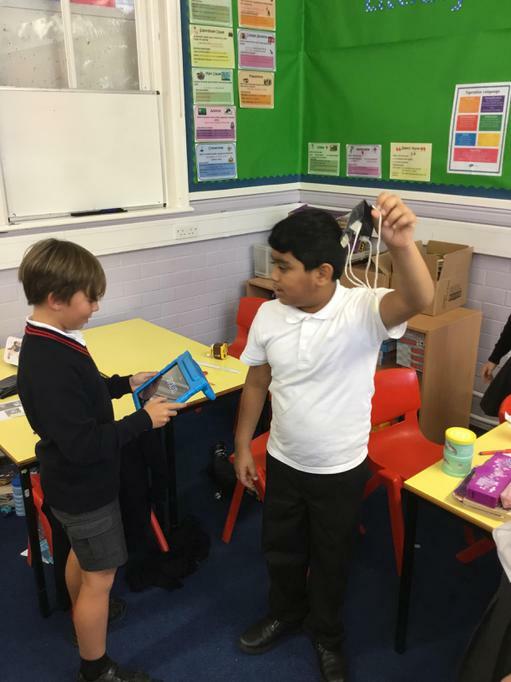 Some of us have been fortunate enough to buy signed a signed copy of his book(s). 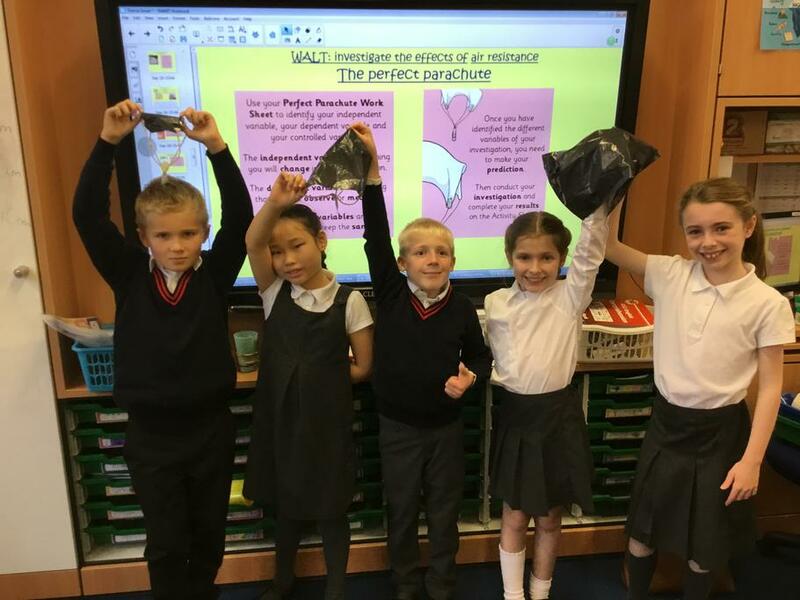 We can’t wait to read them! 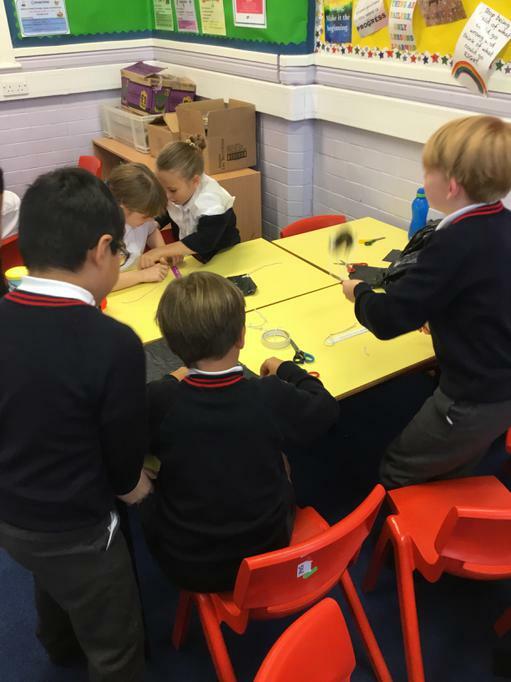 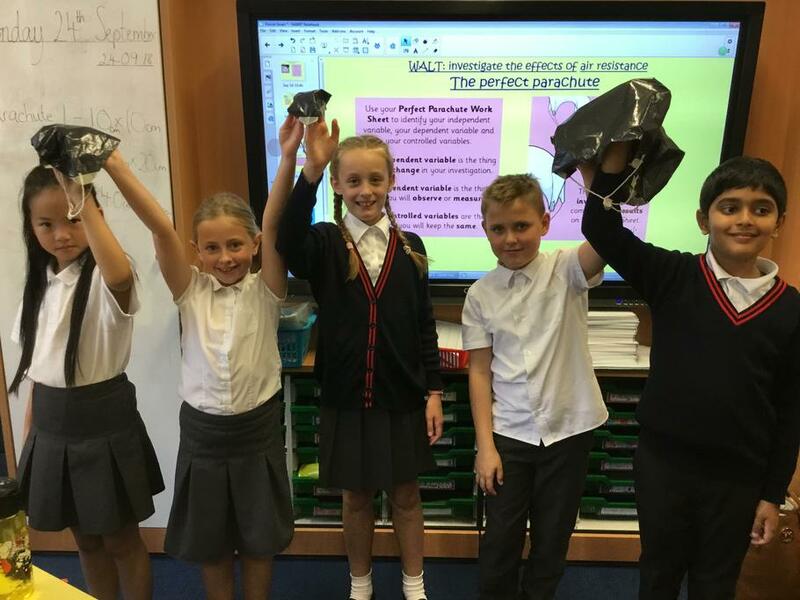 In science we have been learning all about forces. 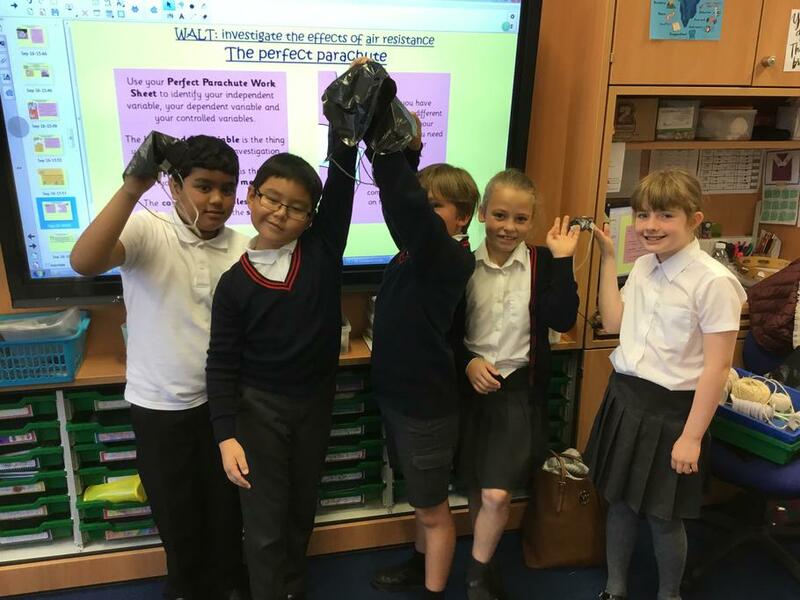 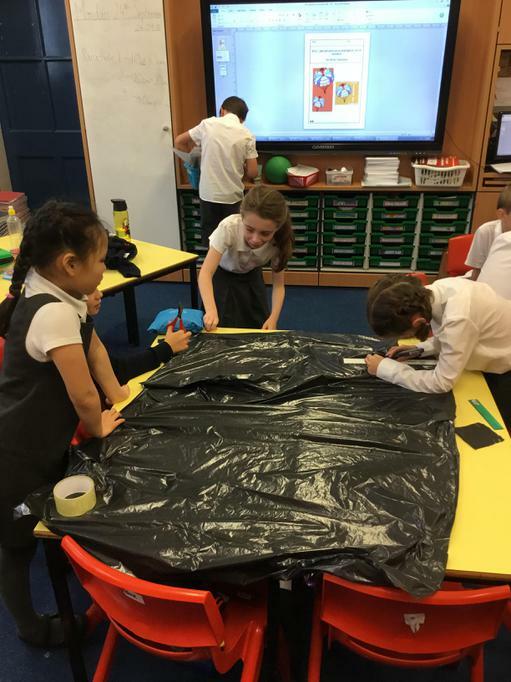 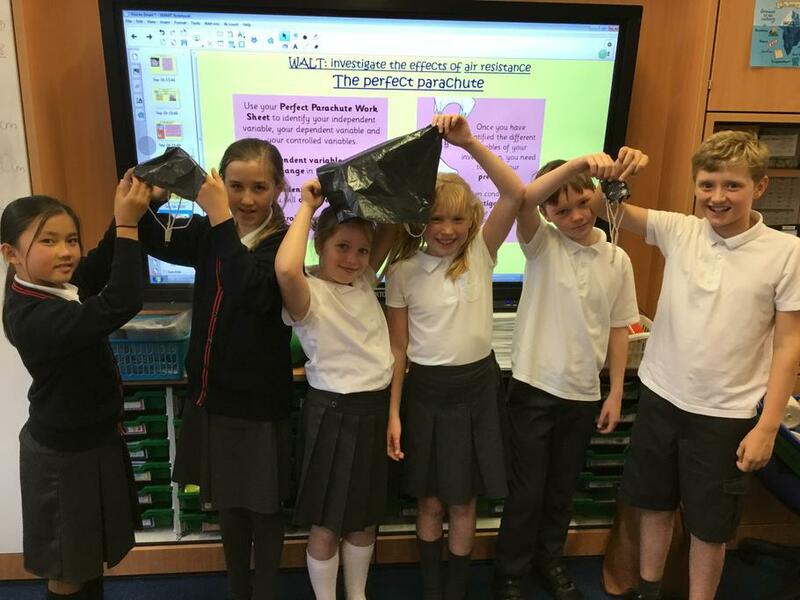 Today we created our own parachutes with a bin bag, string, tape and a paper clip. 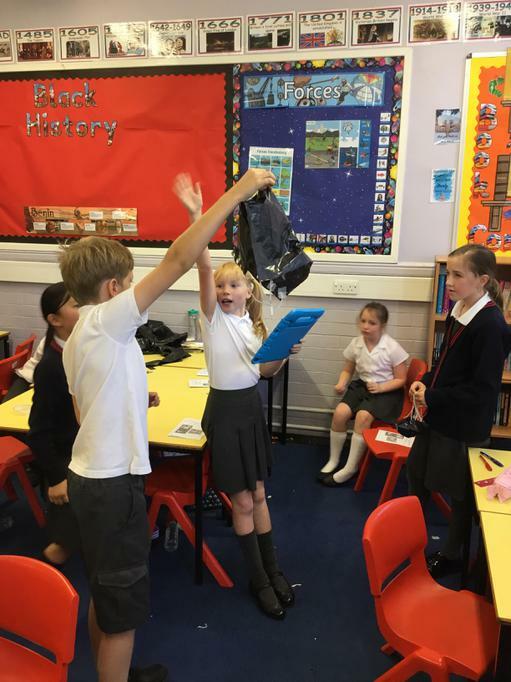 We then dropped each parachute from the same height and timed how long it took to fall to the ground. 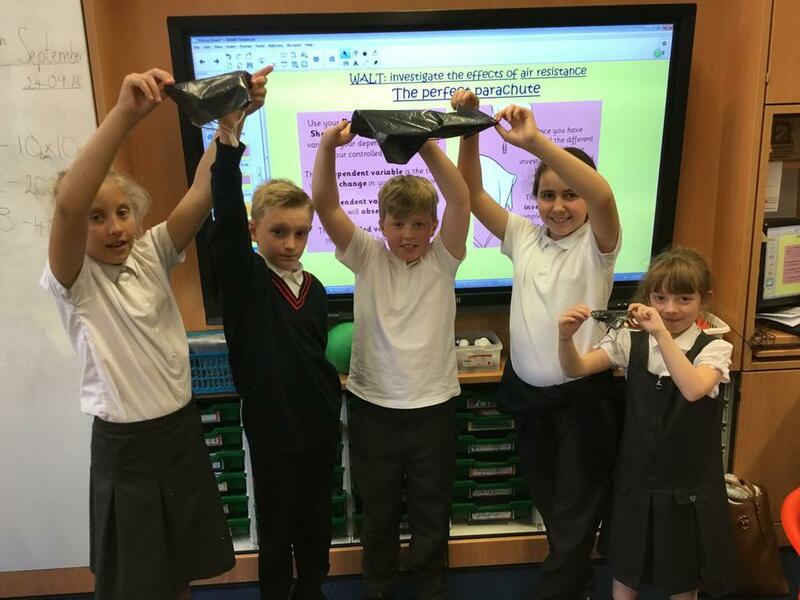 We realised that the larger the surface area in the parachute, the greater the air resistance force. 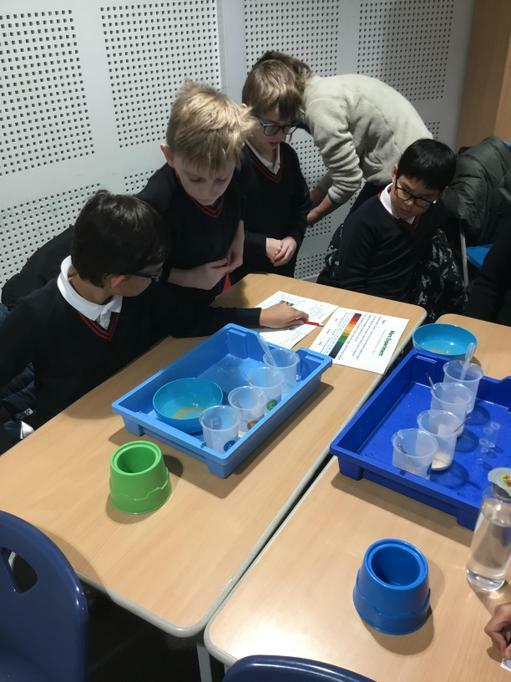 We all worked brilliantly in our groups and really enjoyed carrying out this experiment! 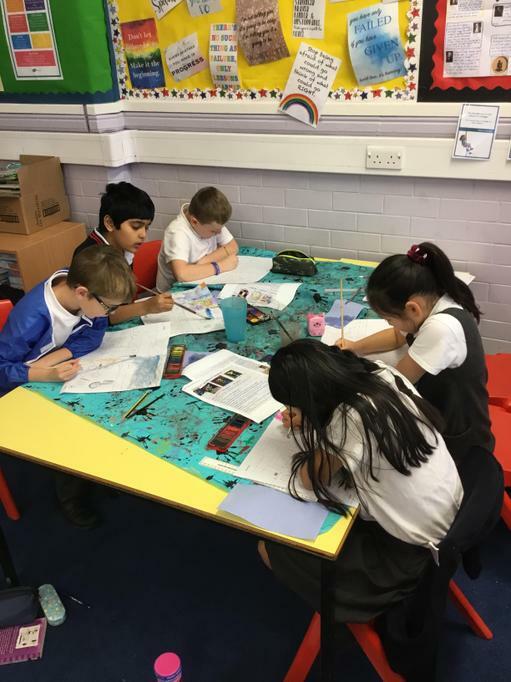 This week we’ve been looking at a famous poet called Benjamin Zephaniah. 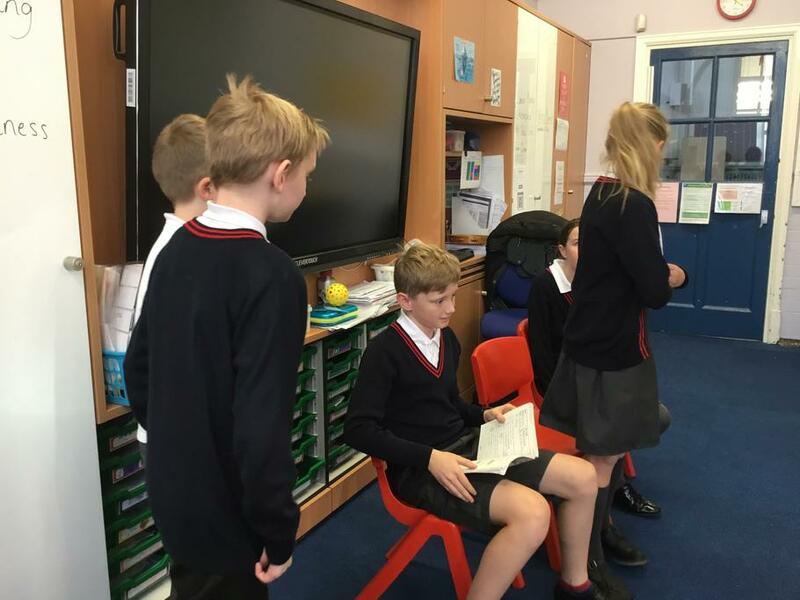 We have worked really hard to create a presentation all about his life and how he became a poet. 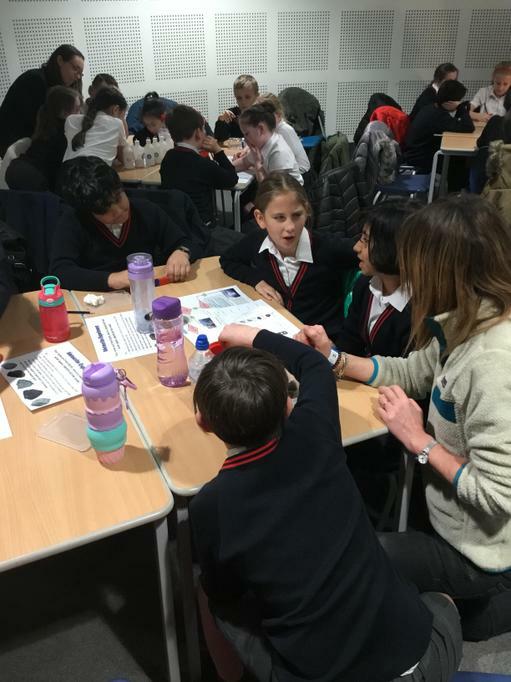 It was lovely to meet everyone that attended tonight's meeting! 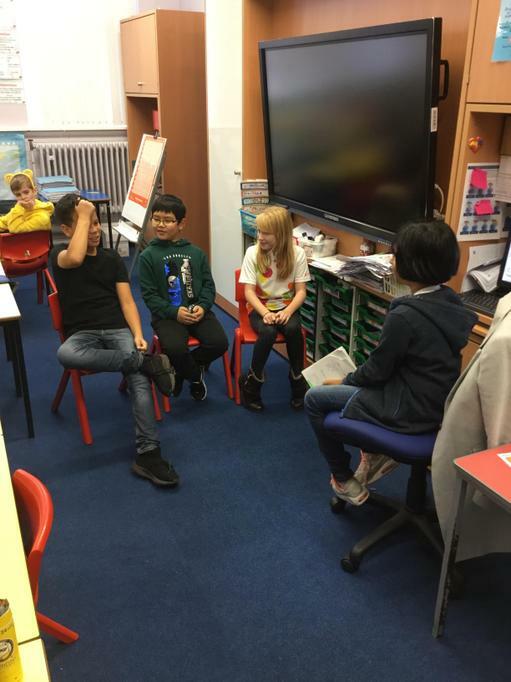 Here is the PowerPoint for anyone who was unable to attend the session. 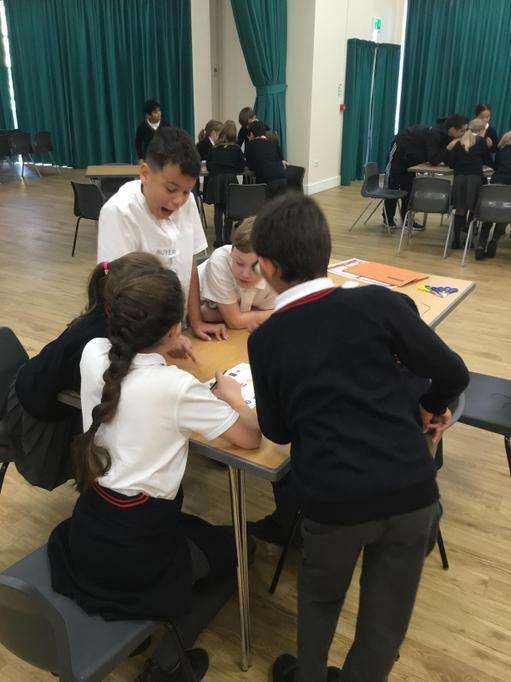 If you have any further questions please don't hesitate to ask. 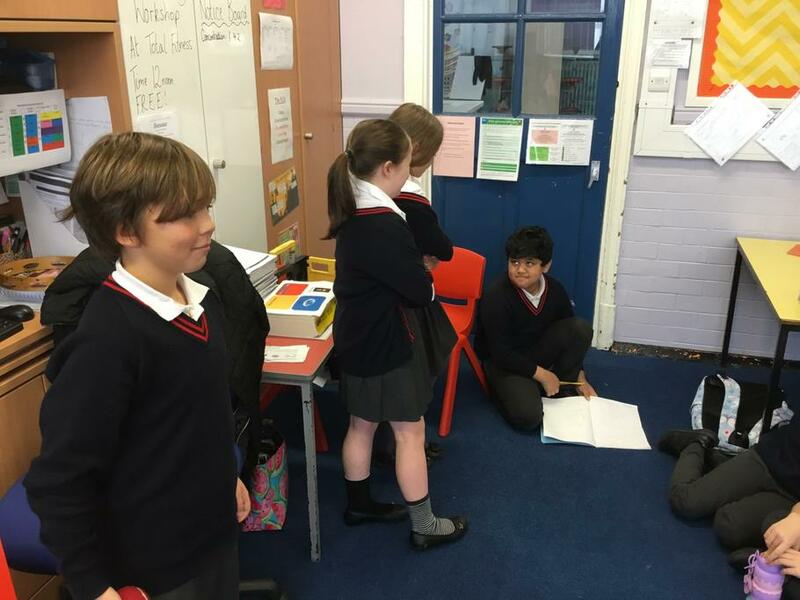 Today we’ve been learning about different ways to communicate. 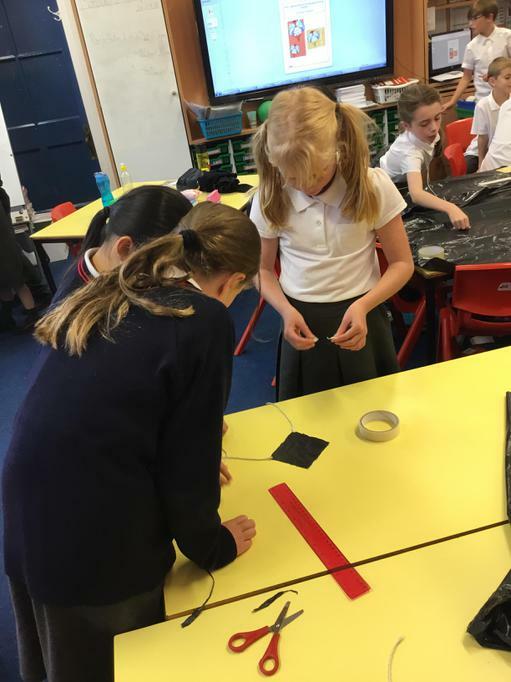 Here we are sending messages using semaphores. 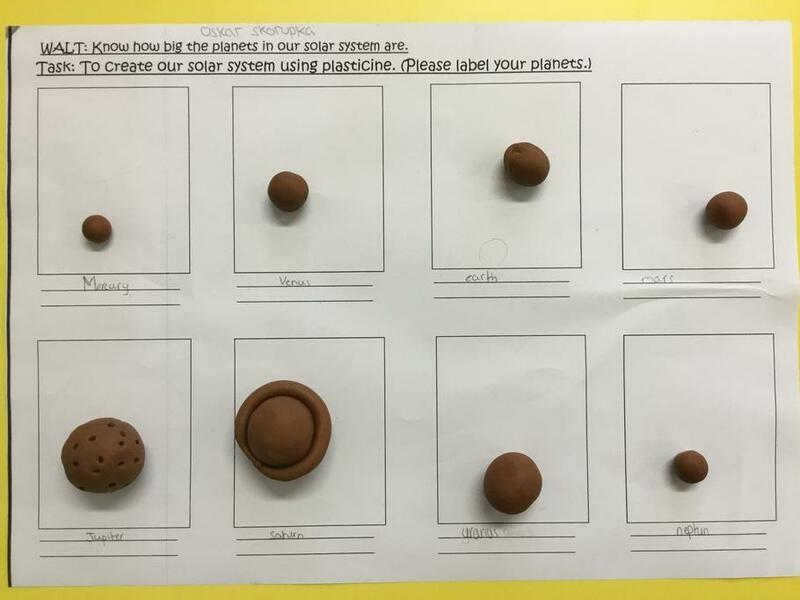 I think we’re glad we no longer have to communicate this way!